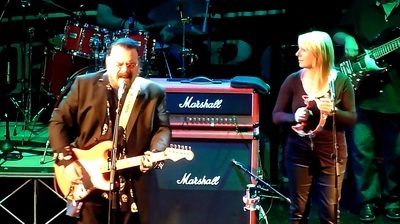 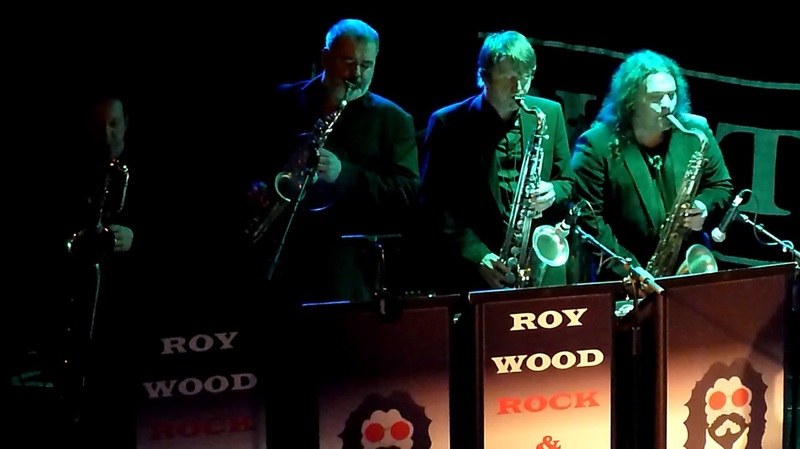 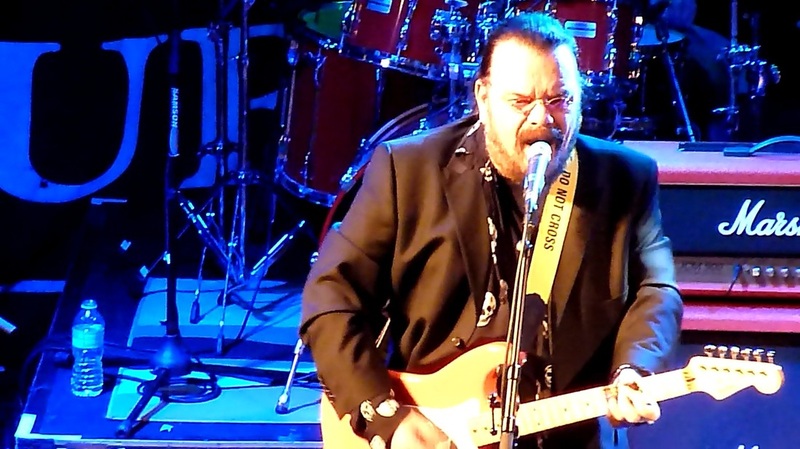 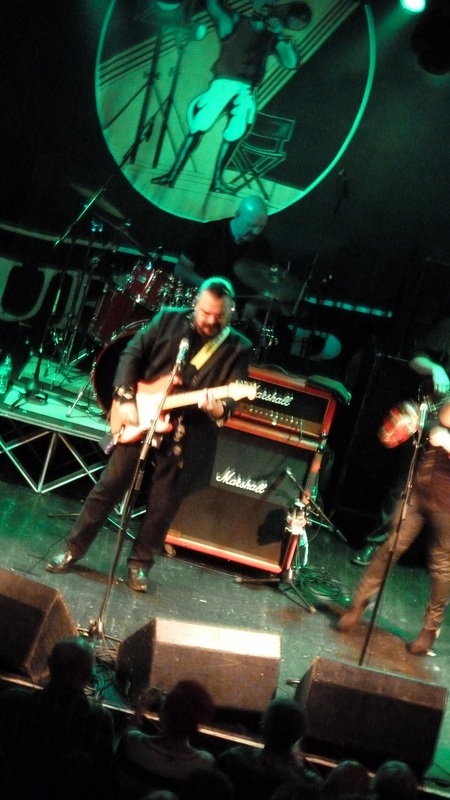 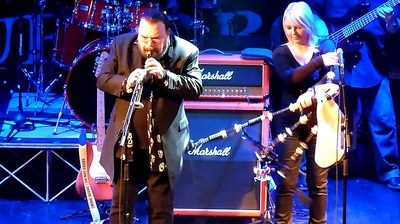 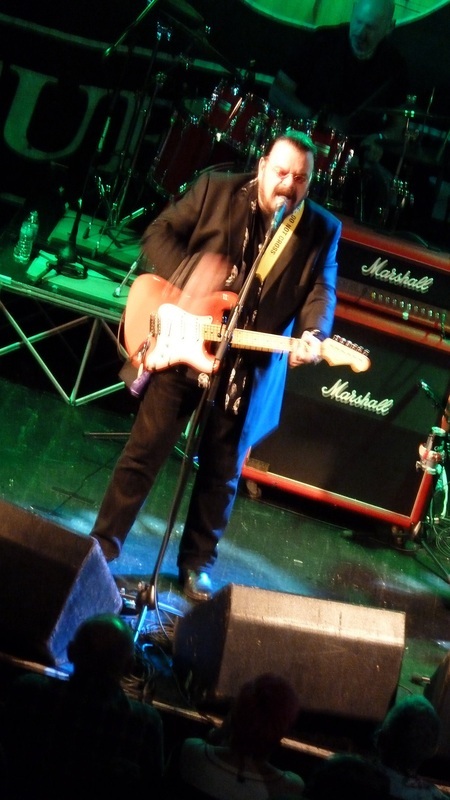 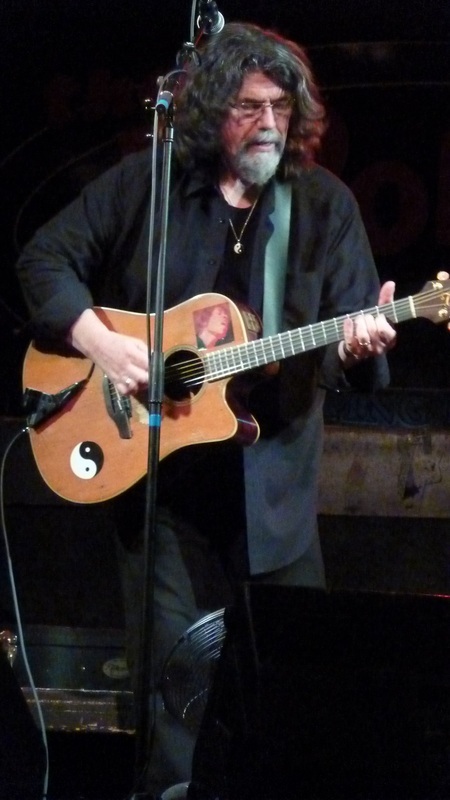 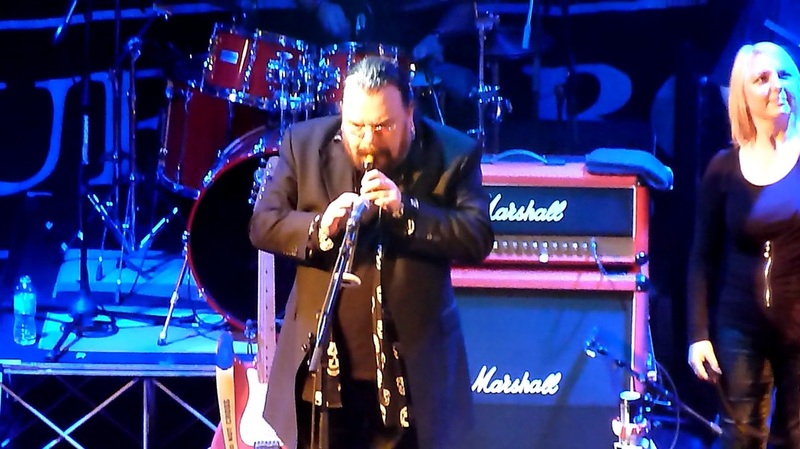 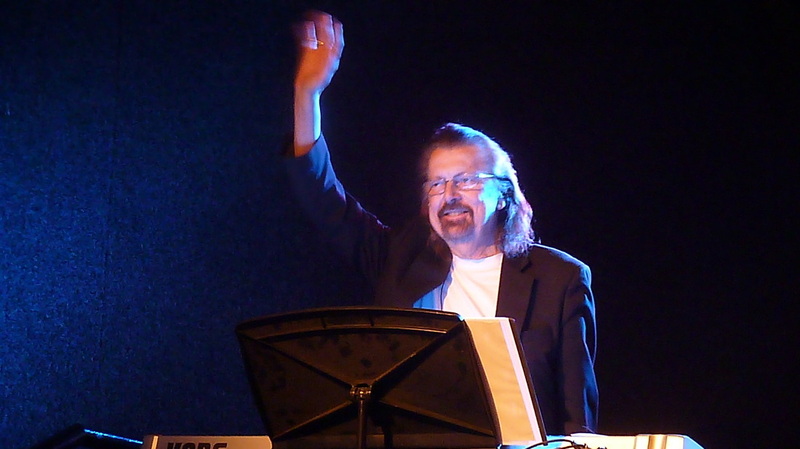 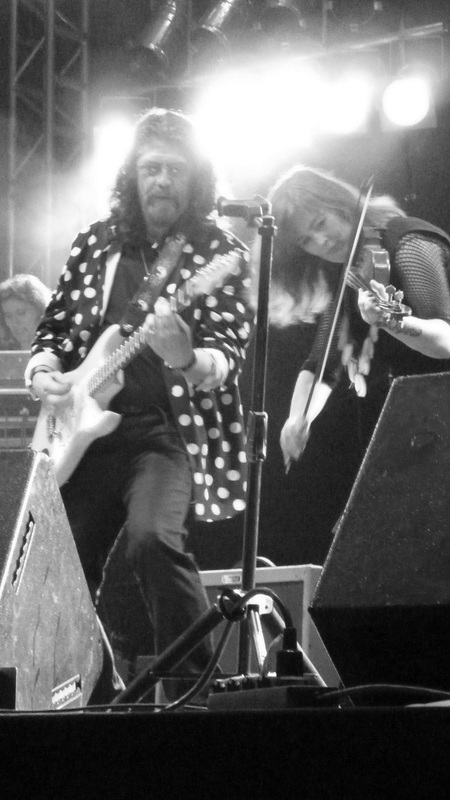 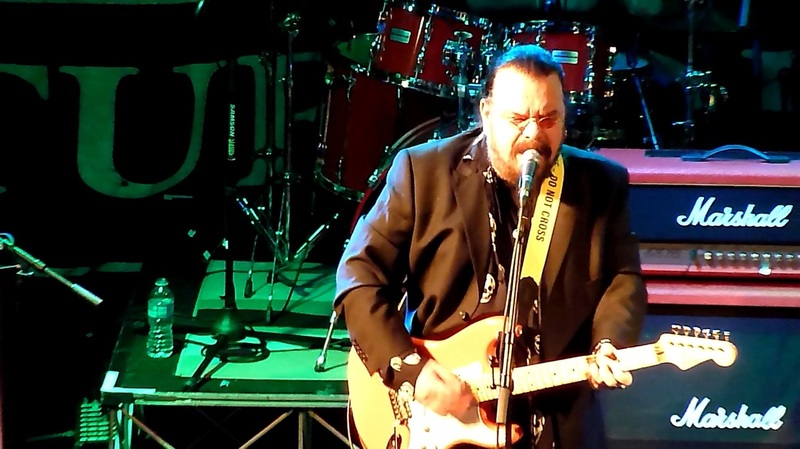 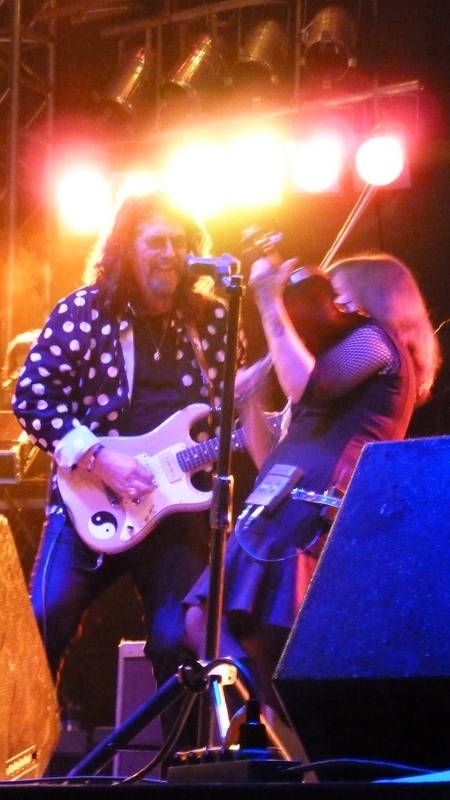 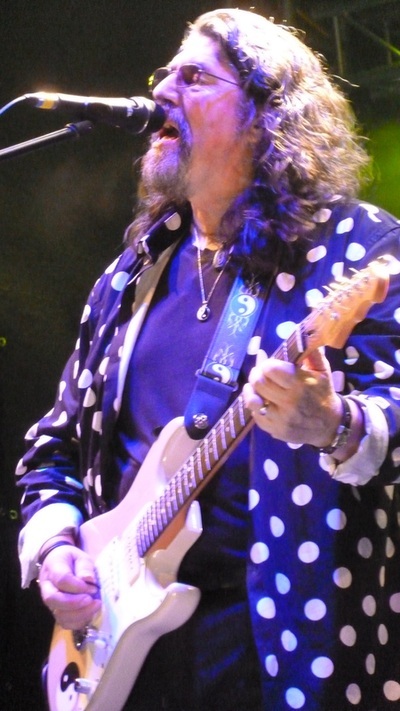 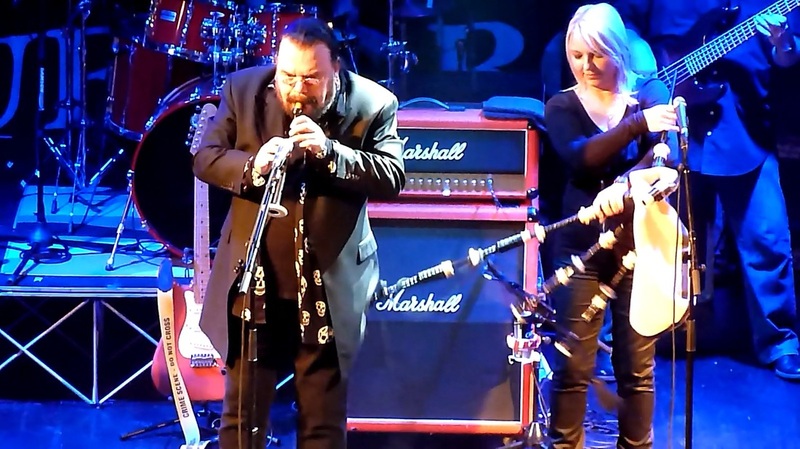 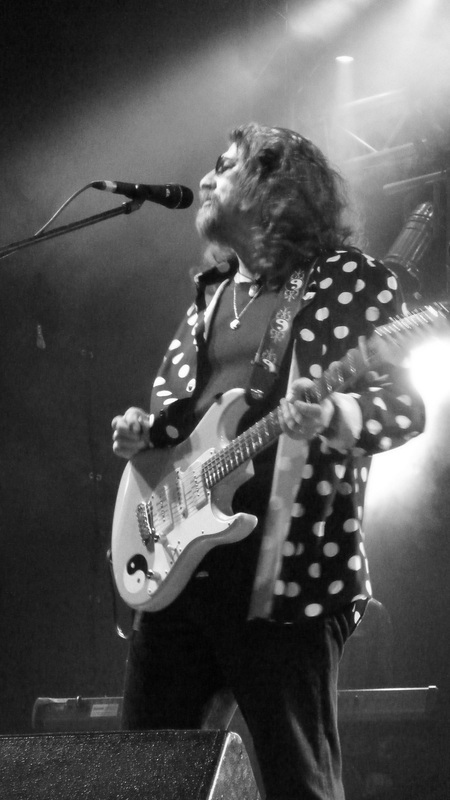 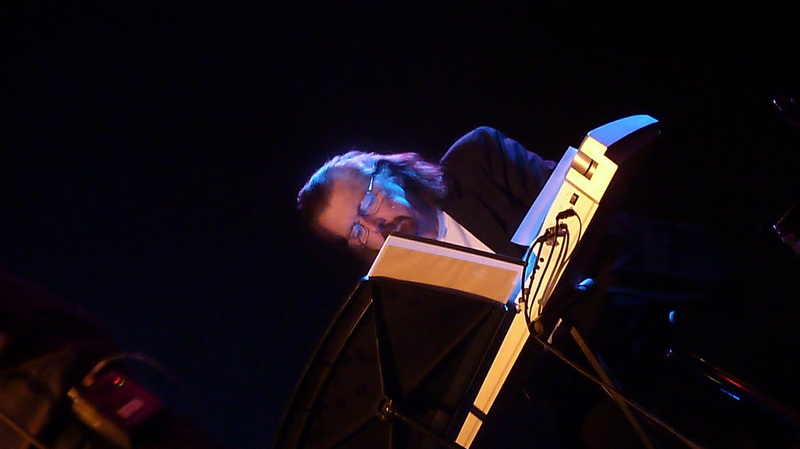 A fantastic gig by Roy Wood in Holmfirth, so great to see him looking so happy and enjoying himself on stage since his back operation. 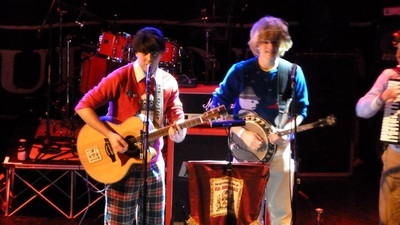 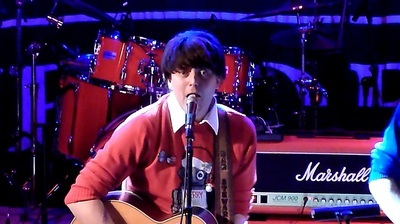 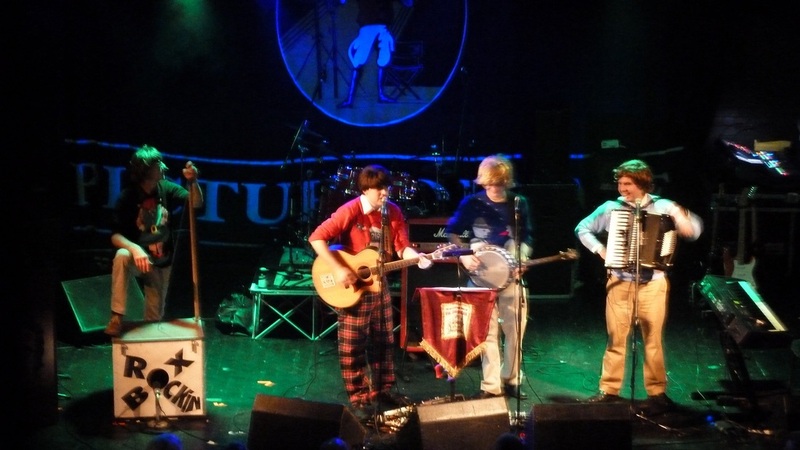 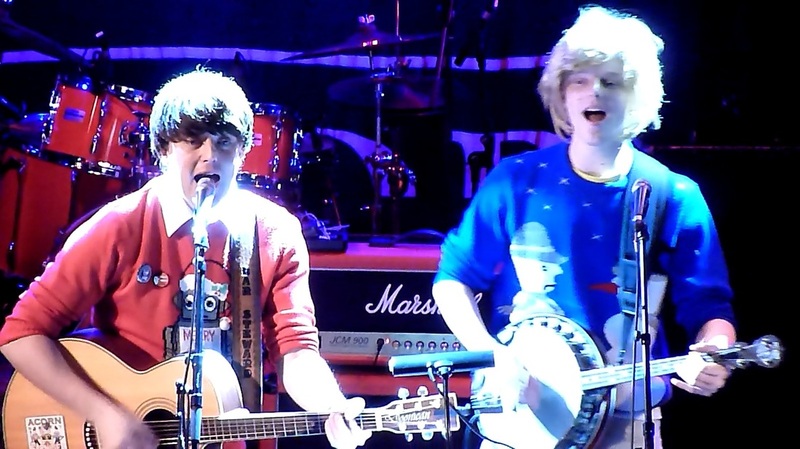 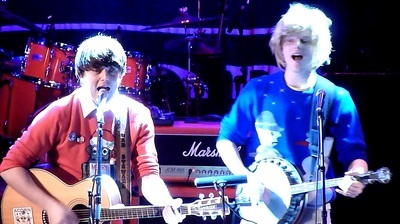 Also great to see The Bar Steward Sons Of Val Doonican as the support band once again. 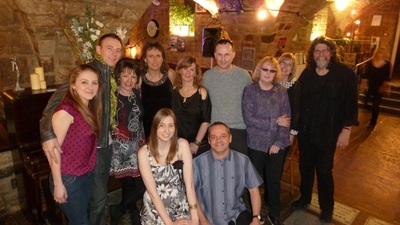 All photos (c) Jim Hoban. Check out my Youtube Channel to watch my videos of 'Big Girls Blues', 'I Can Hear The Grass Grow', 'See My Baby Jive', 'I Wish It Could Be Christmas Everyday' and a couple of videos by support band BSVD, 'We Don't Need One Direction This Christmas' and 'Arse On Fire'. 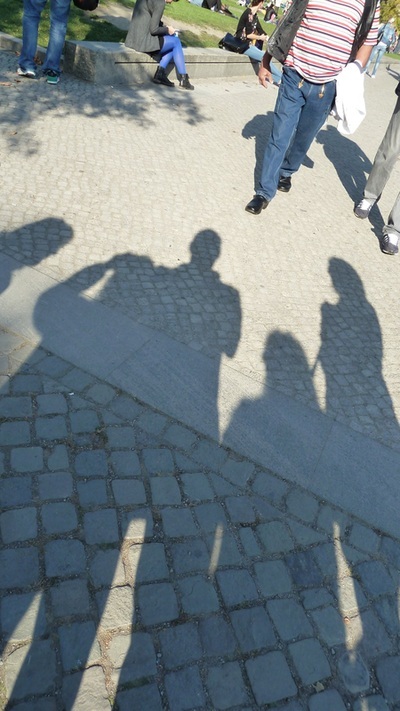 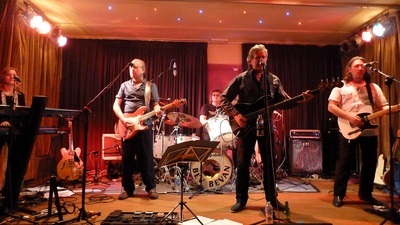 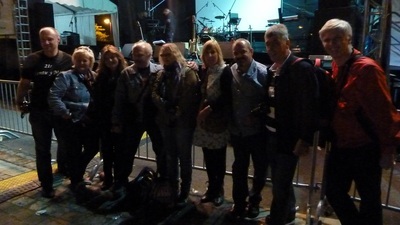 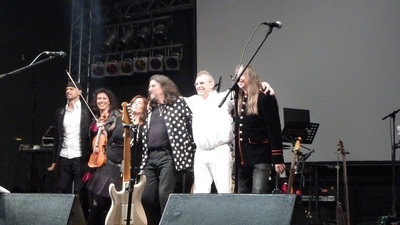 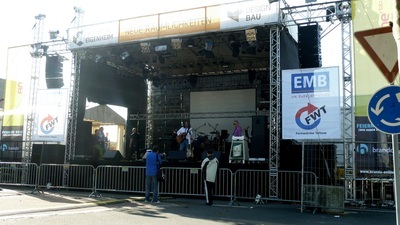 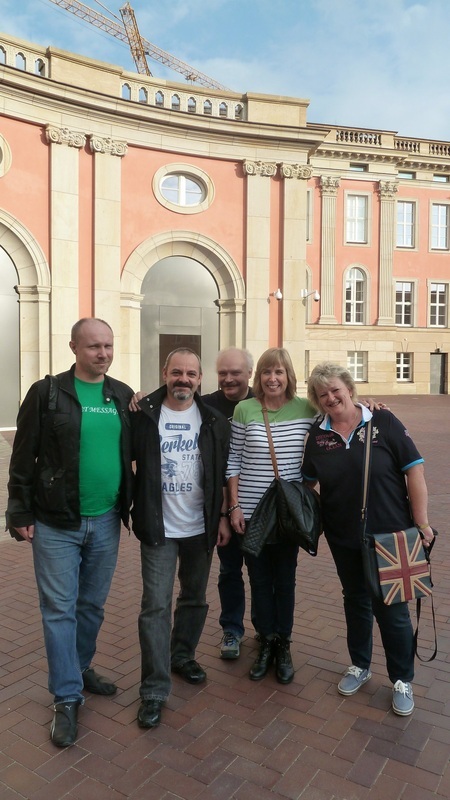 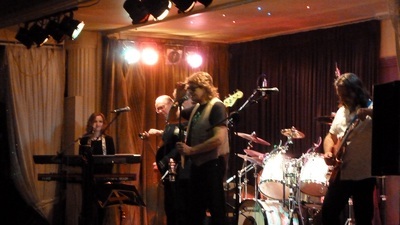 Band line-up : Phil Bates, Jo Bates, Susanne Filep, Ralf Vornberger, Eric Herrold and Chris Evans . 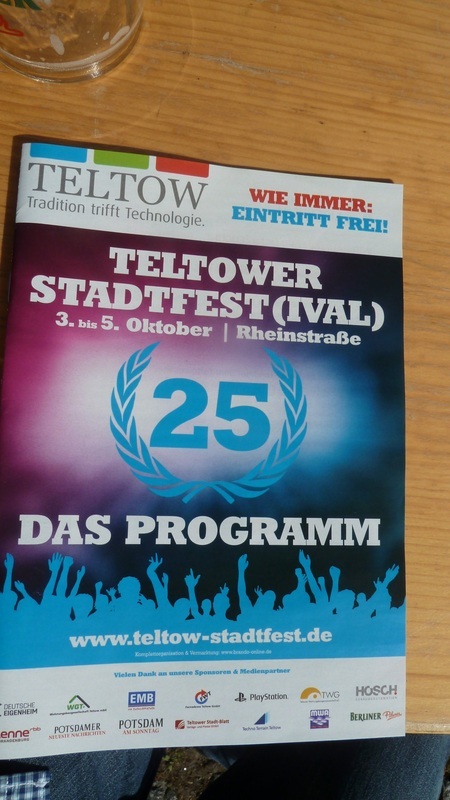 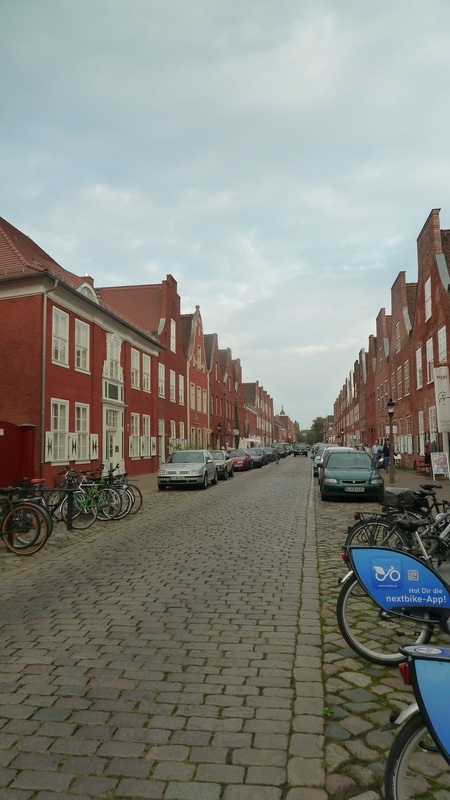 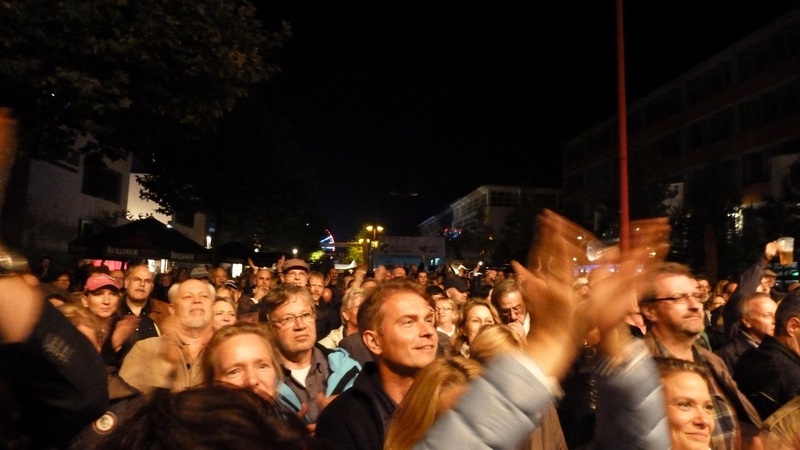 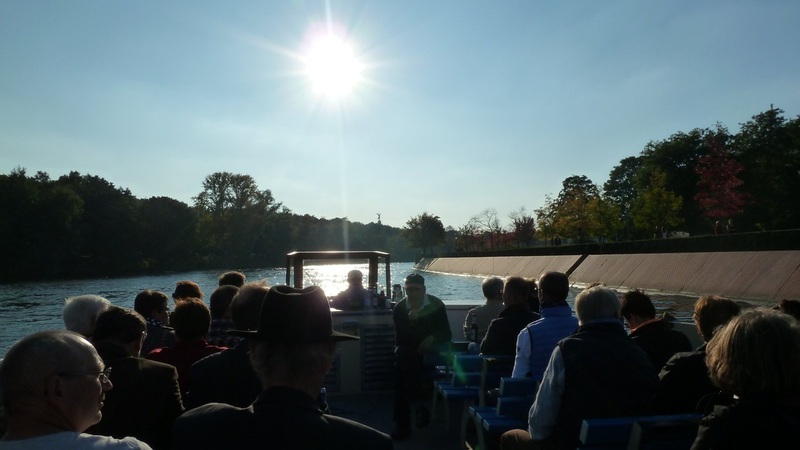 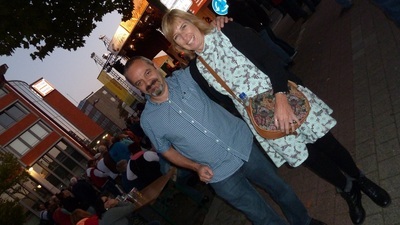 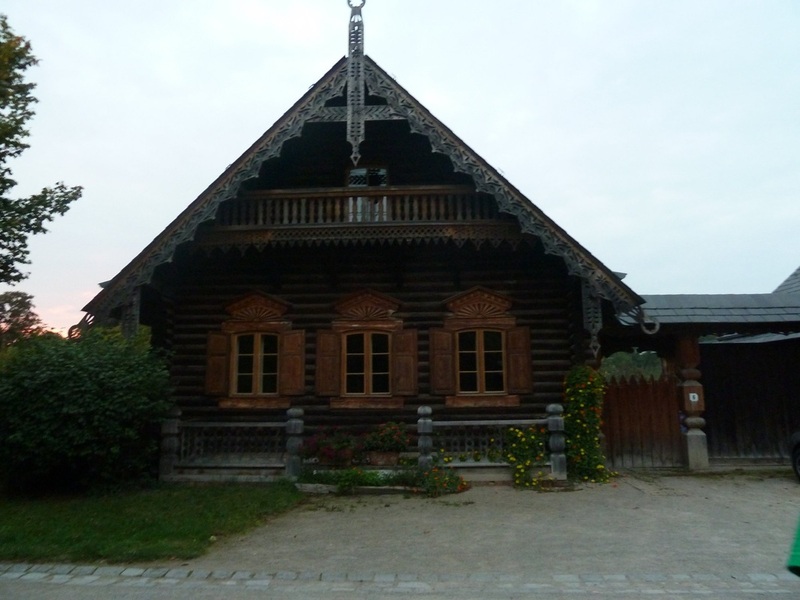 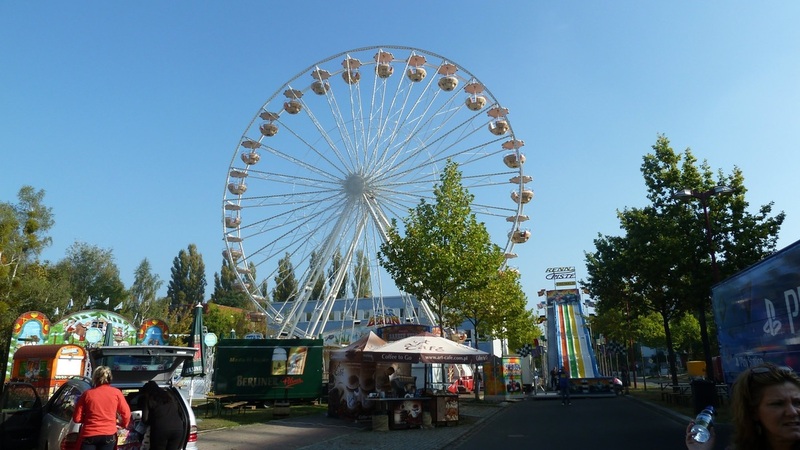 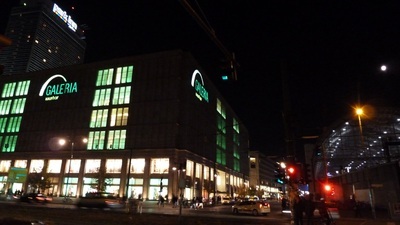 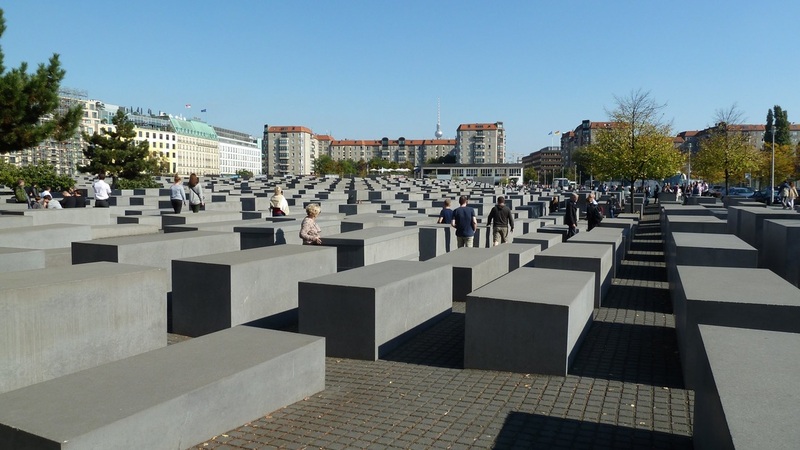 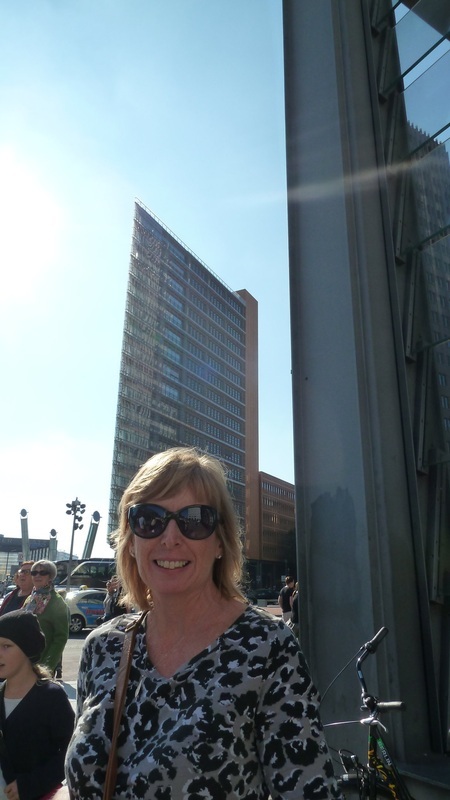 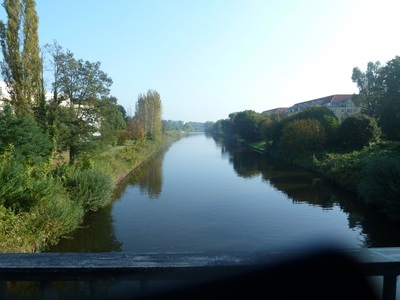 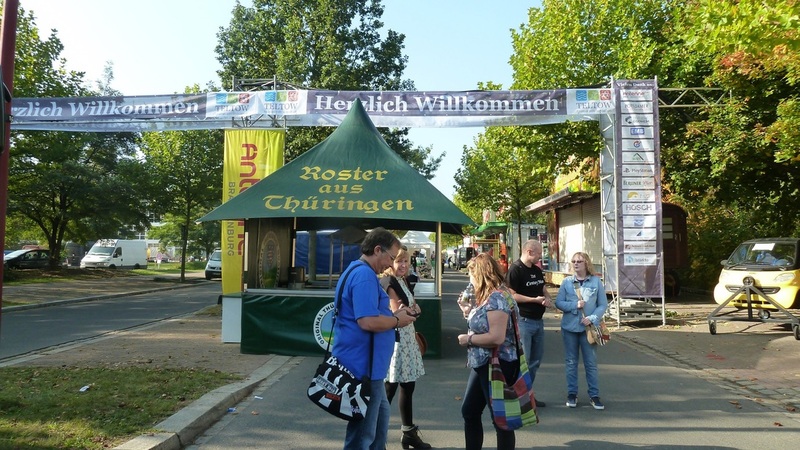 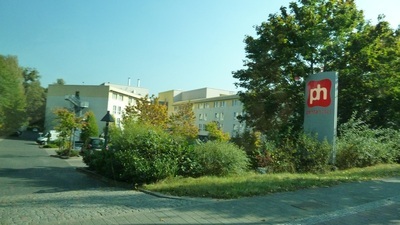 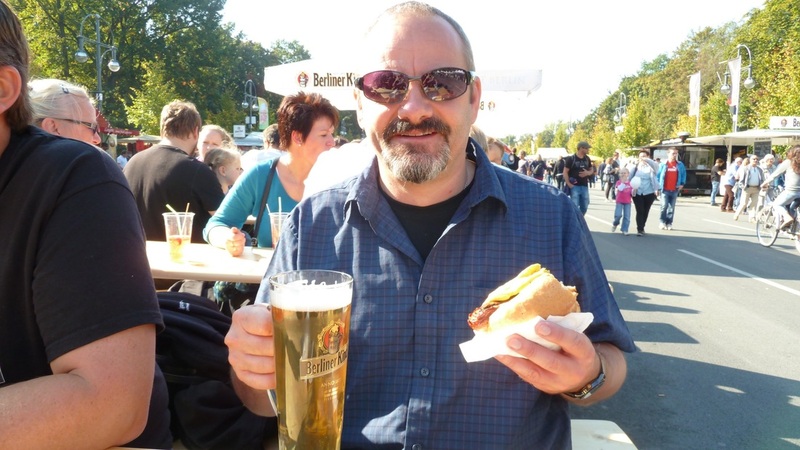 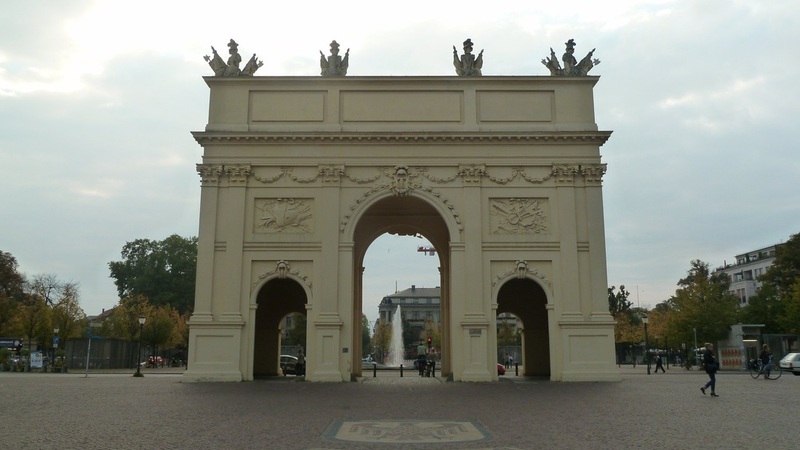 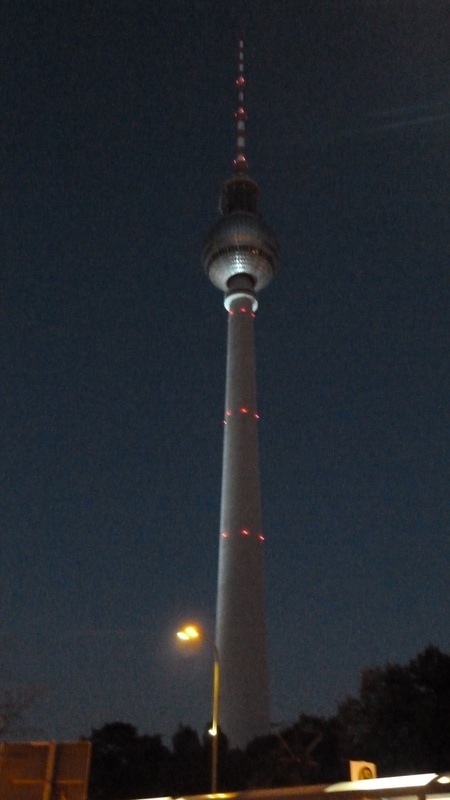 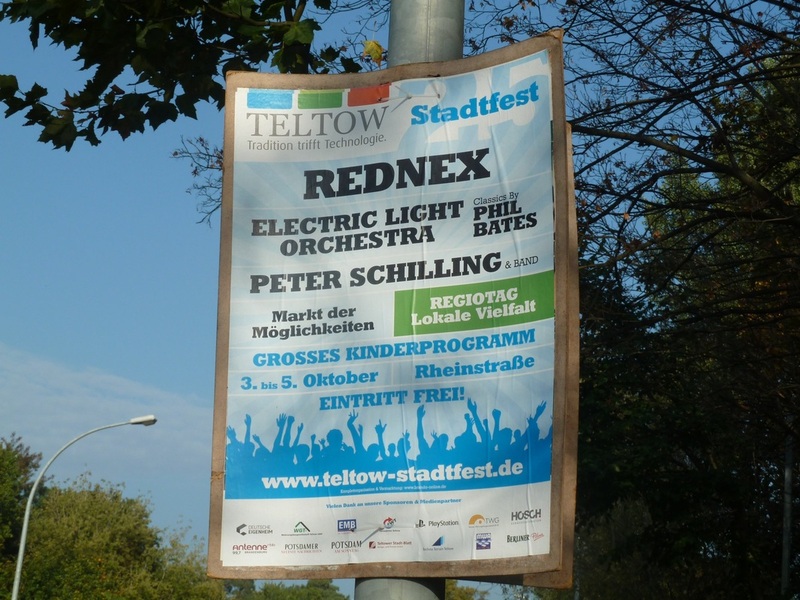 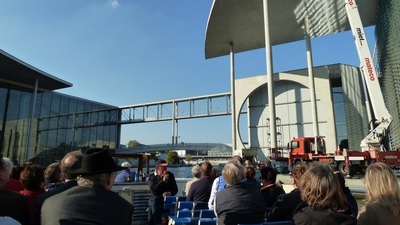 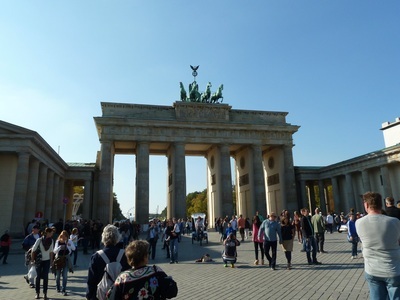 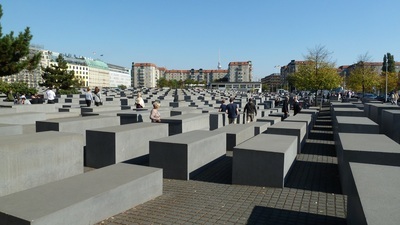 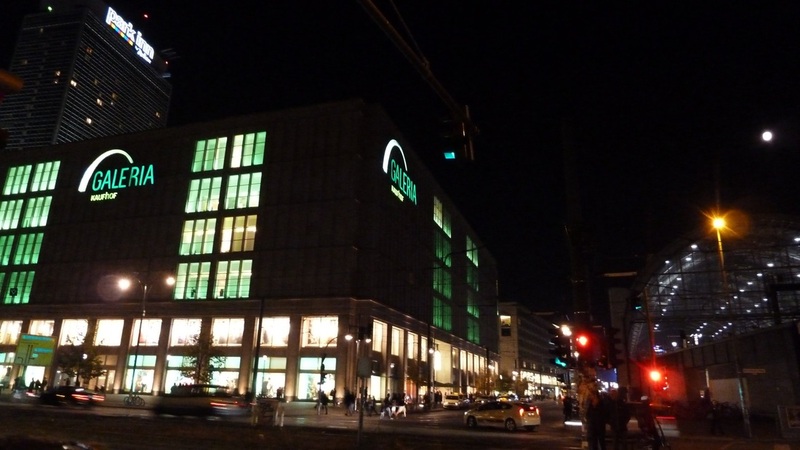 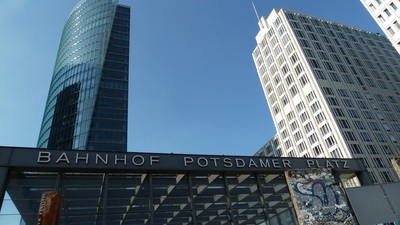 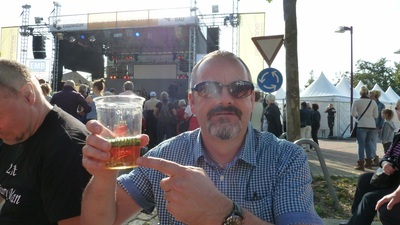 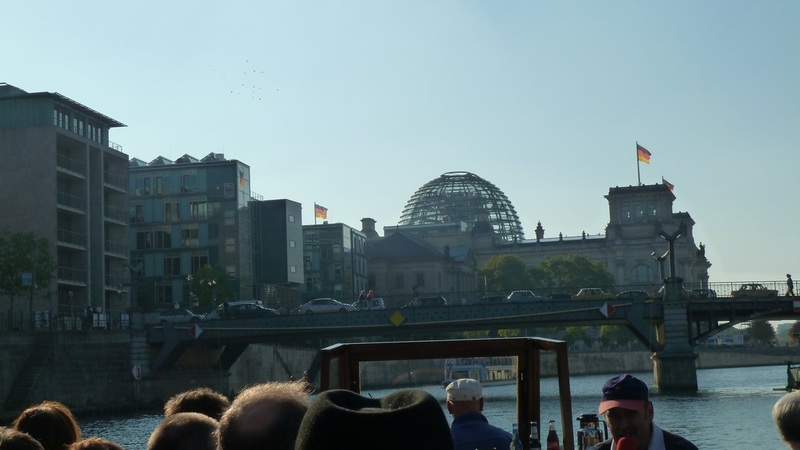 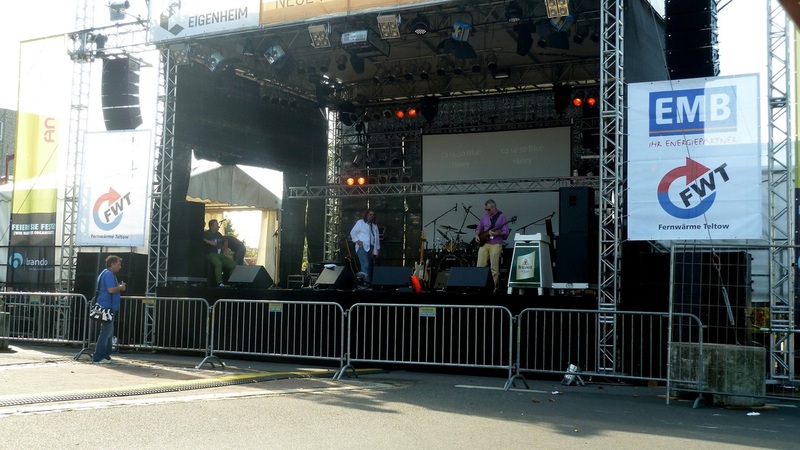 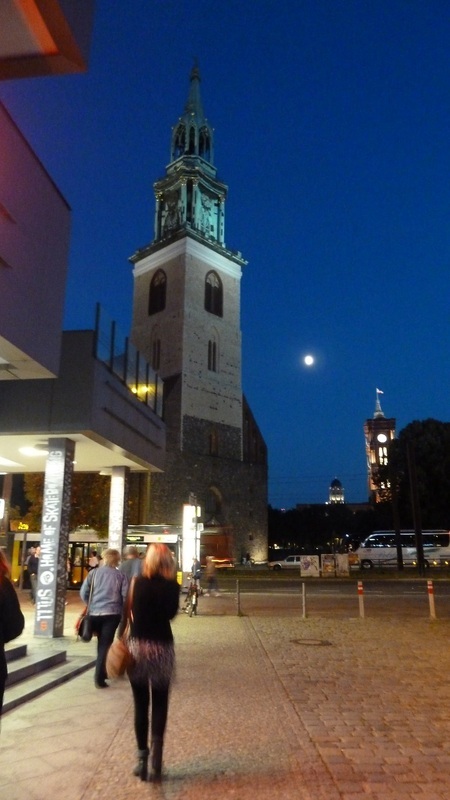 We spent a fantastic few days with great friends visiting the amazing city of Berlin, including Potsdam and Teltow situated about 25km south of Berlin where our hotel was based for the 25th Teltower Stadtfest where headline band on Friday 3rd October (German Unity Day) was Phil Bates & Band performing Electric Light Orchestra Classics. 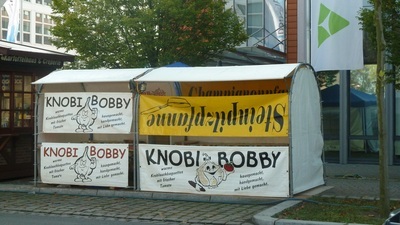 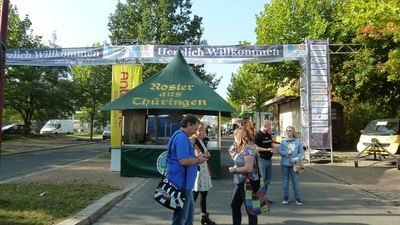 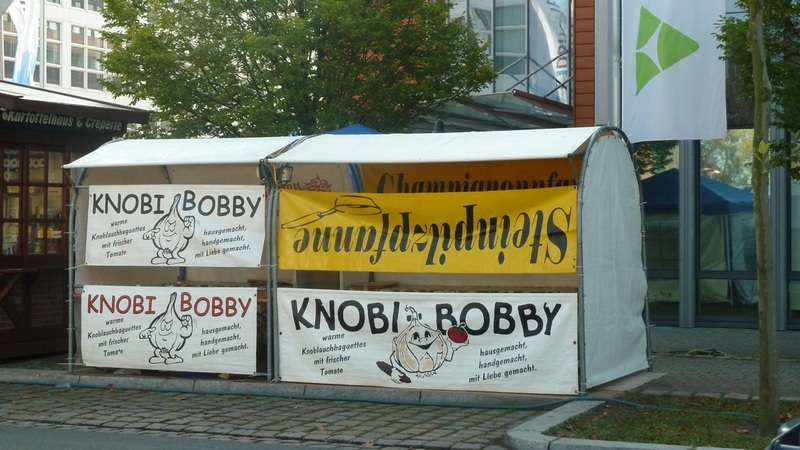 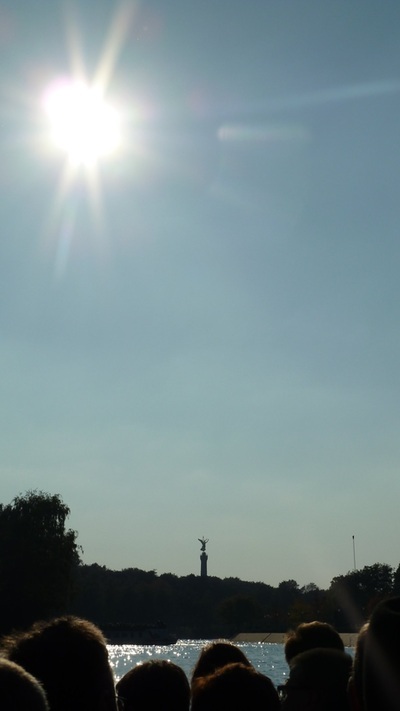 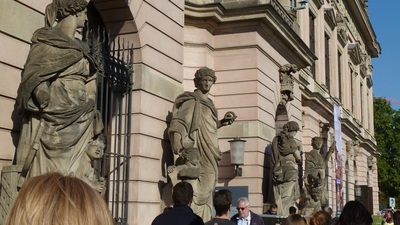 The festival lasts for three days with a huge fair, market stalls and food and drink stalls a plenty. 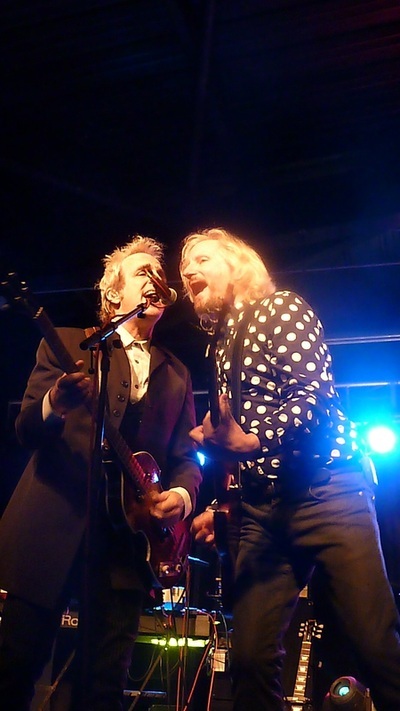 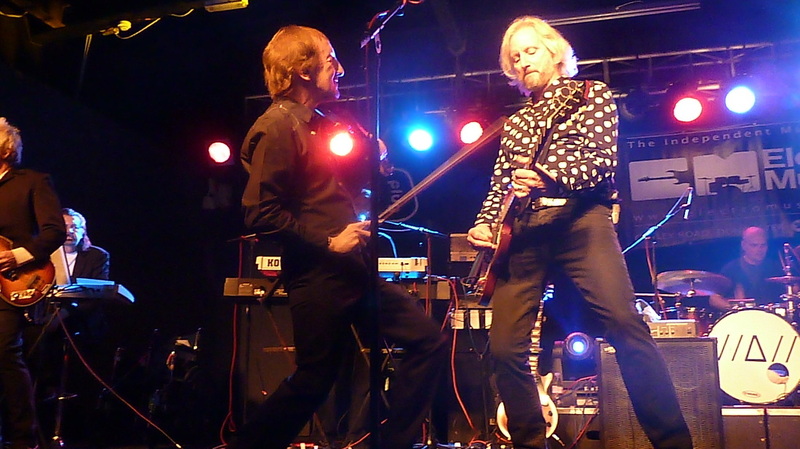 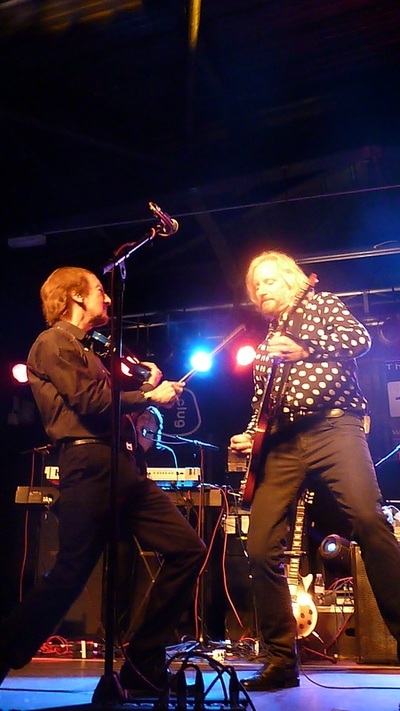 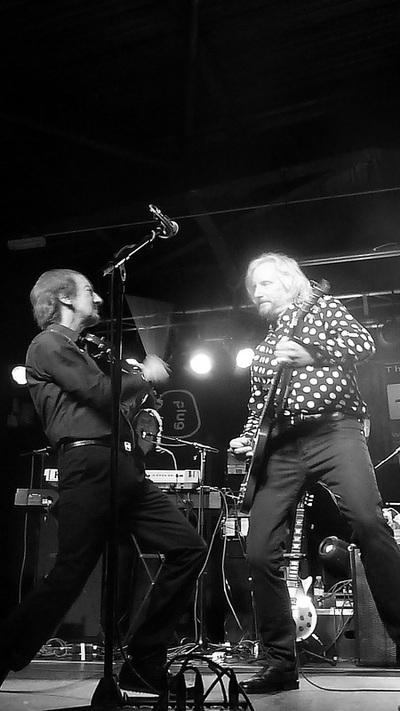 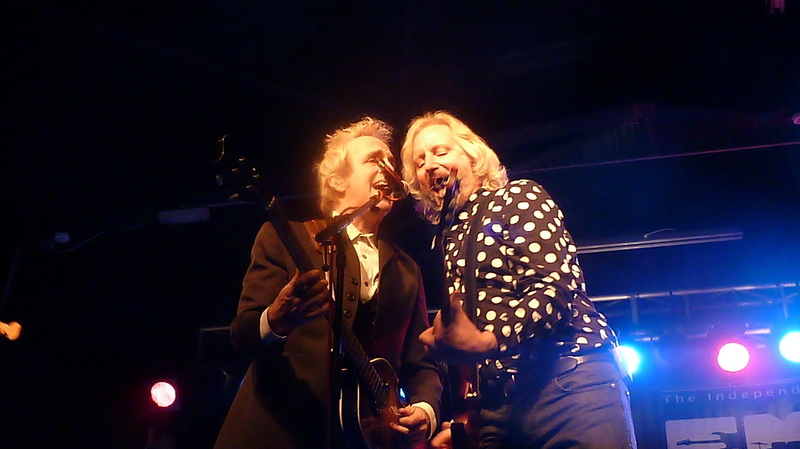 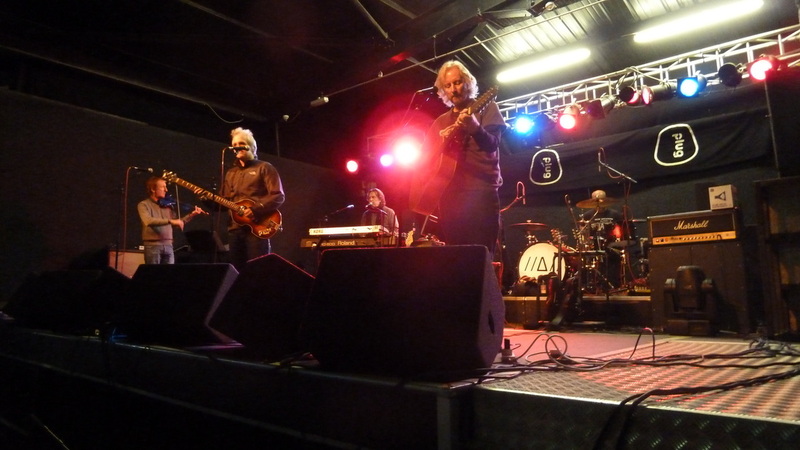 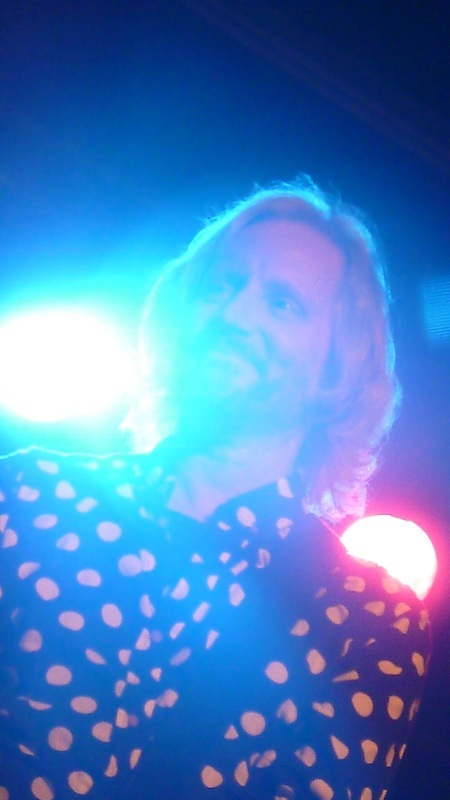 Here are some photos from the afternoon soundcheck, Bee Gees tribute act, Phil Bates performance, backstage photos and a few of my tourist photos. 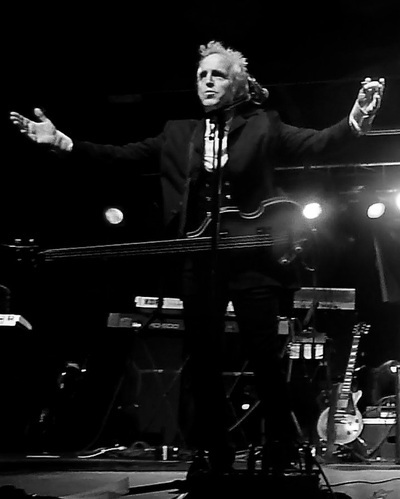 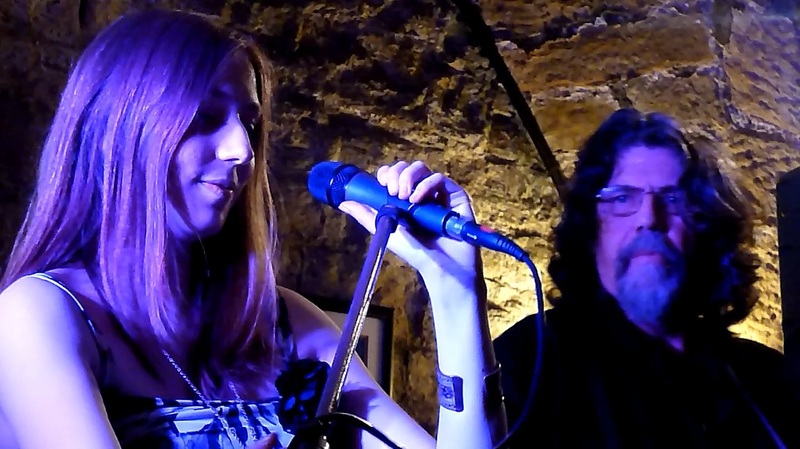 Check out my Youtube Channel to watch my videos of 'Showdown', 'Midnight Blue', 'Turn To Stone', 'Evil Woman' and 'Shine A Little Love' performed live at the concert. 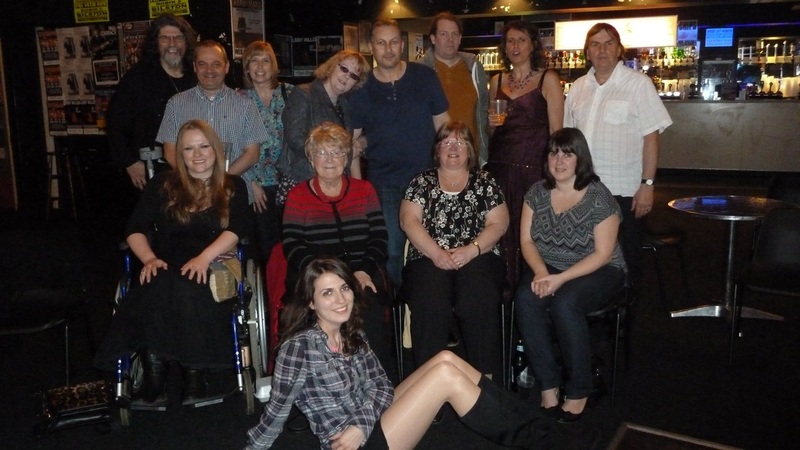 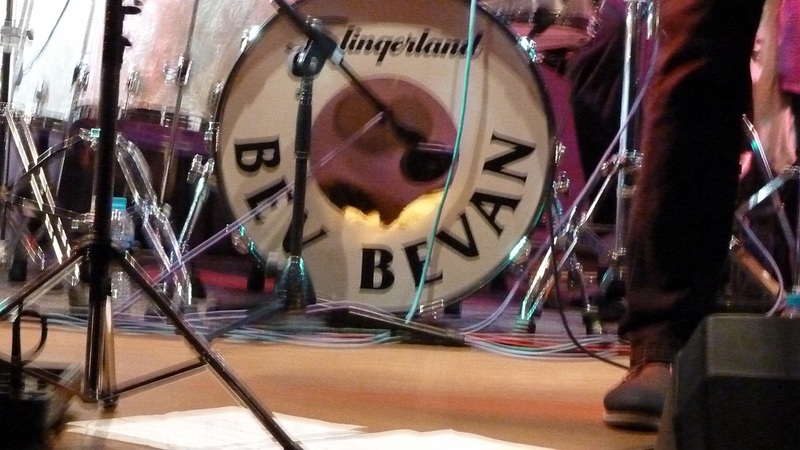 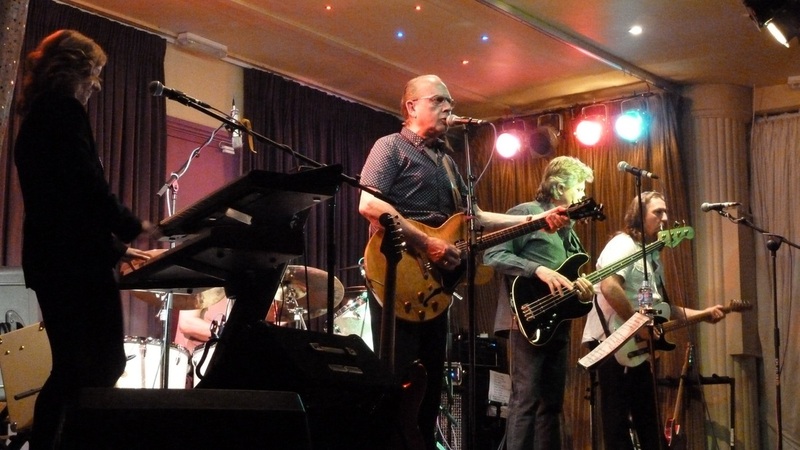 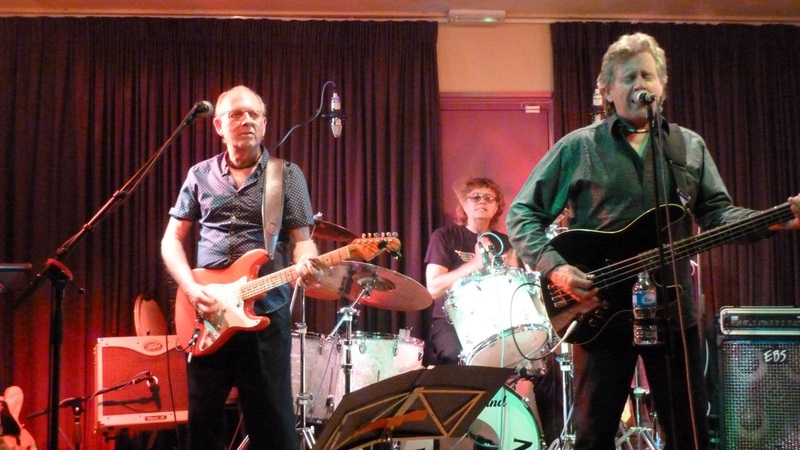 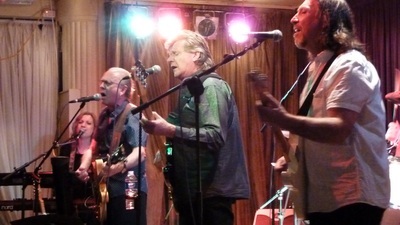 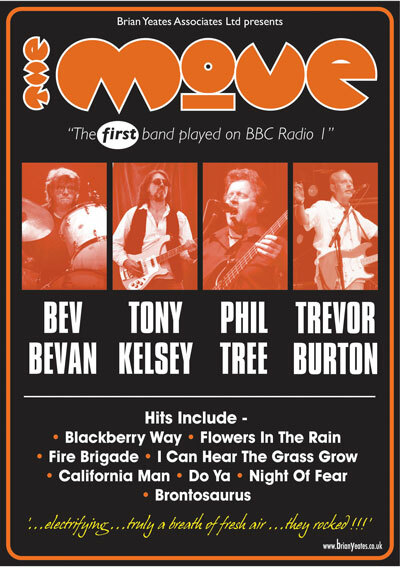 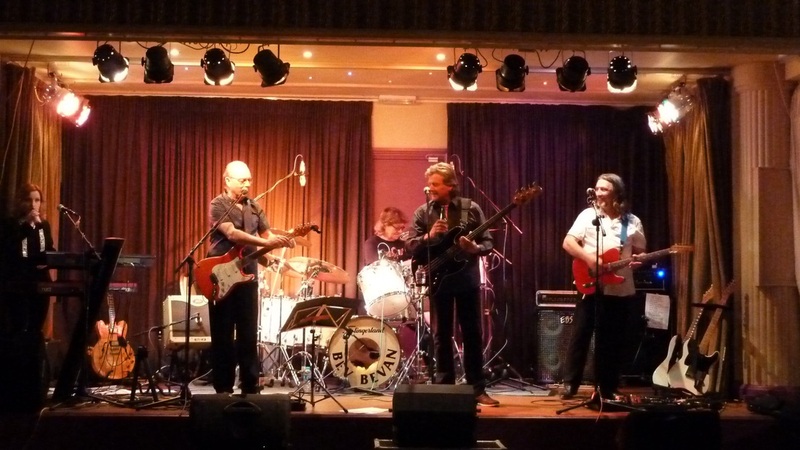 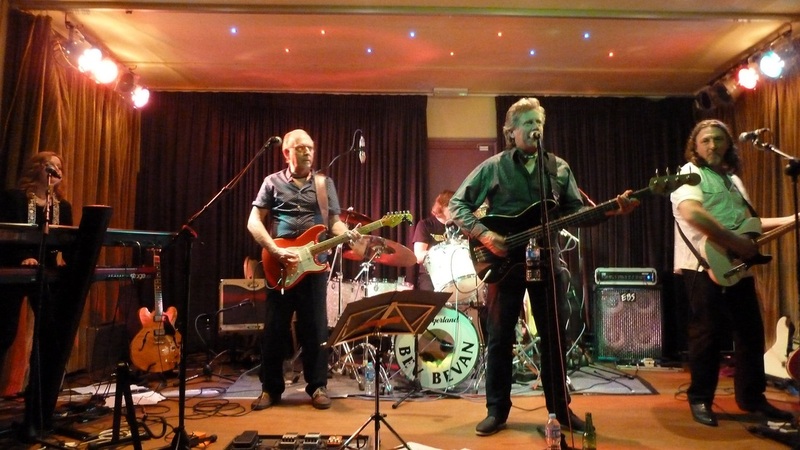 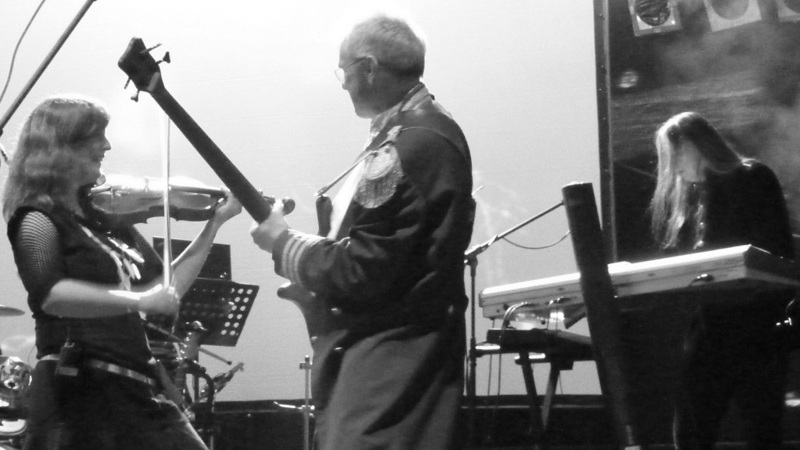 Band line-up : Bev Bevan, Trevor Burton, Tony Kelsey, Phil Tree and Abby Brant. 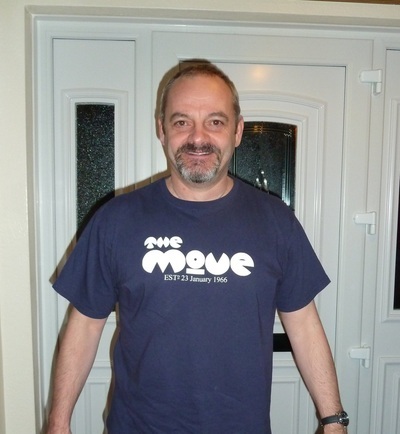 This was a fantastic gig by The Move on what Bev announced would be their final tour, finishing at the Isle Of Wight Festival in August. 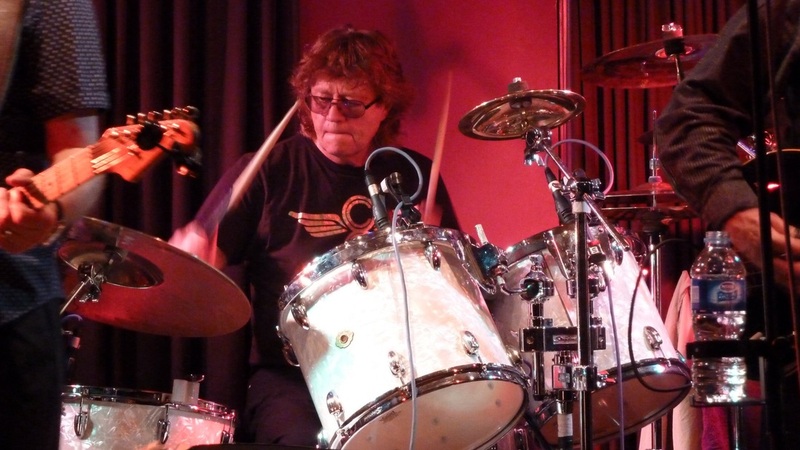 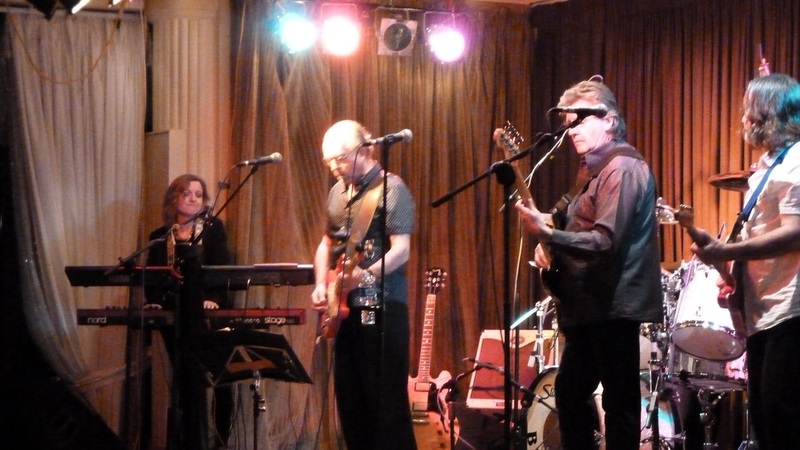 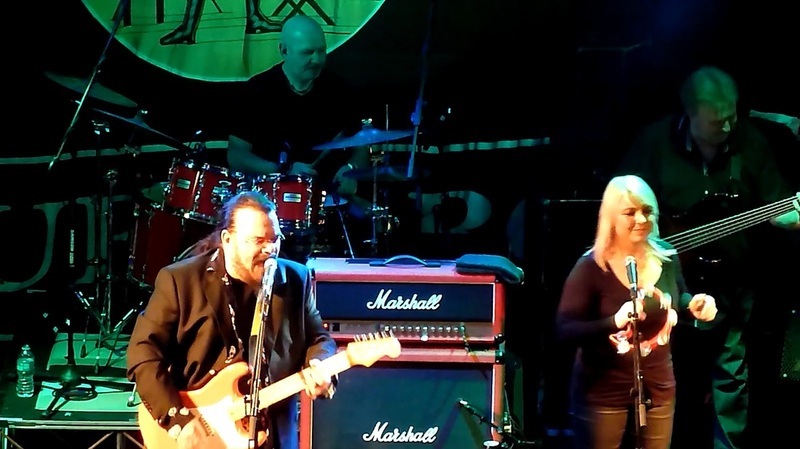 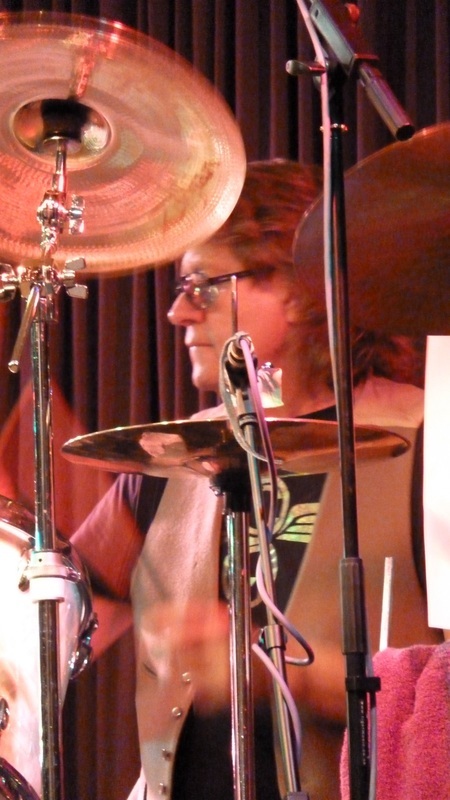 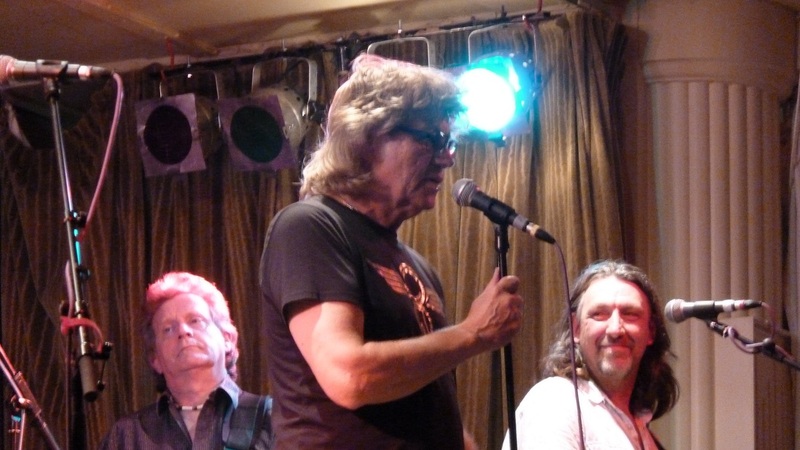 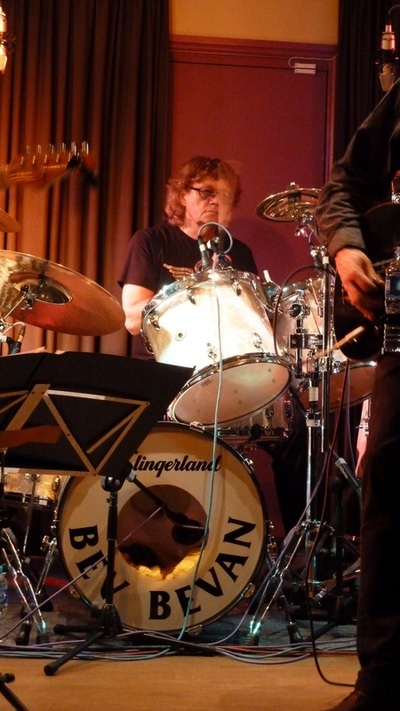 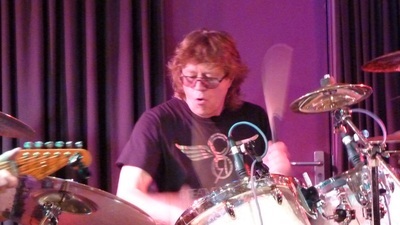 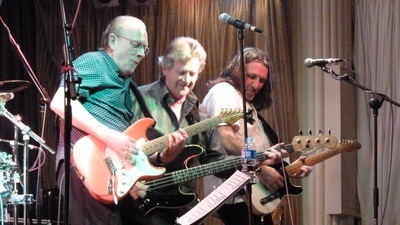 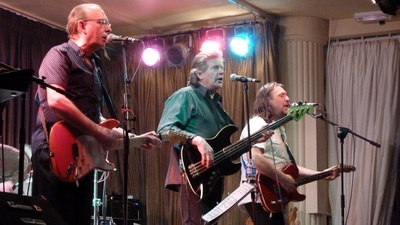 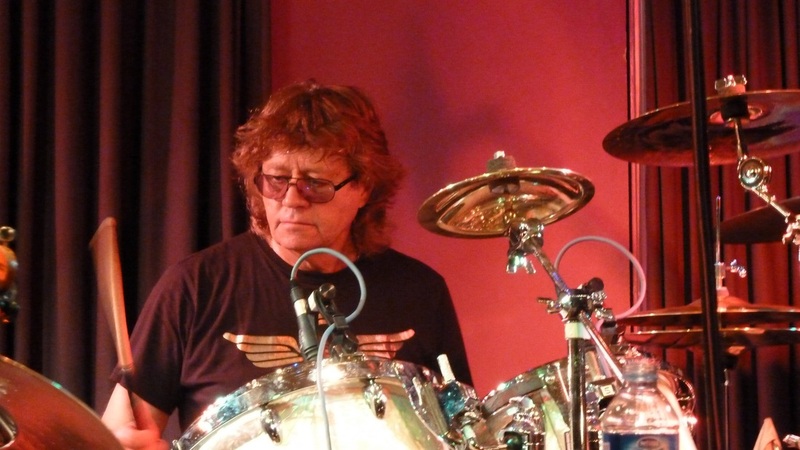 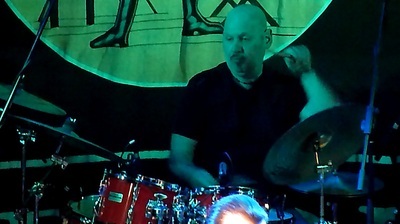 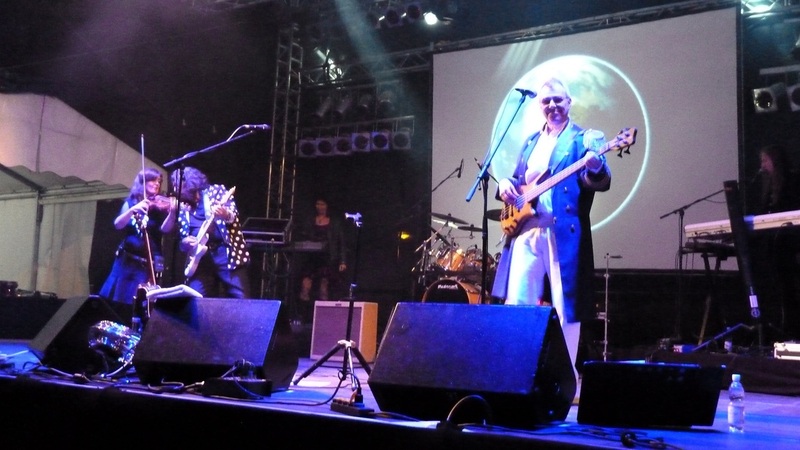 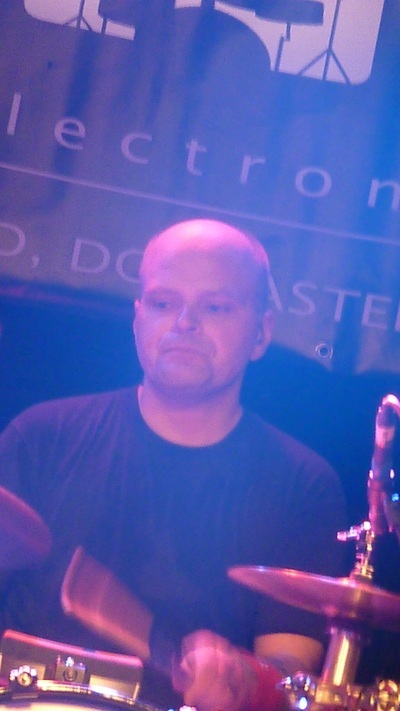 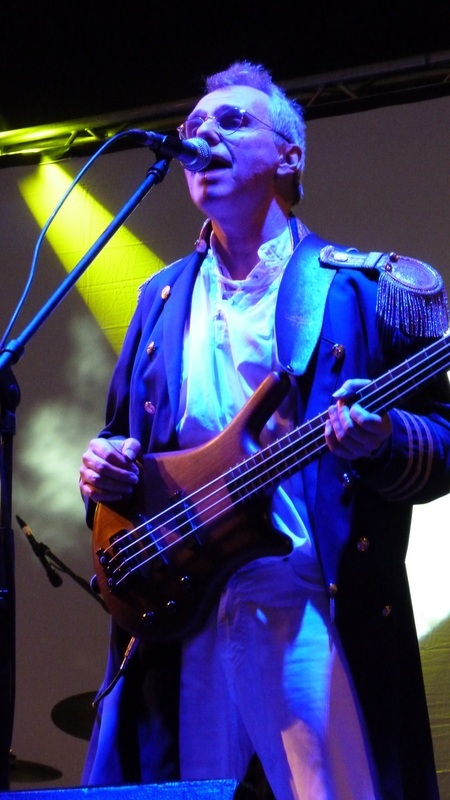 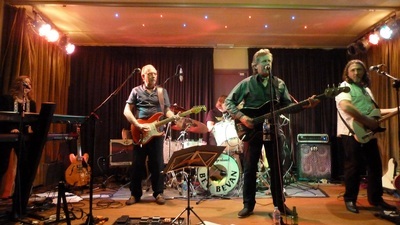 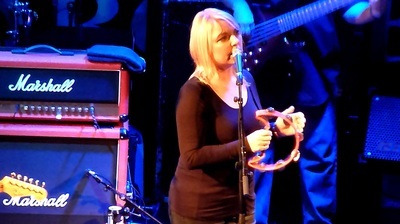 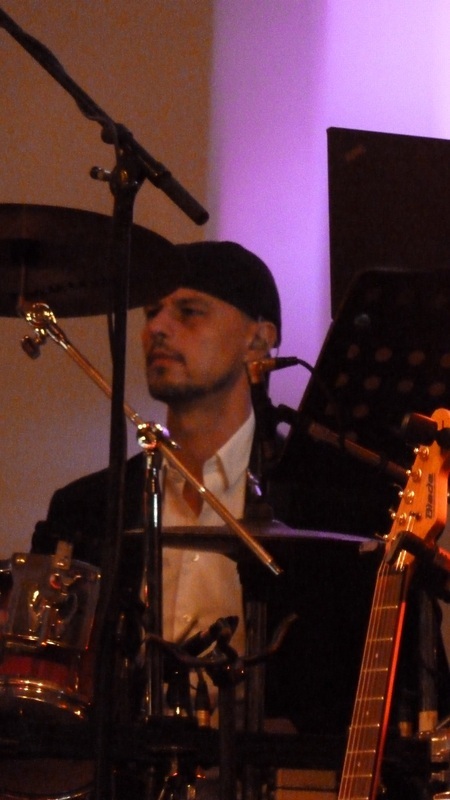 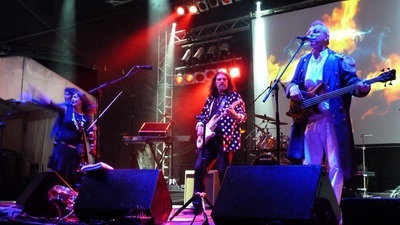 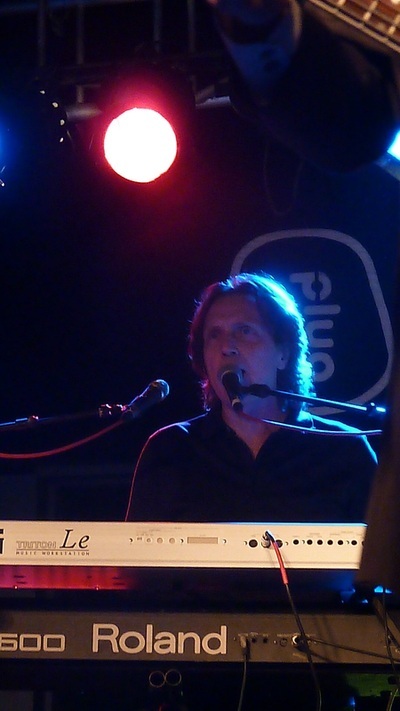 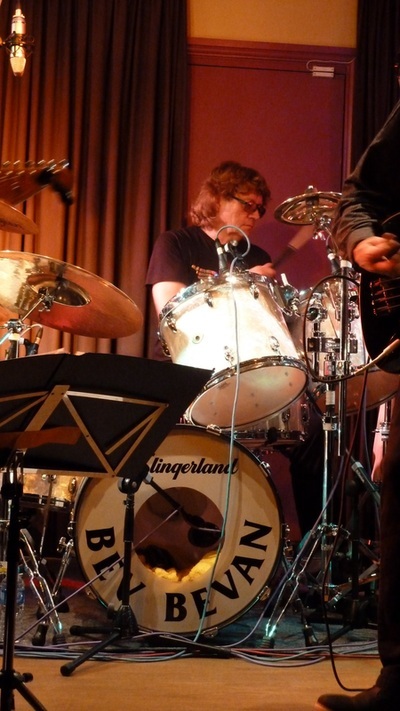 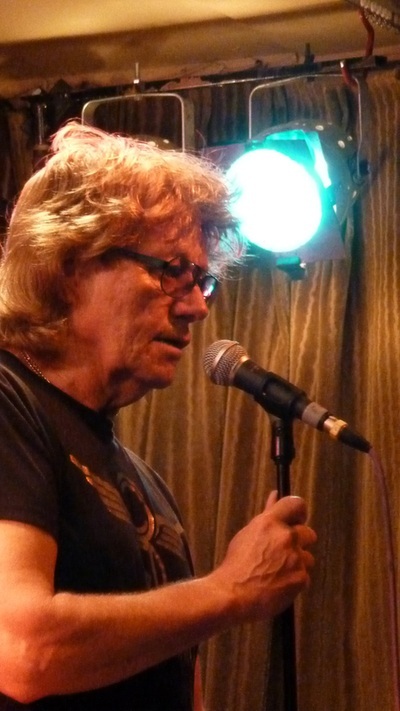 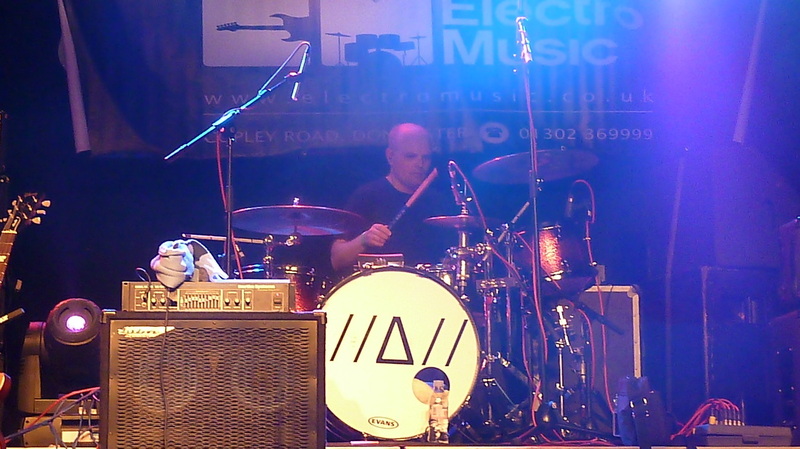 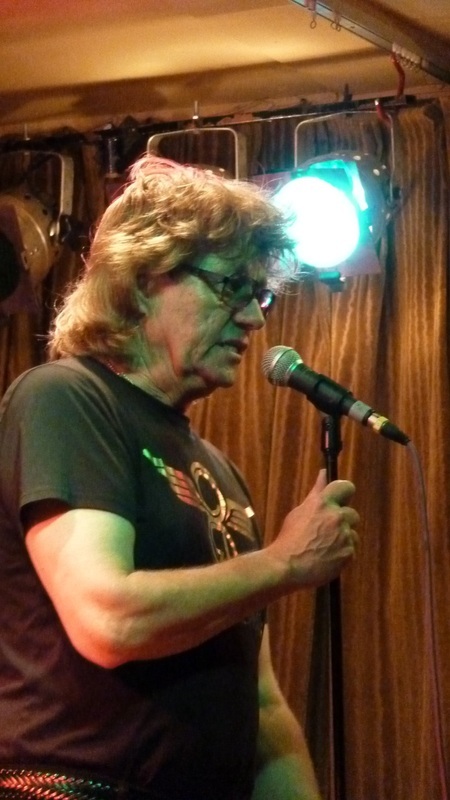 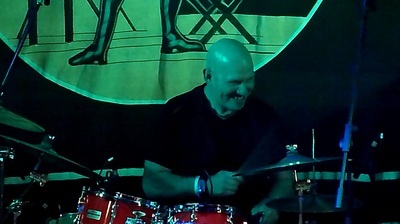 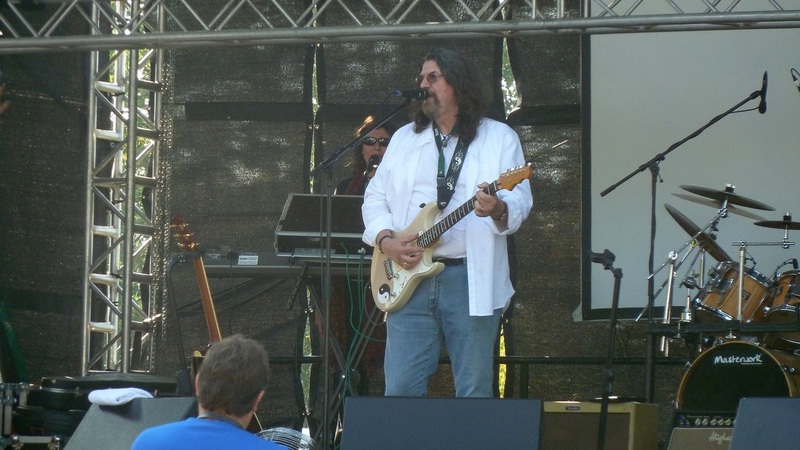 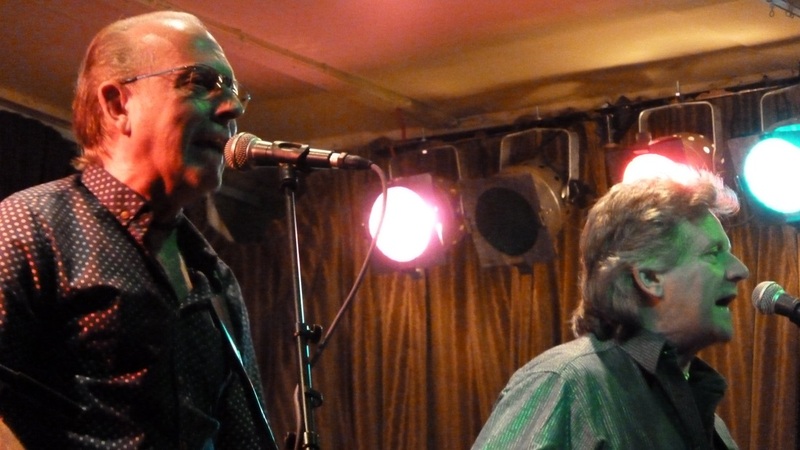 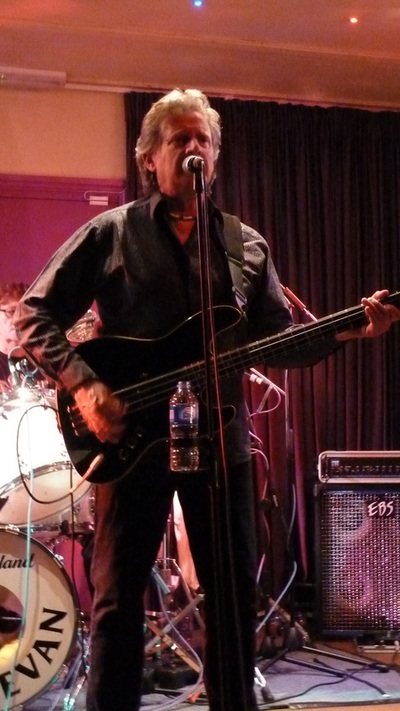 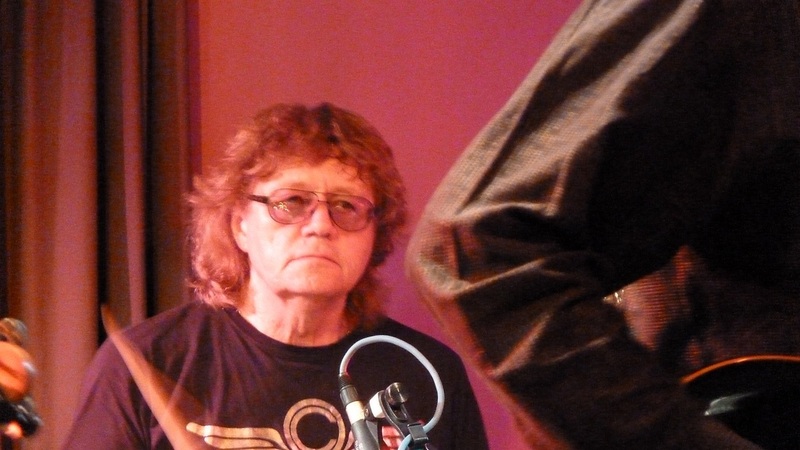 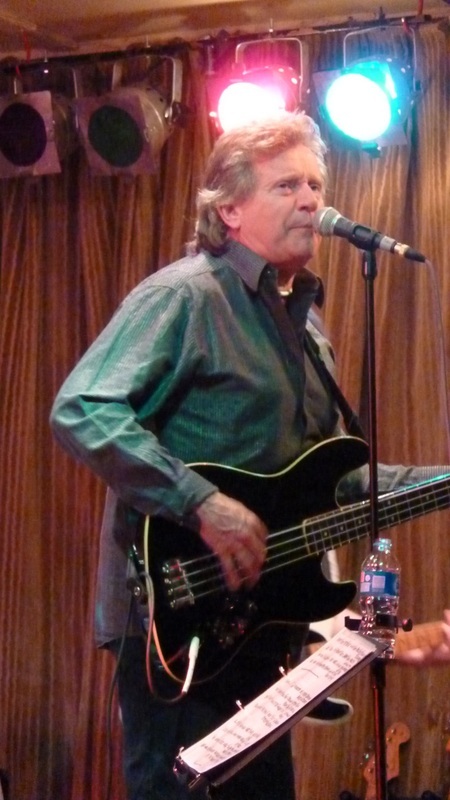 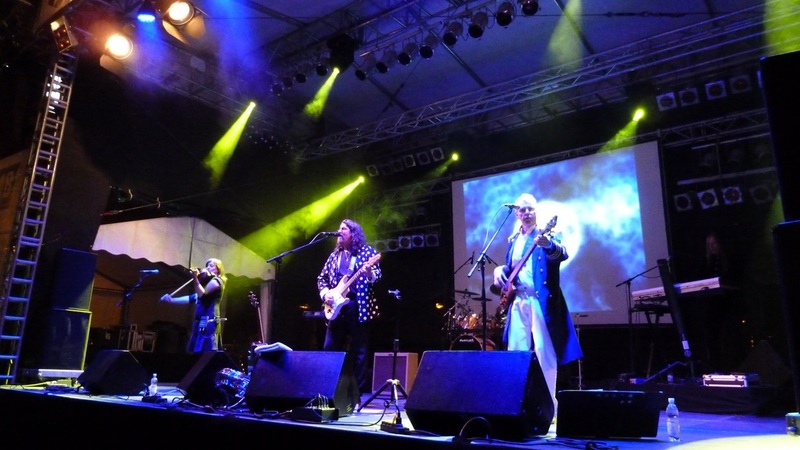 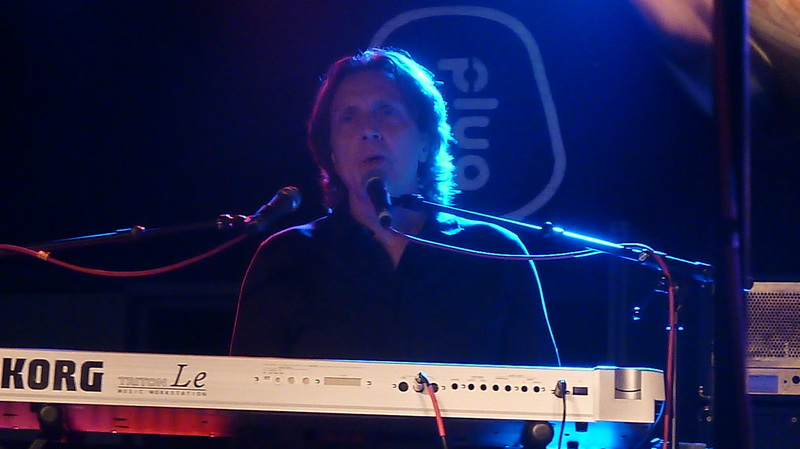 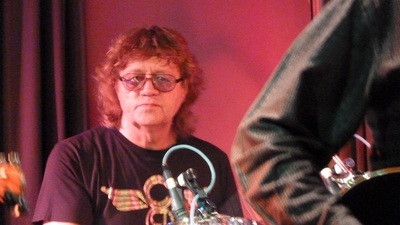 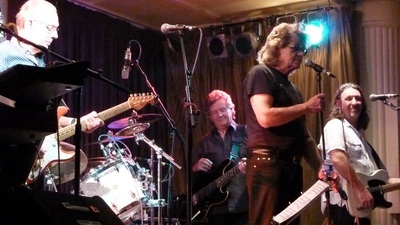 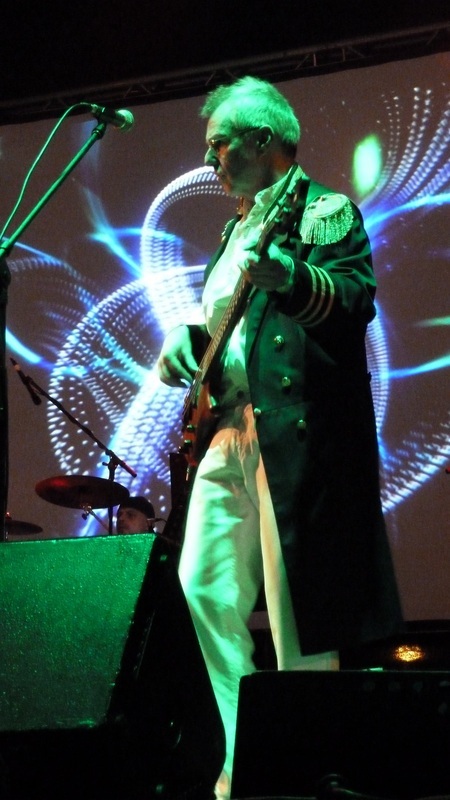 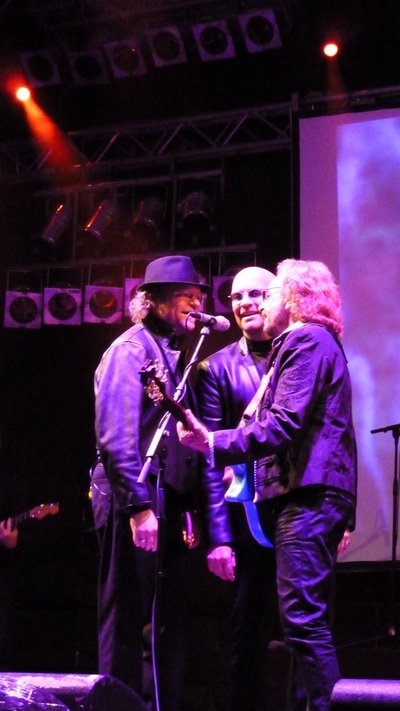 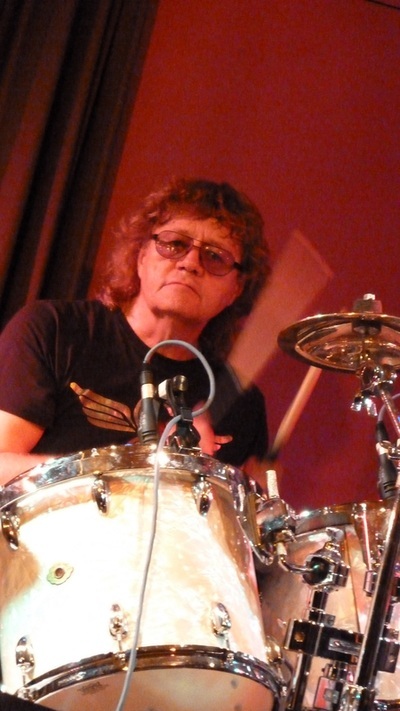 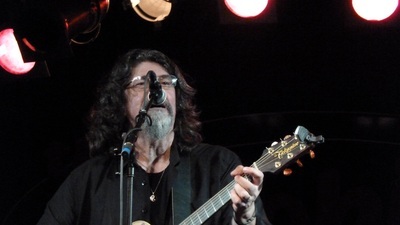 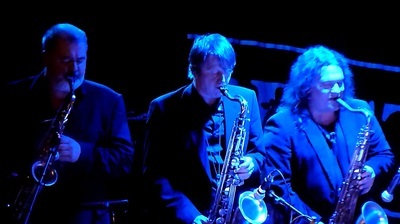 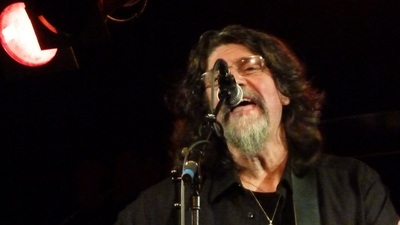 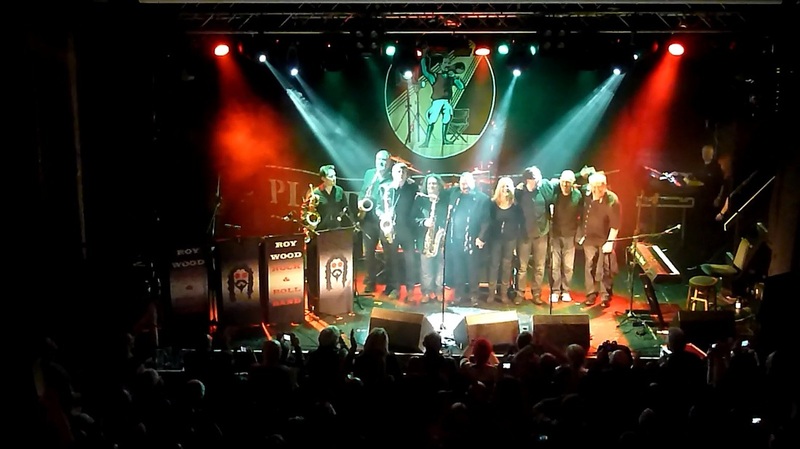 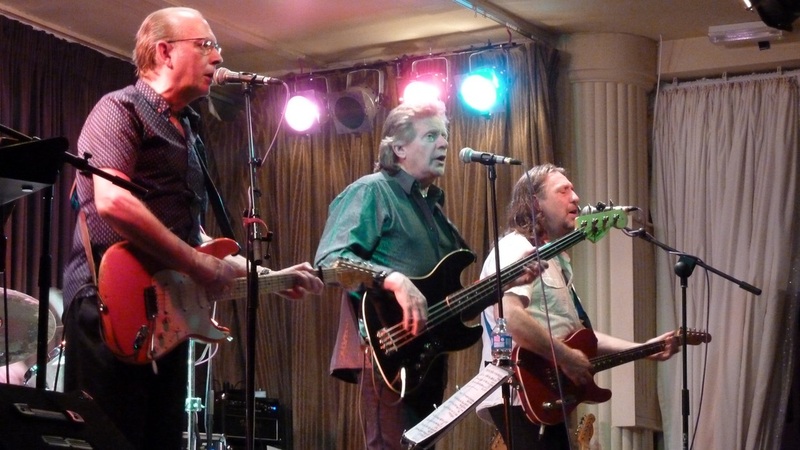 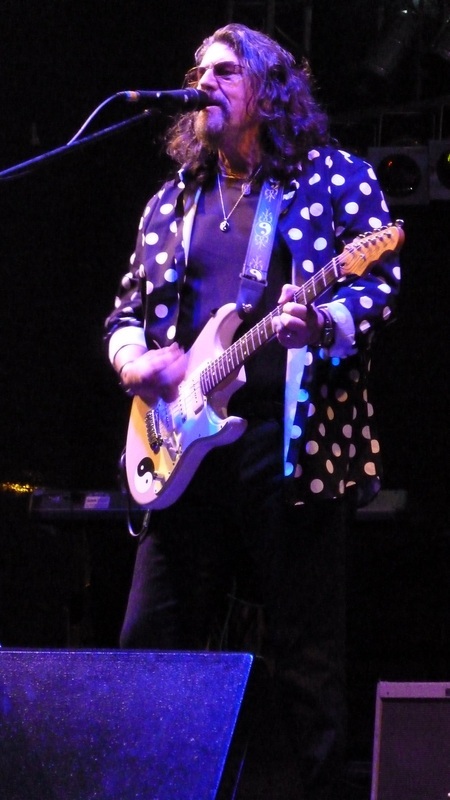 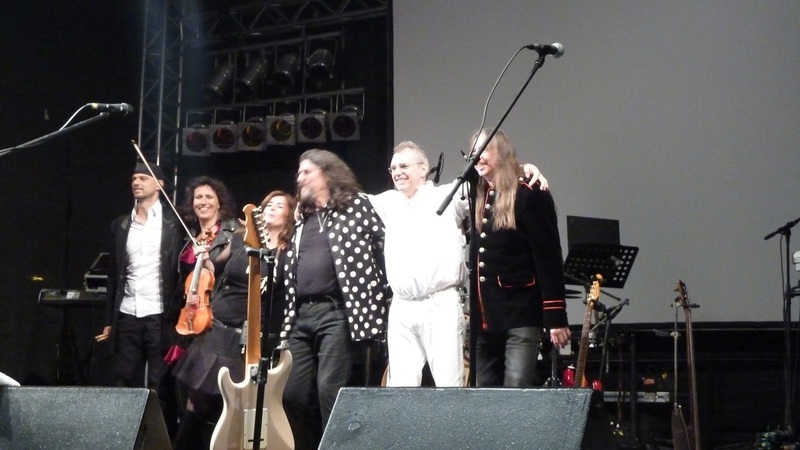 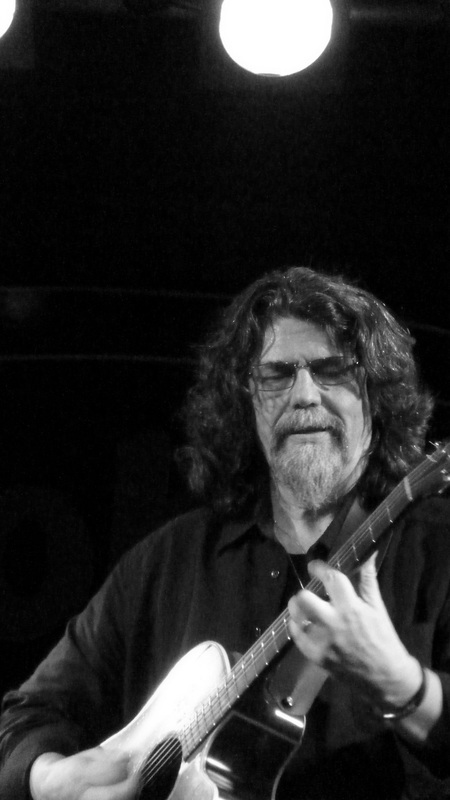 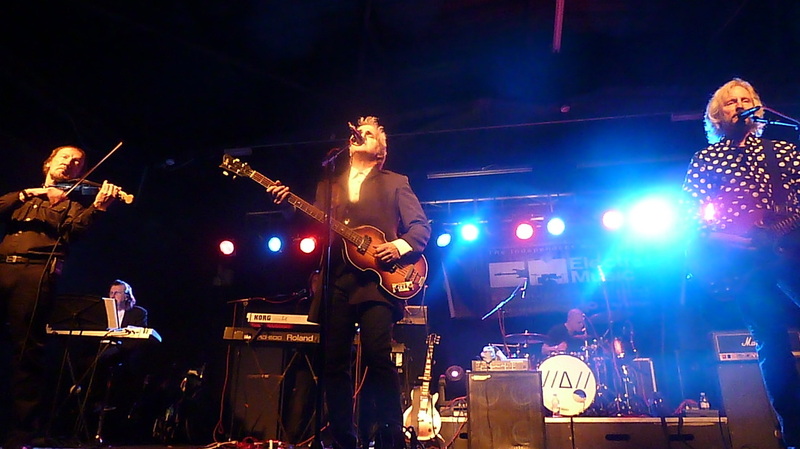 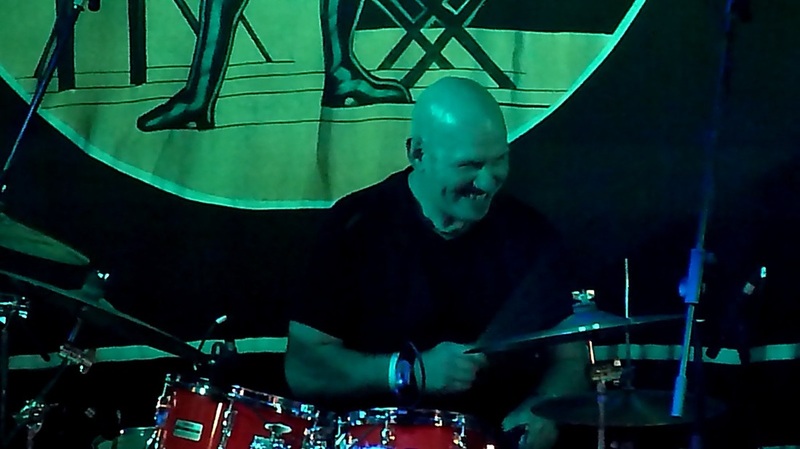 The band features original members Bev Bevan and Trevor Burton with Tony Kelsey on guitar, Phil Tree on vocals and bass and Abby Brant on vocals and keyboards. 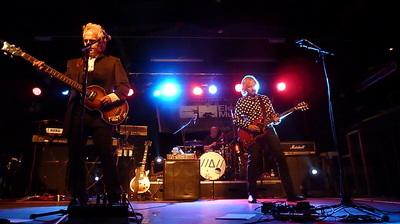 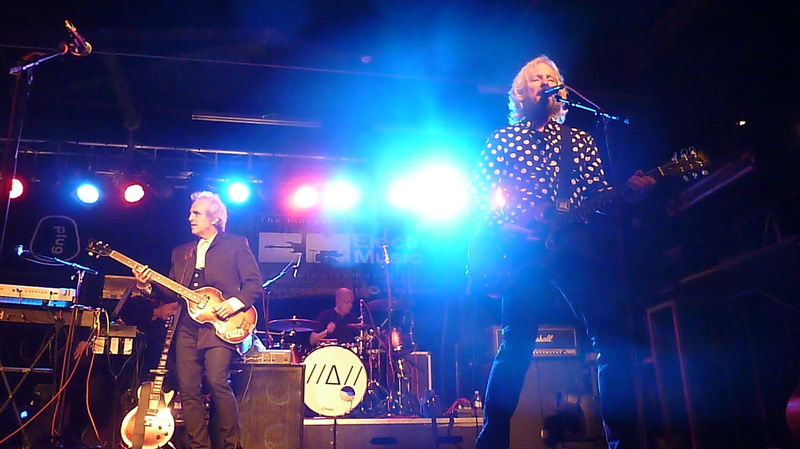 They performed lots of tracks from The Move's repertoire including 'Blackberry Way, 'California Man', 'Fire Brigade, 'I Can Hear The Grass Grow', 'Flowers In The Rain, 'Brontosaurus', 'Wild Tiger Woman', 'Night Of Fear', 'Hello Susie', 'Do Ya' and other songs including 'Wild Thing' and the Jimi Hendrix classic 'Hey Joe'. 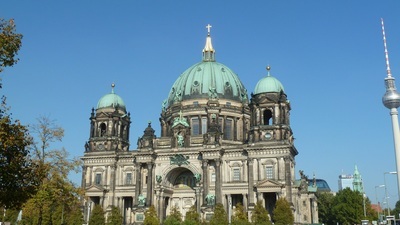 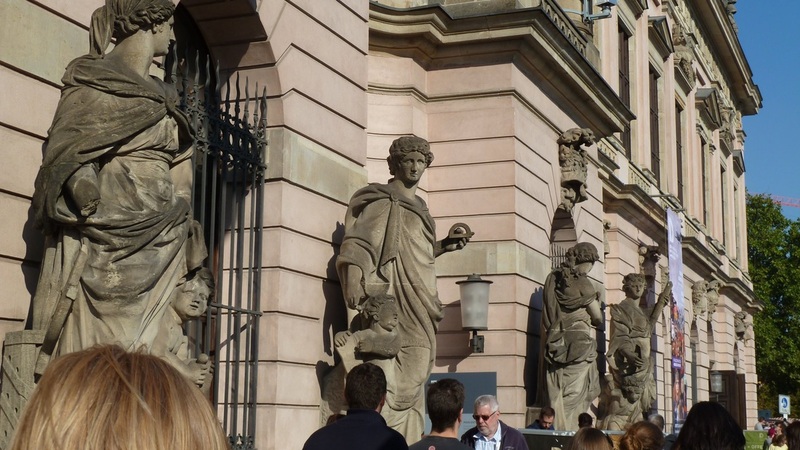 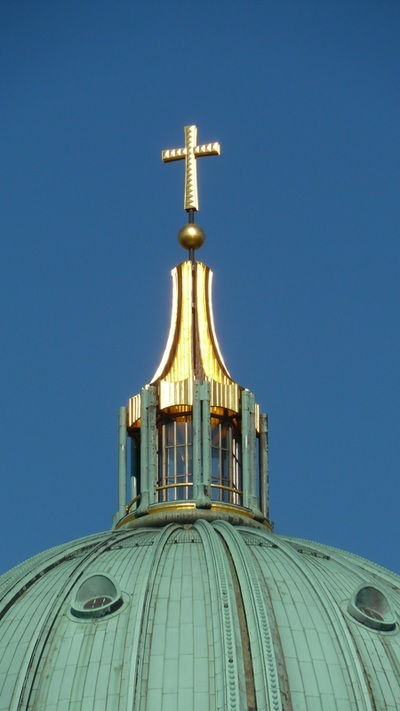 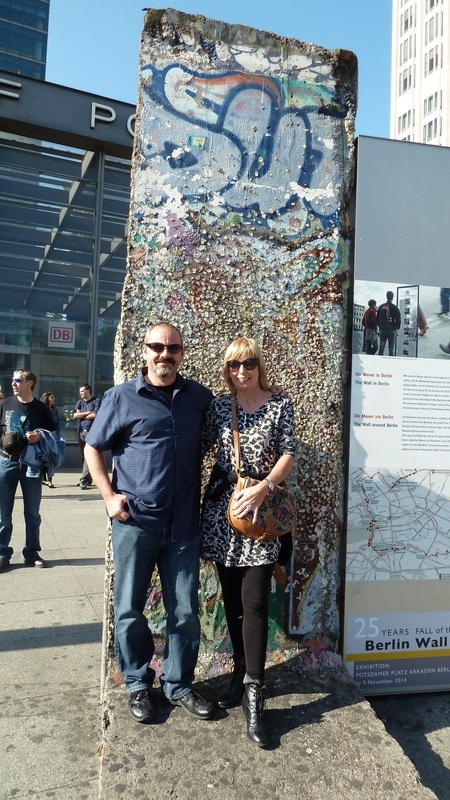 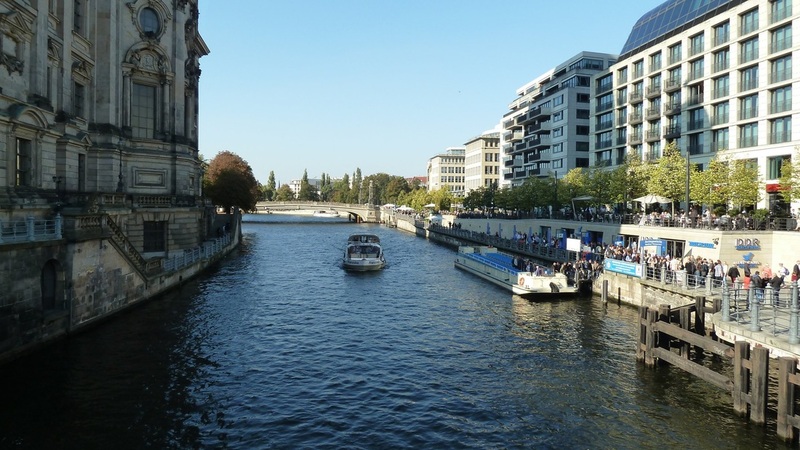 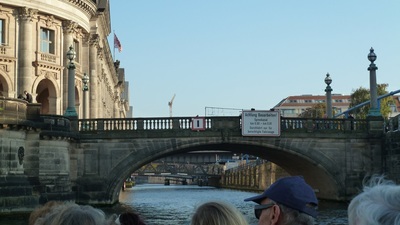 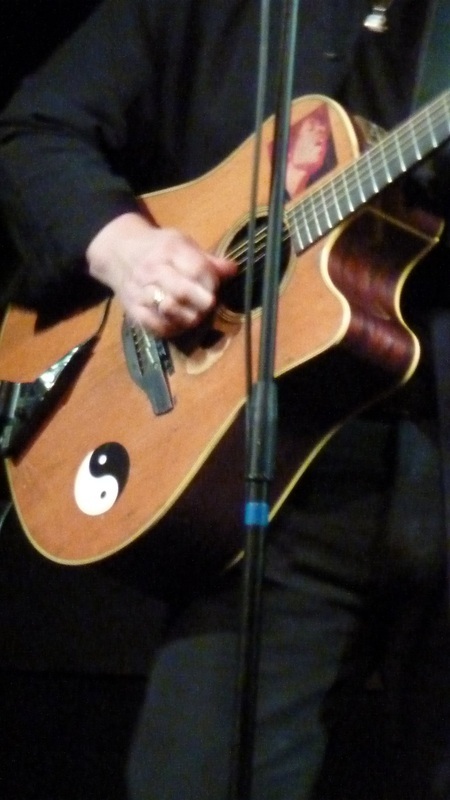 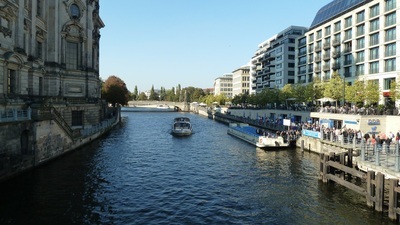 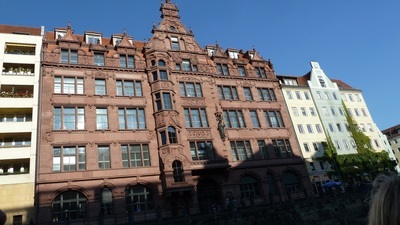 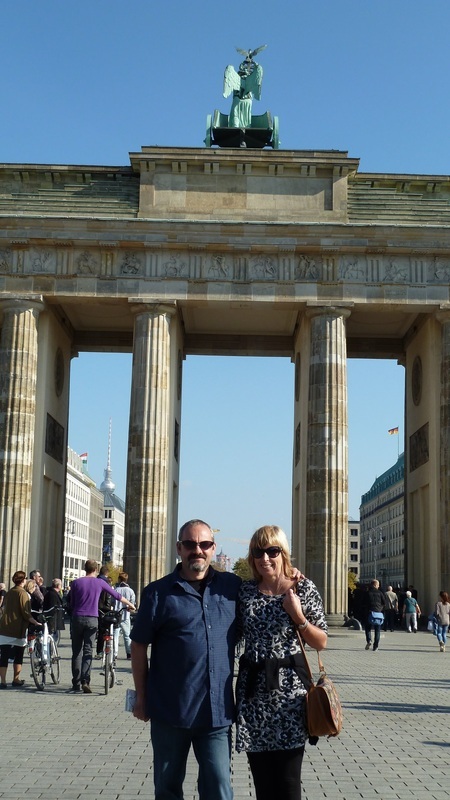 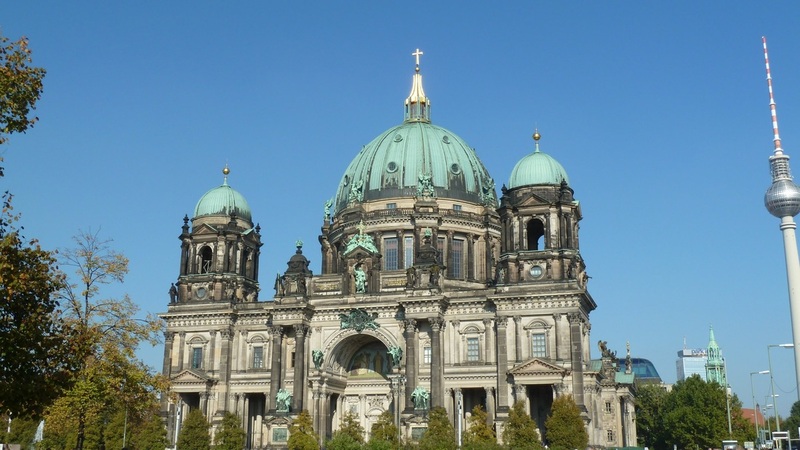 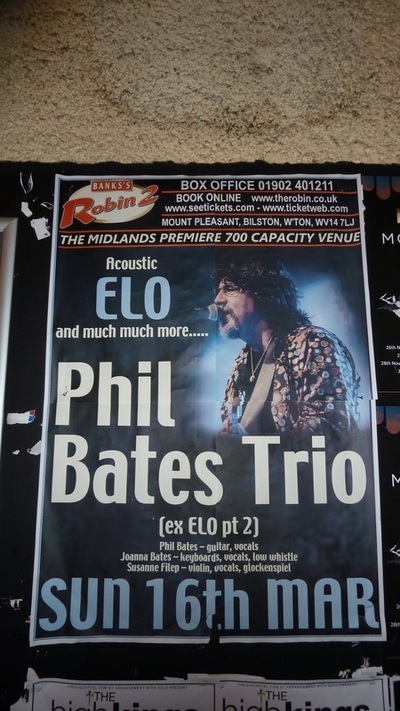 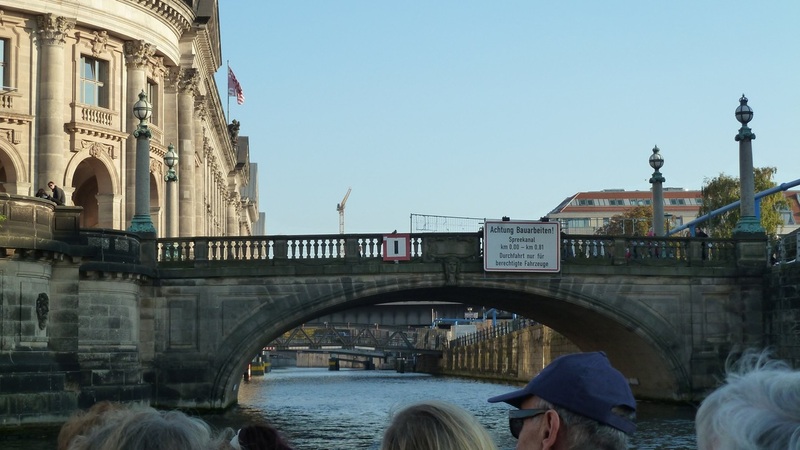 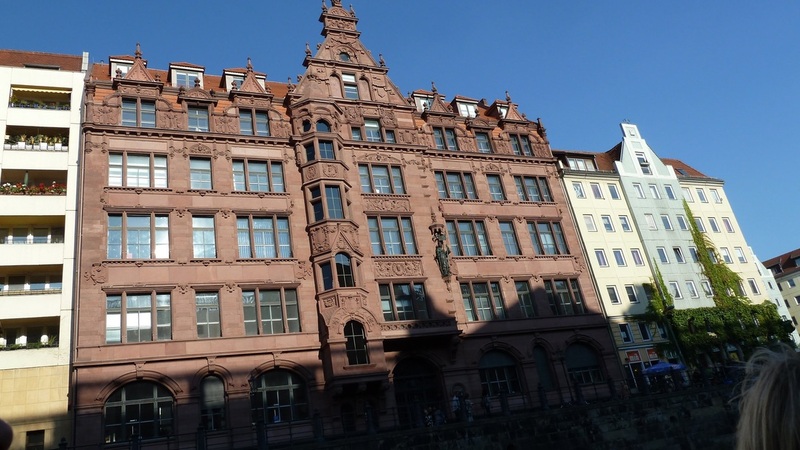 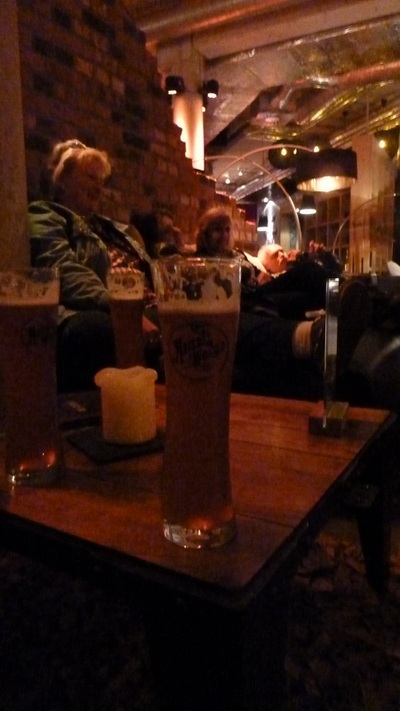 This was the second U.K. outing for Phil's German-based Acoustic Trio. 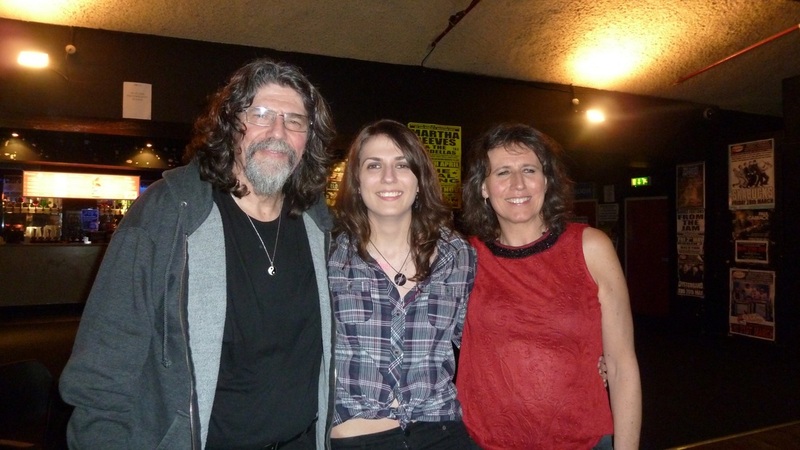 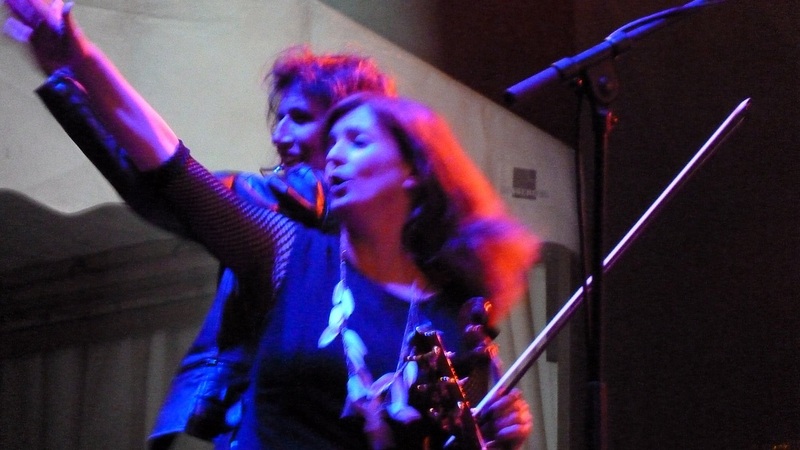 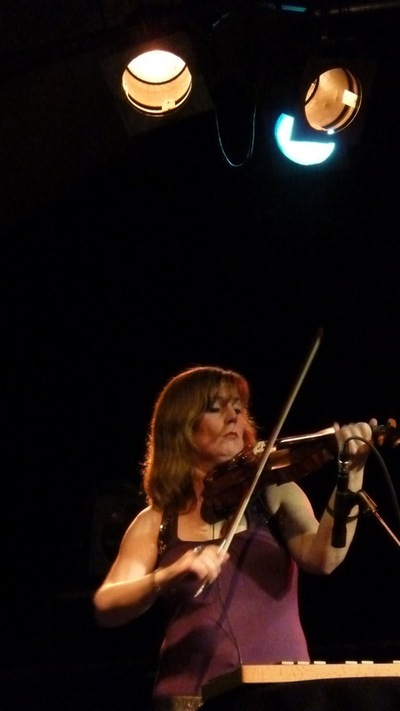 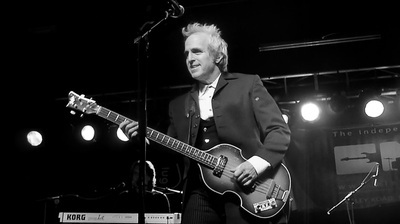 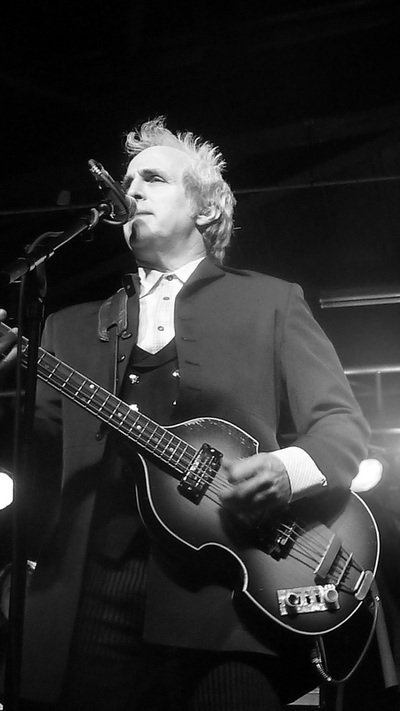 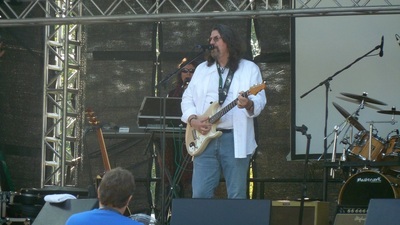 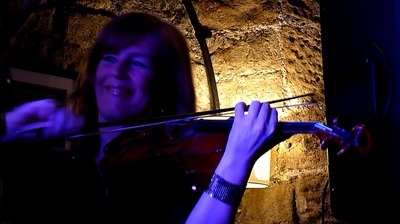 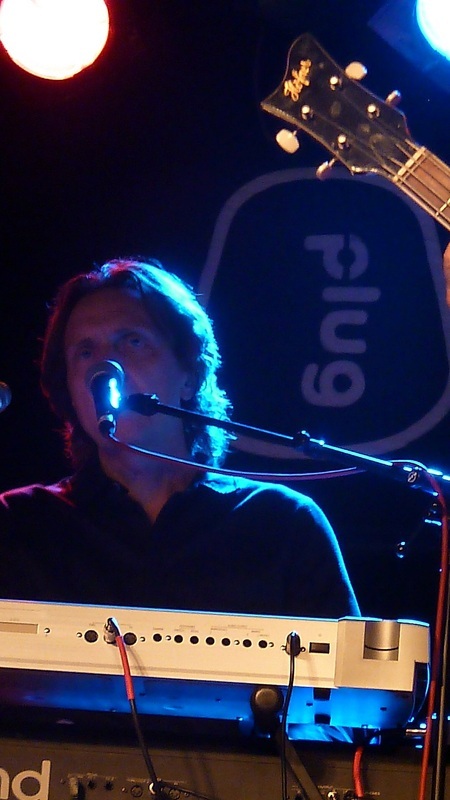 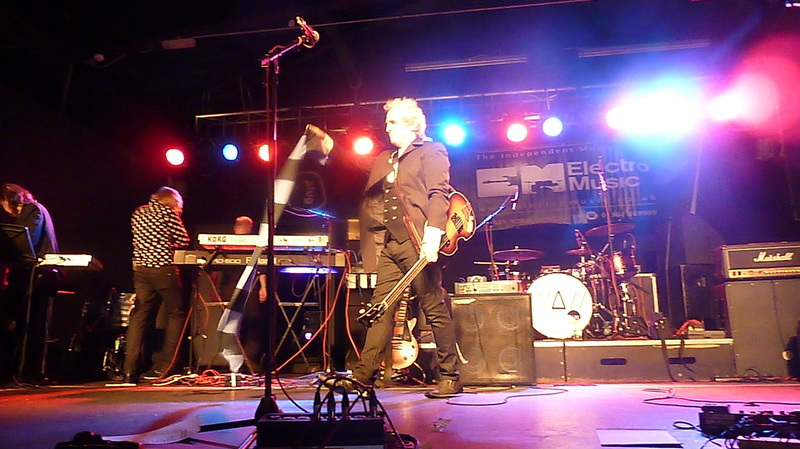 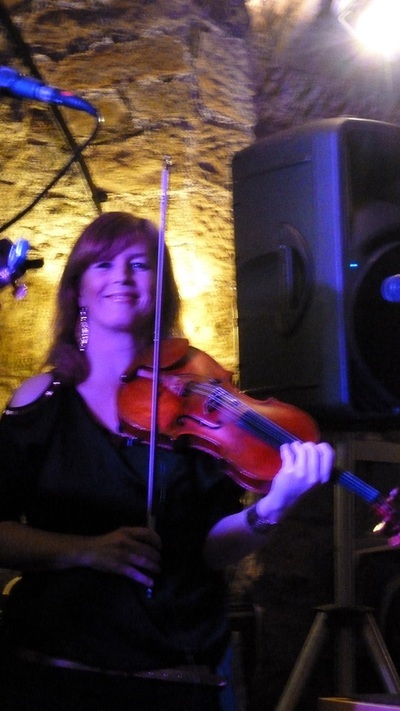 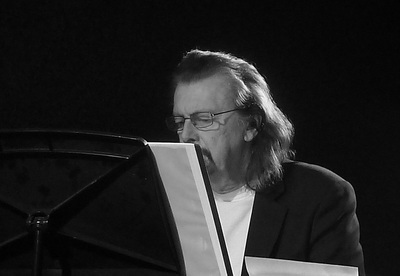 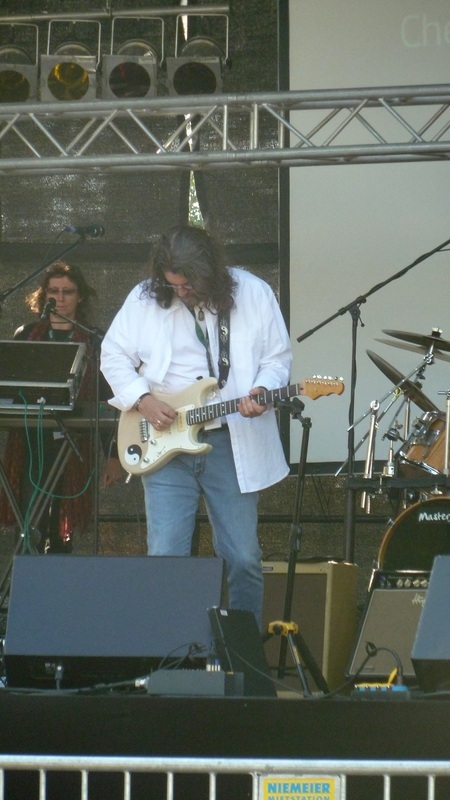 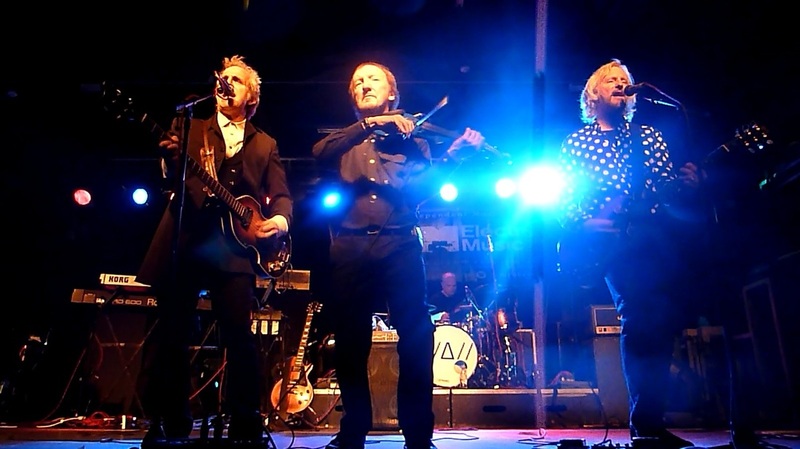 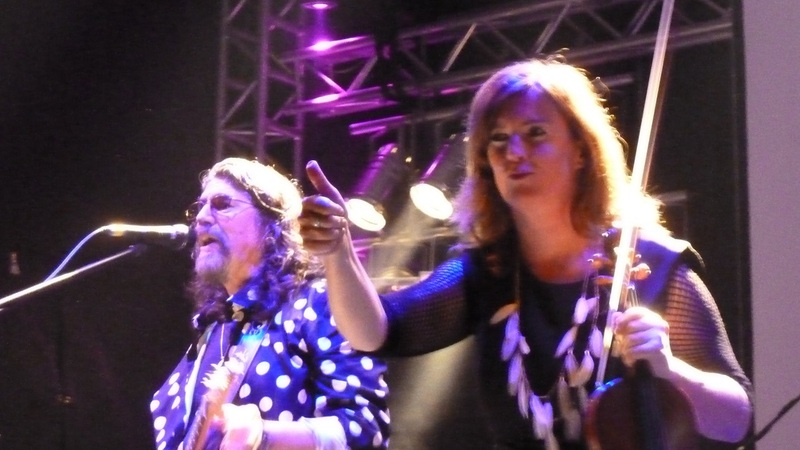 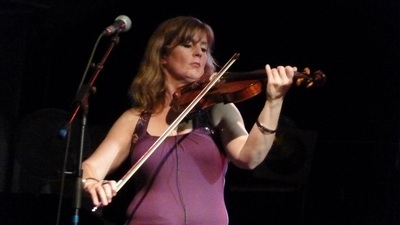 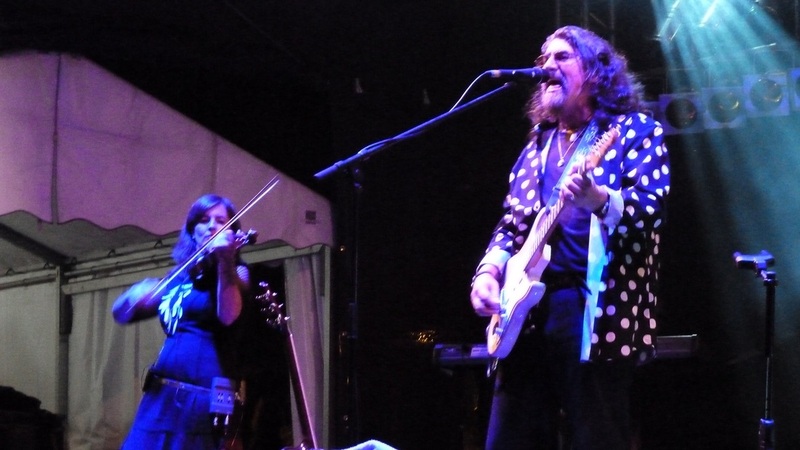 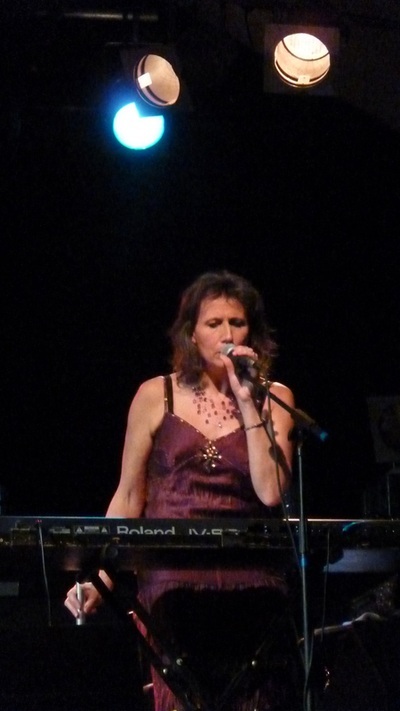 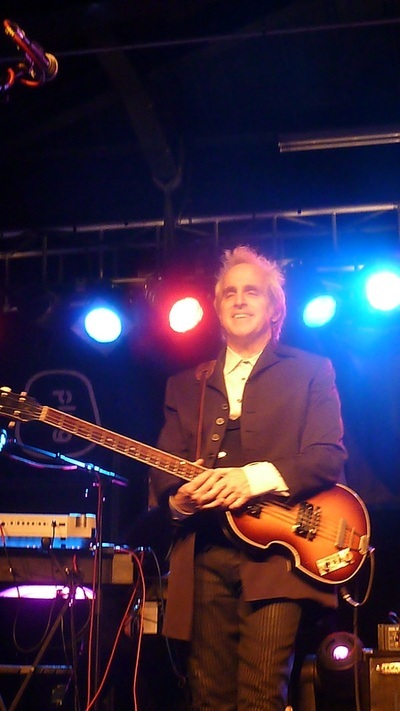 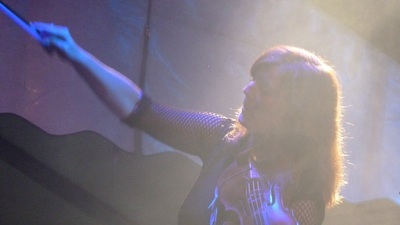 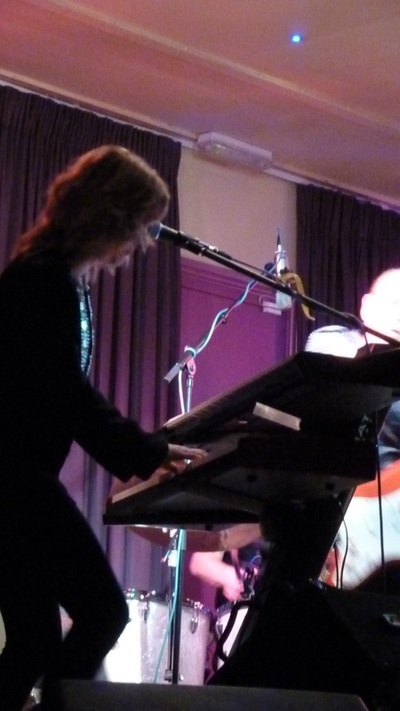 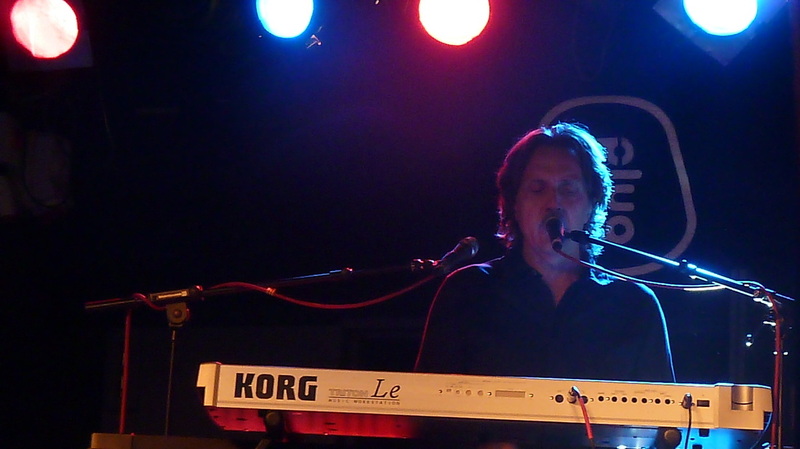 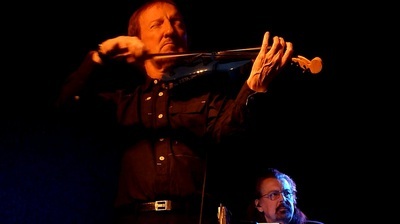 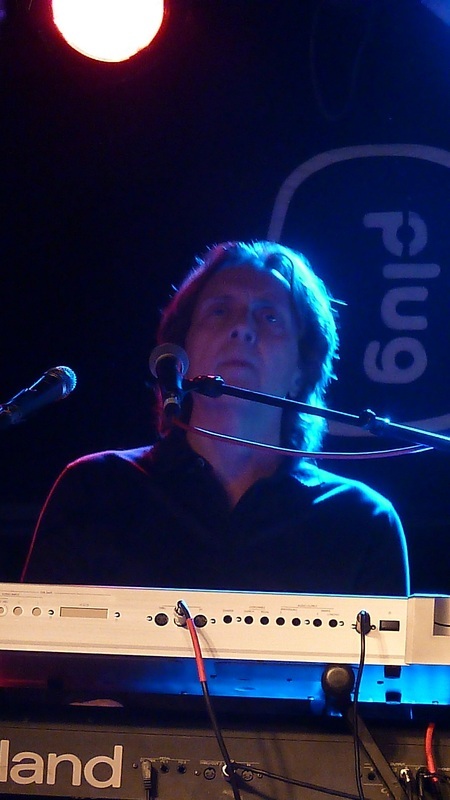 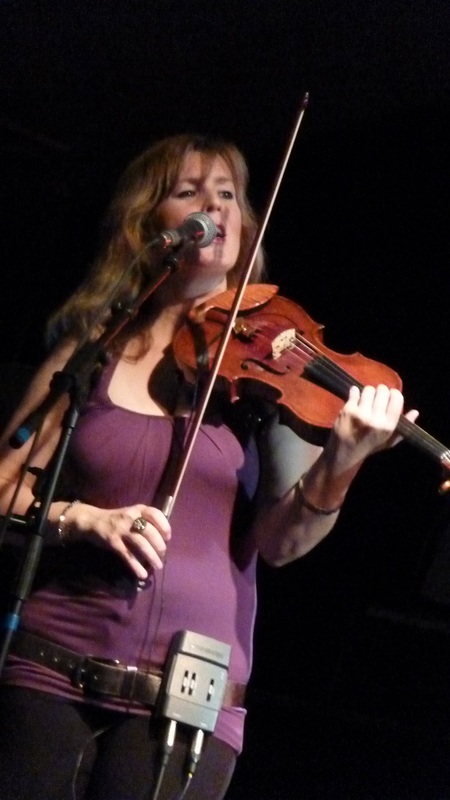 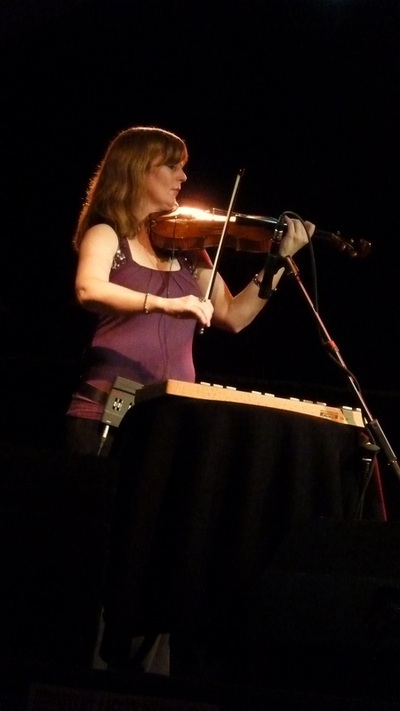 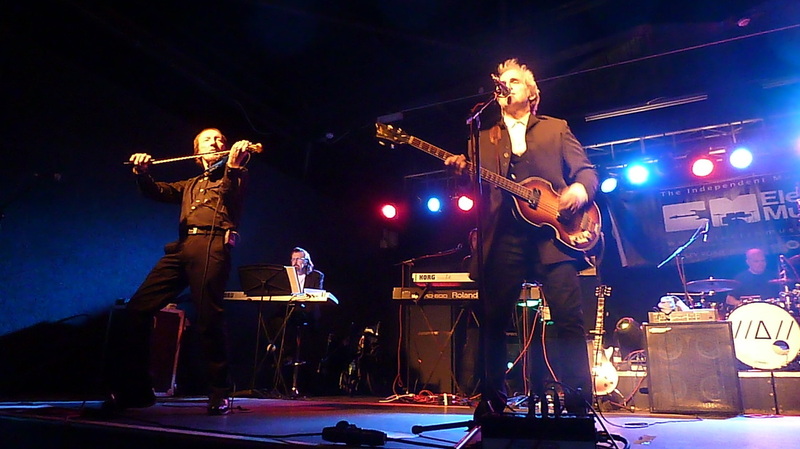 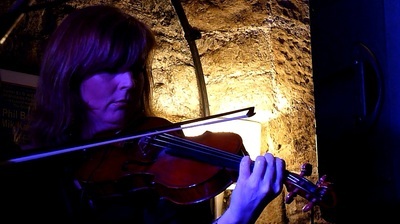 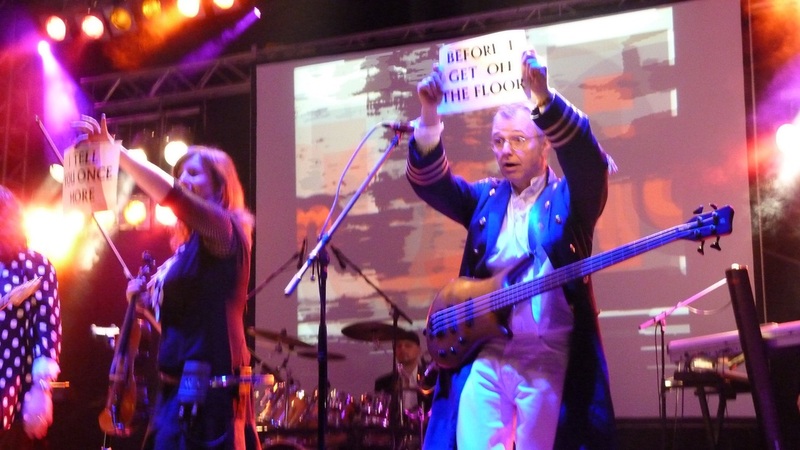 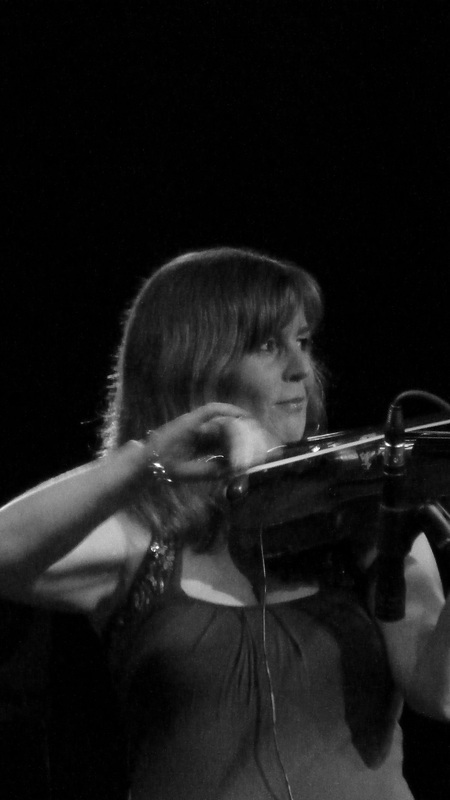 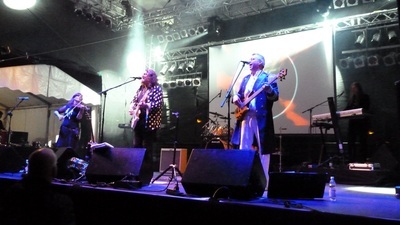 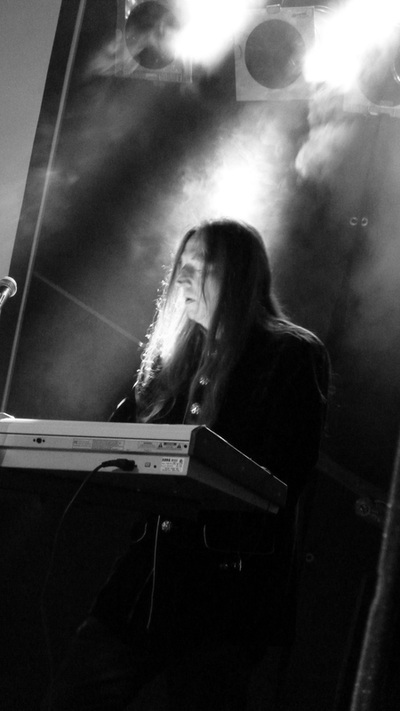 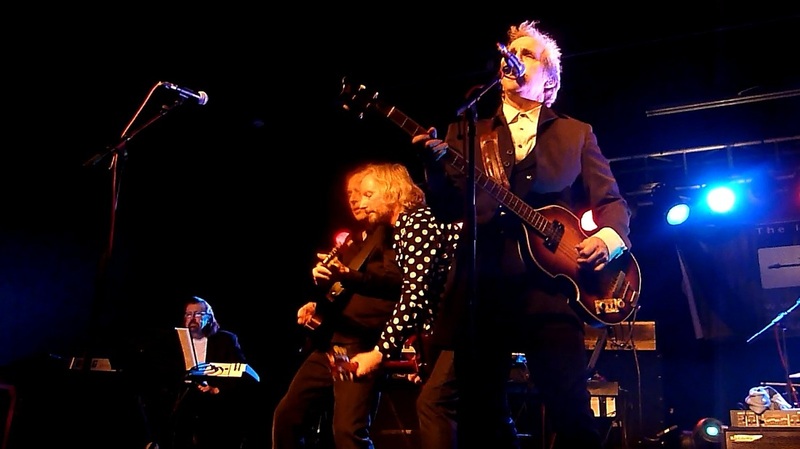 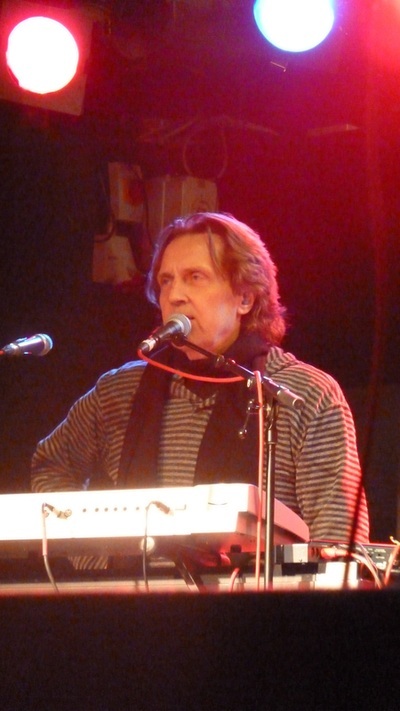 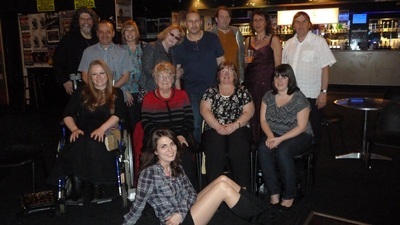 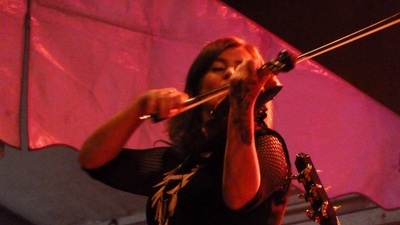 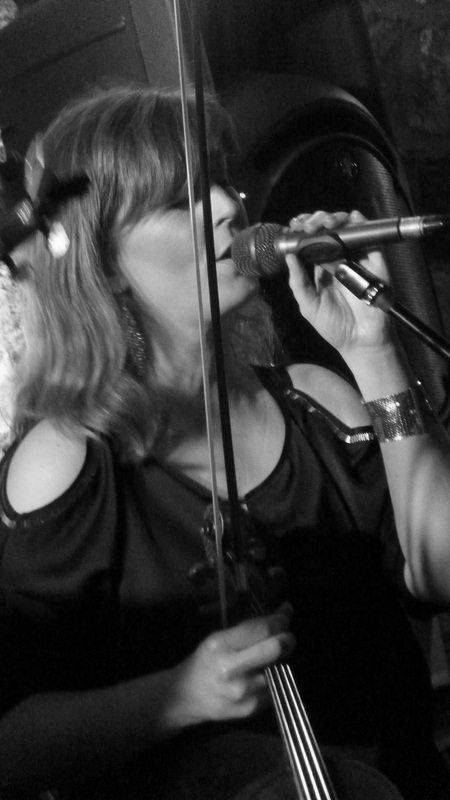 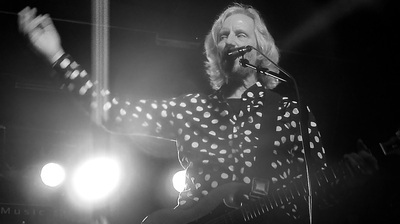 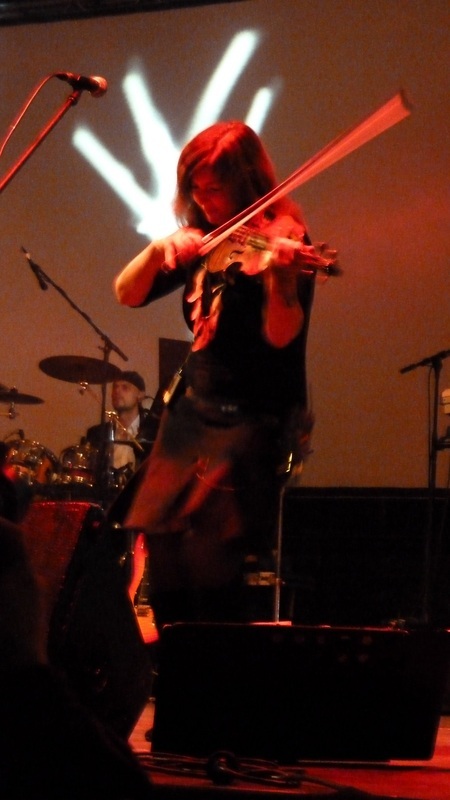 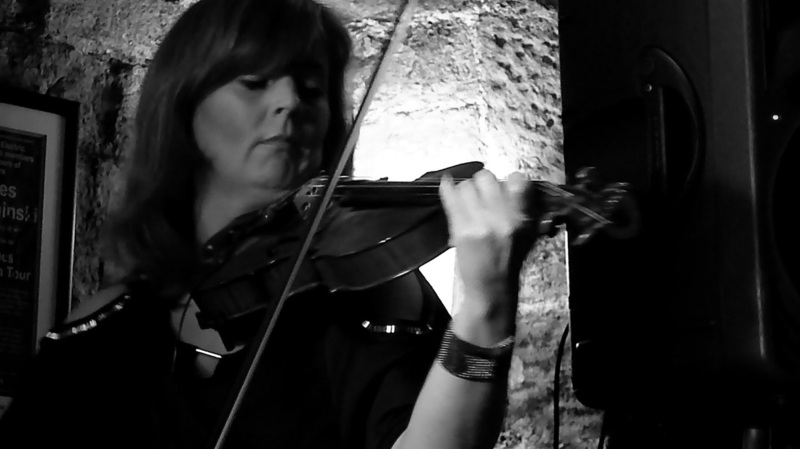 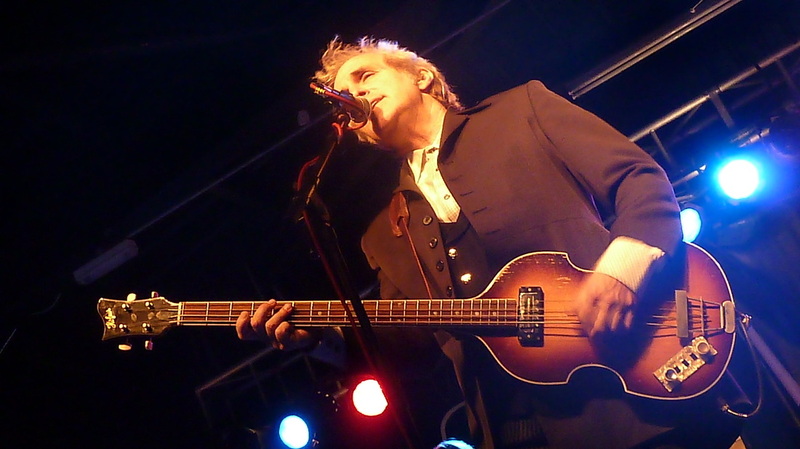 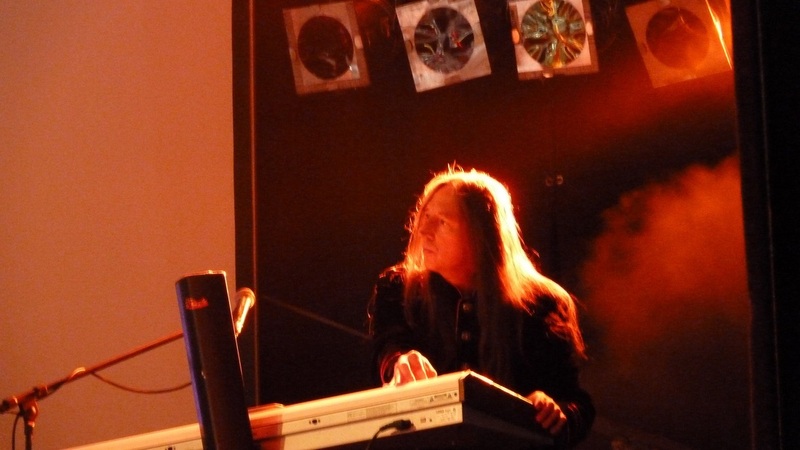 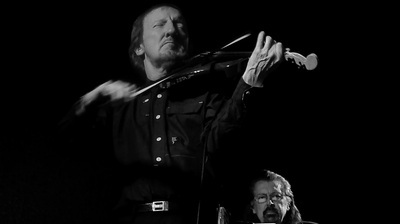 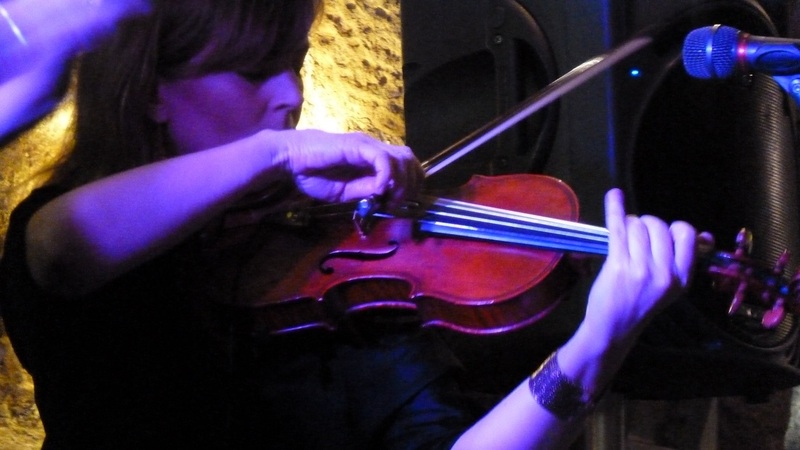 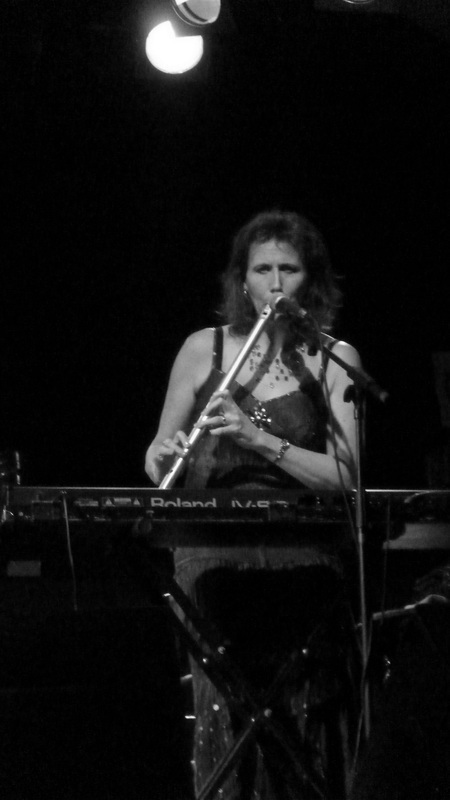 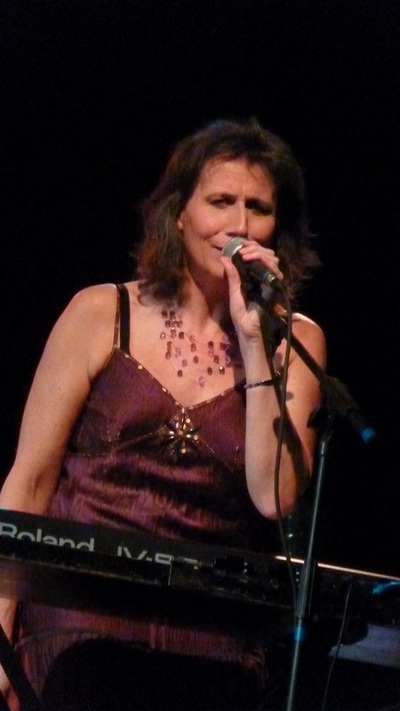 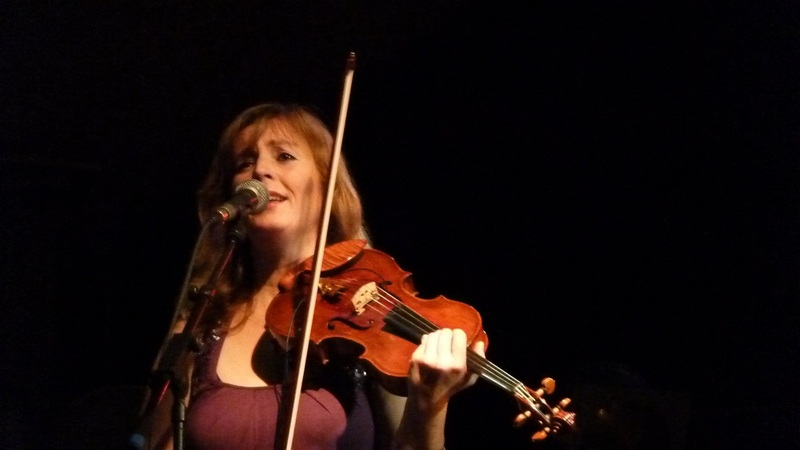 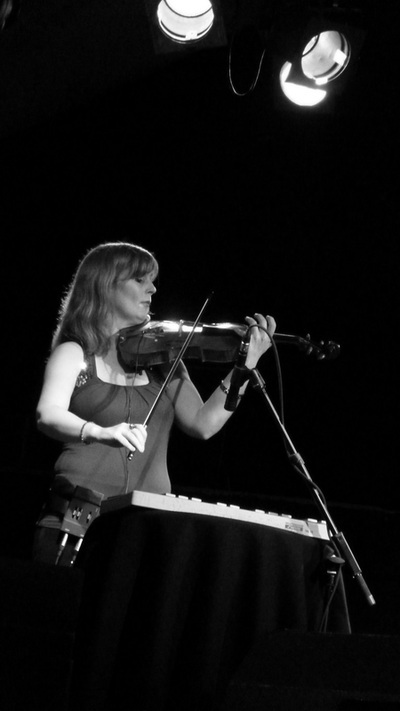 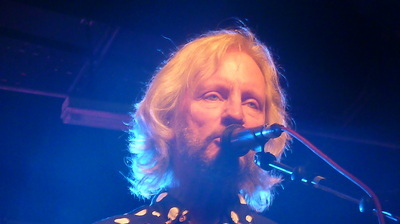 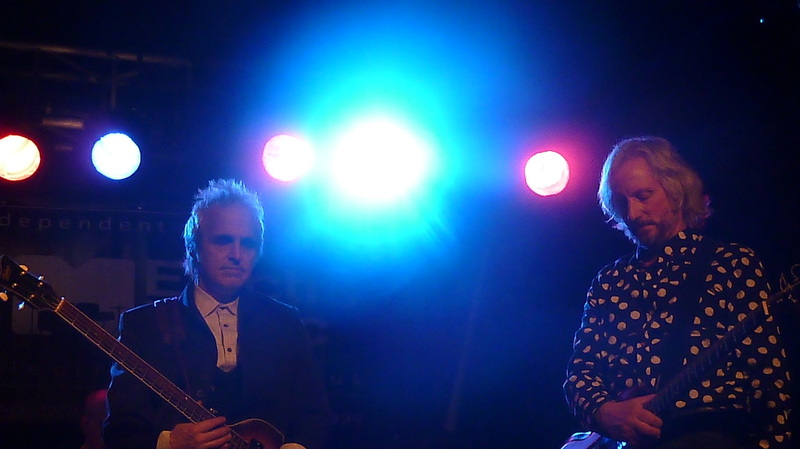 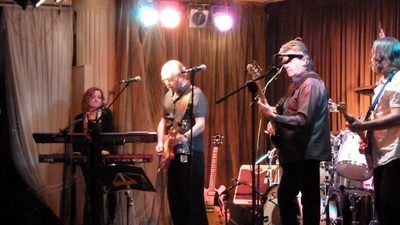 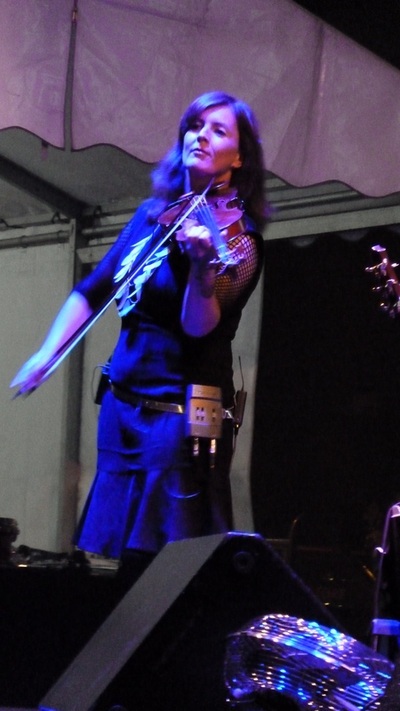 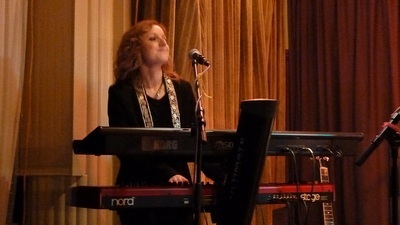 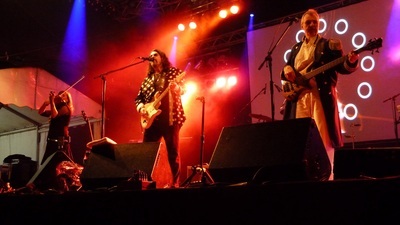 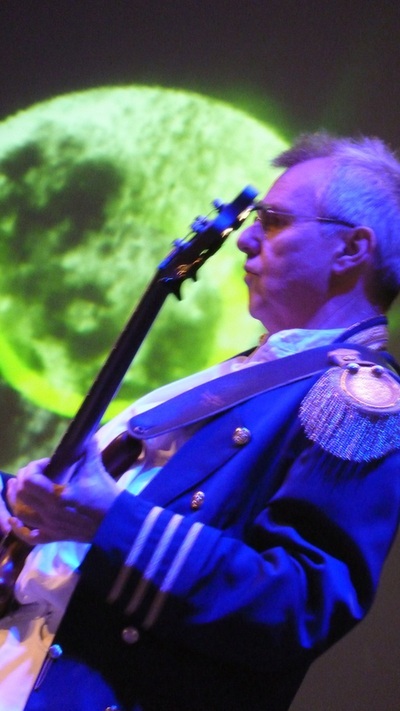 The band features Phil Bates, Jo Bates on keyboards and Susanne Filep on violin. 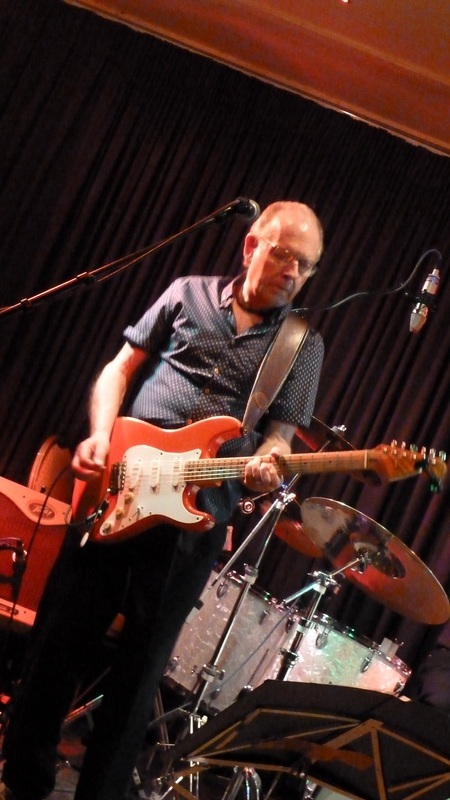 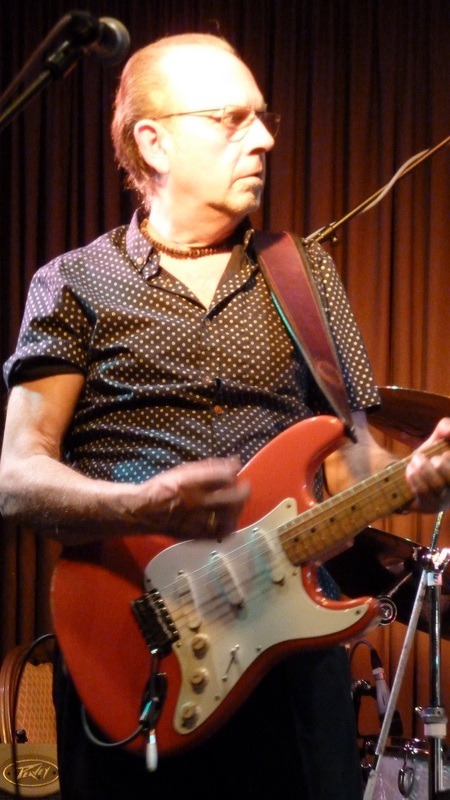 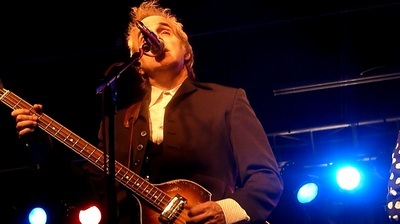 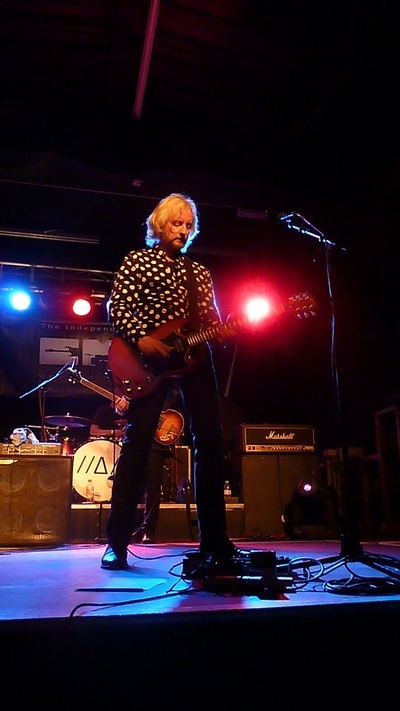 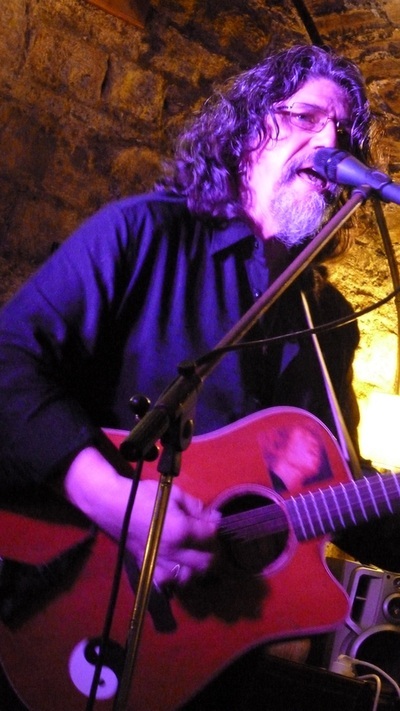 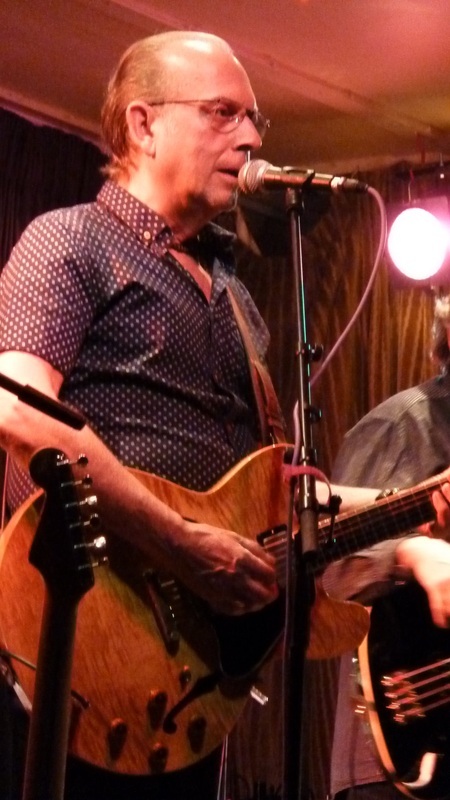 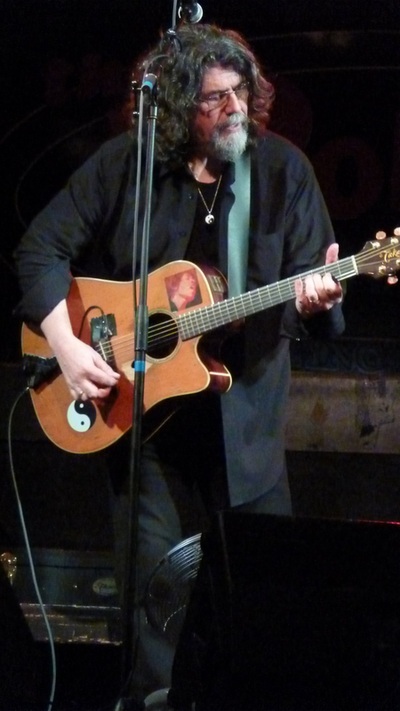 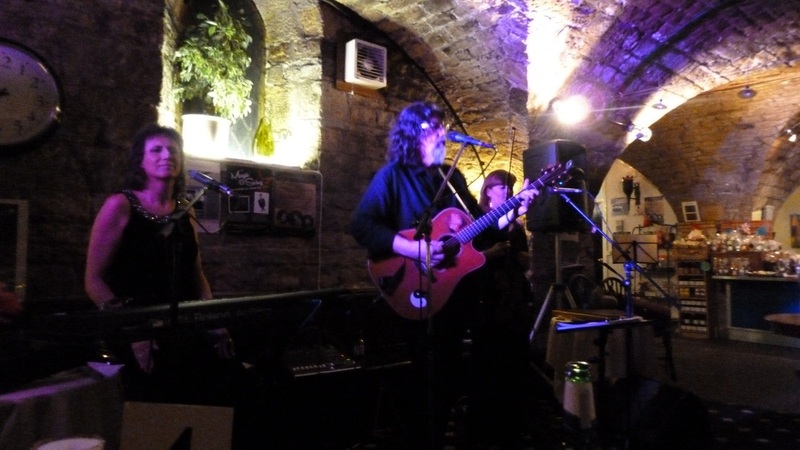 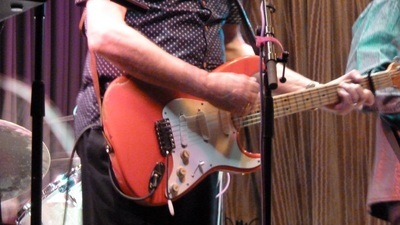 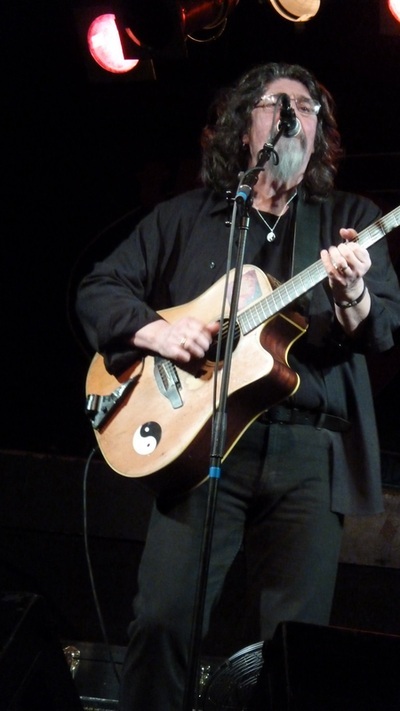 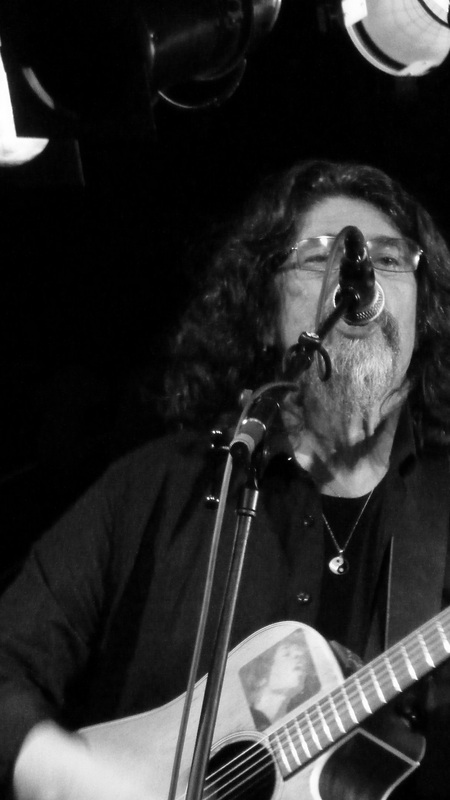 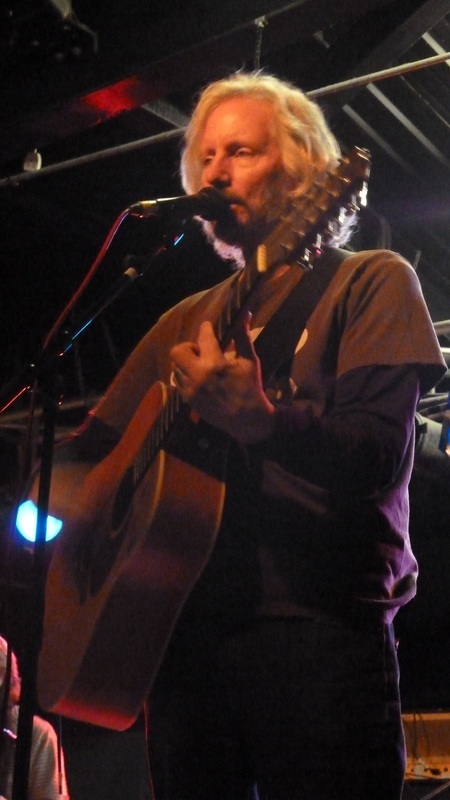 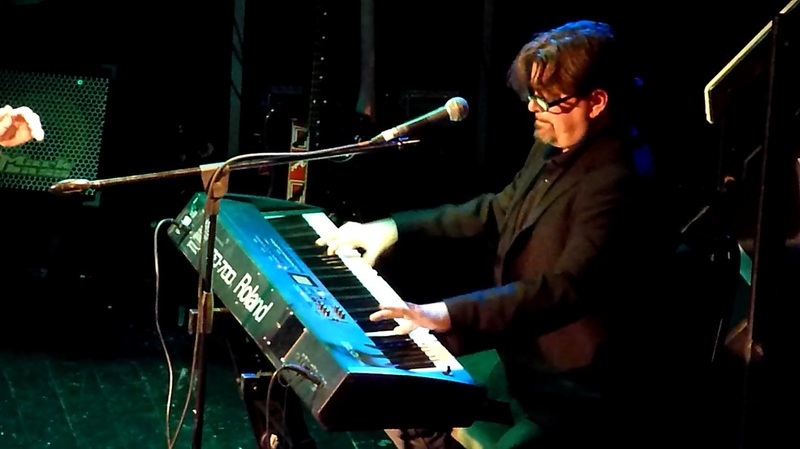 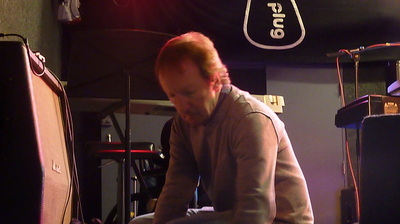 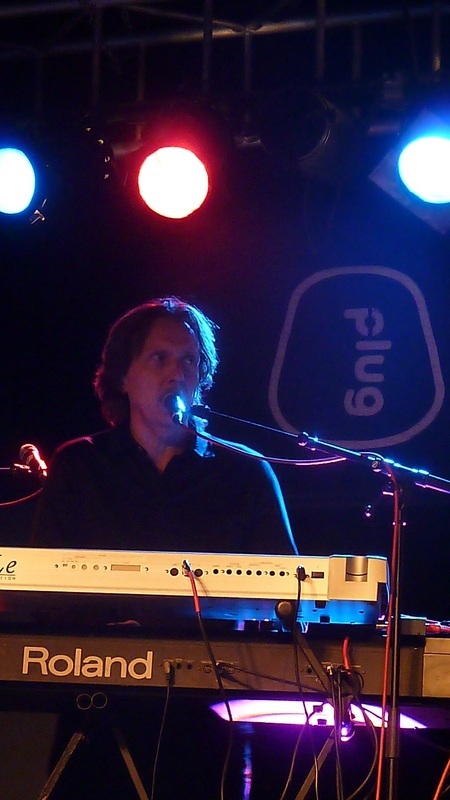 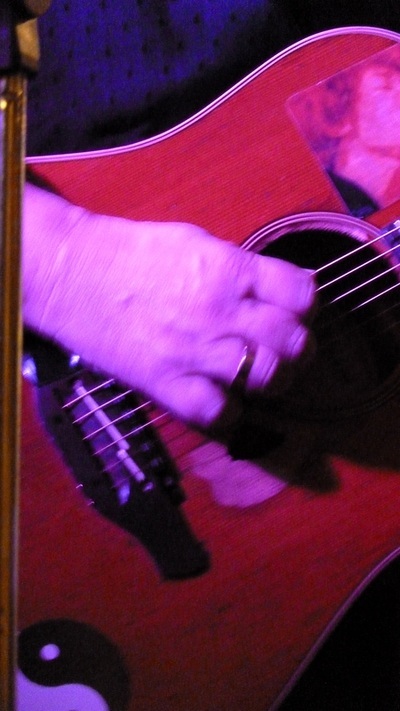 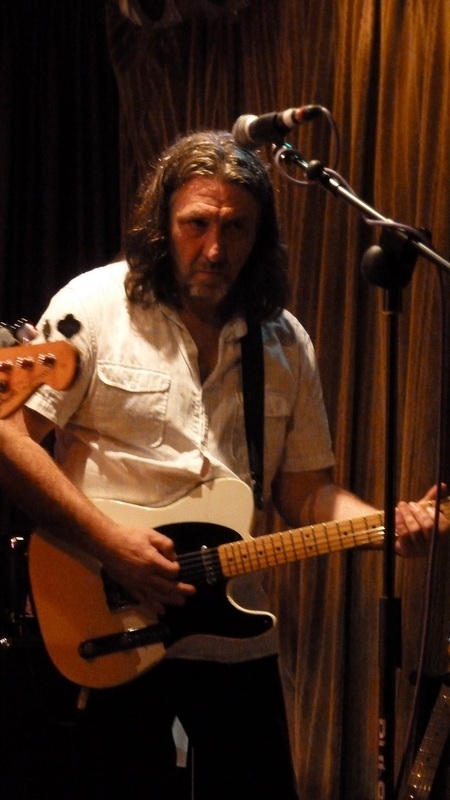 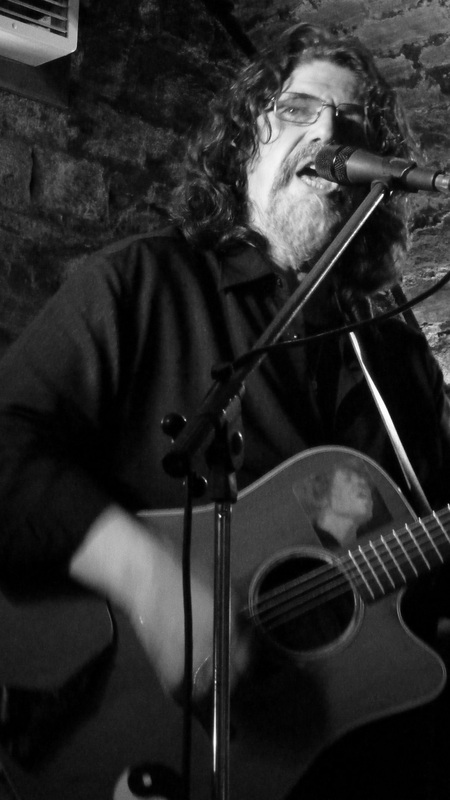 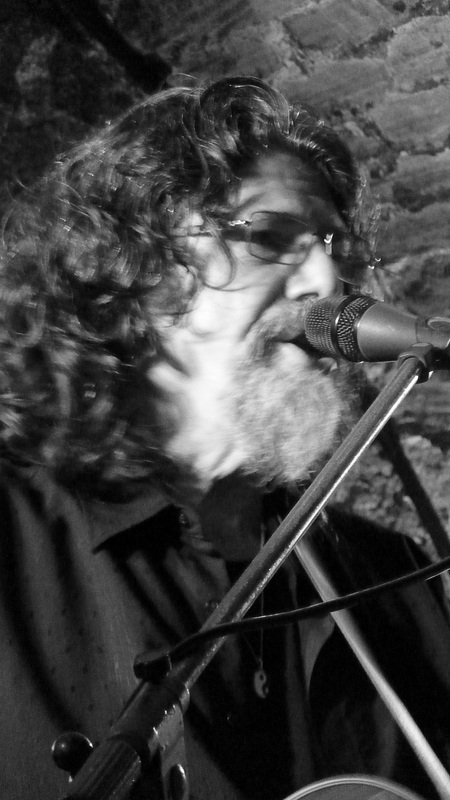 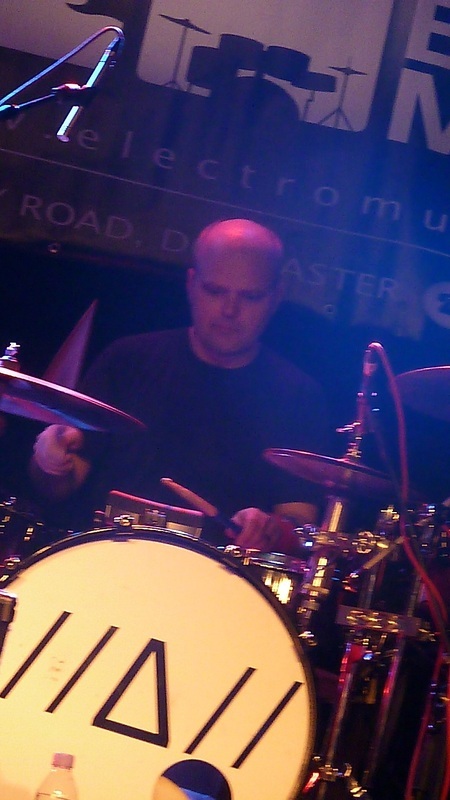 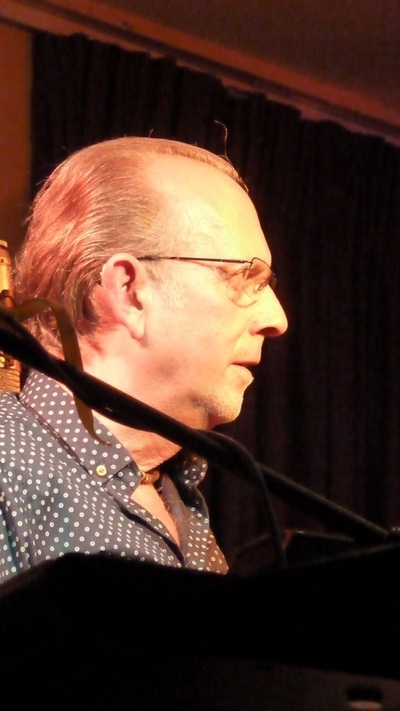 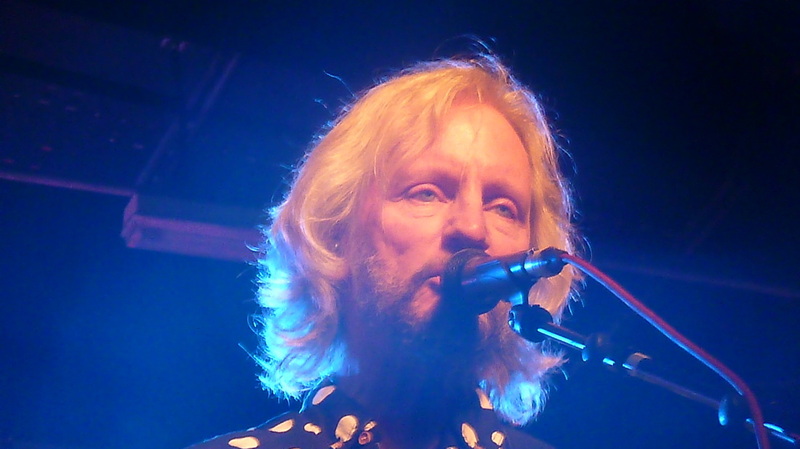 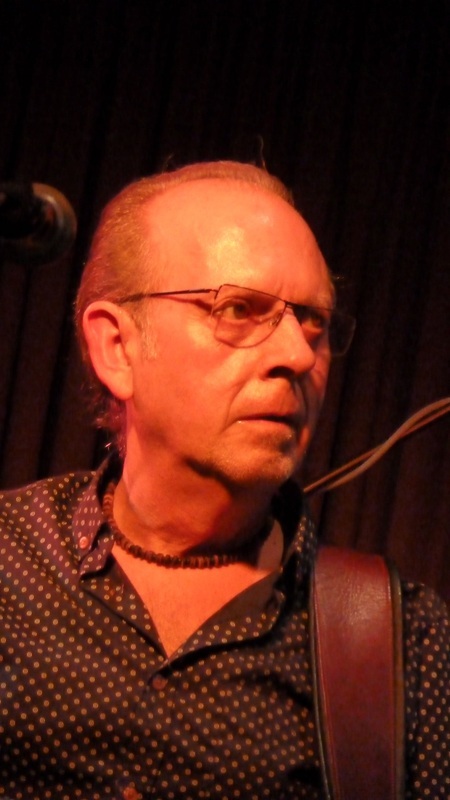 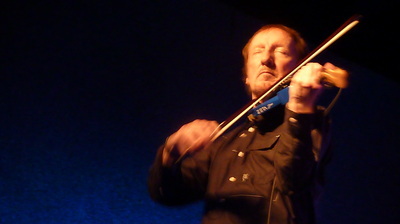 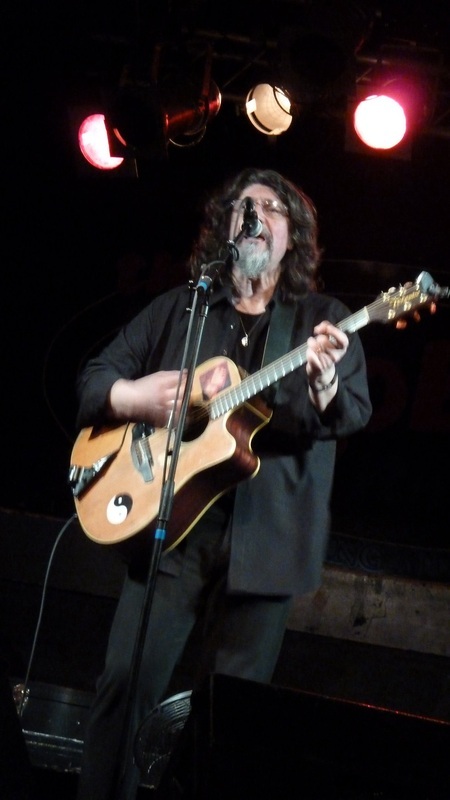 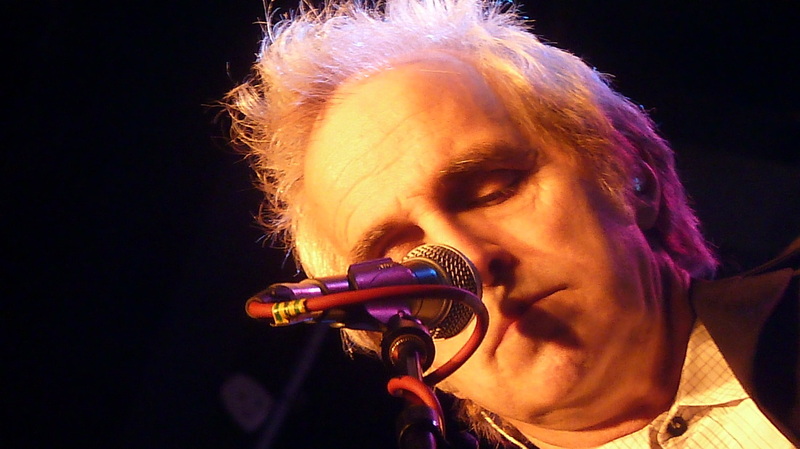 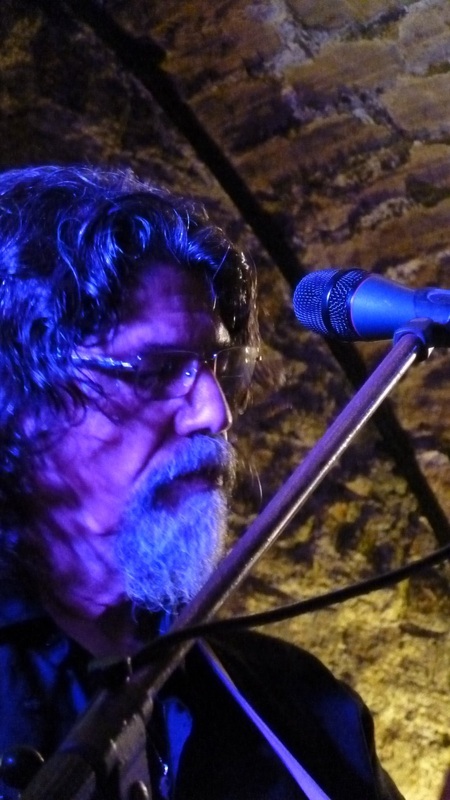 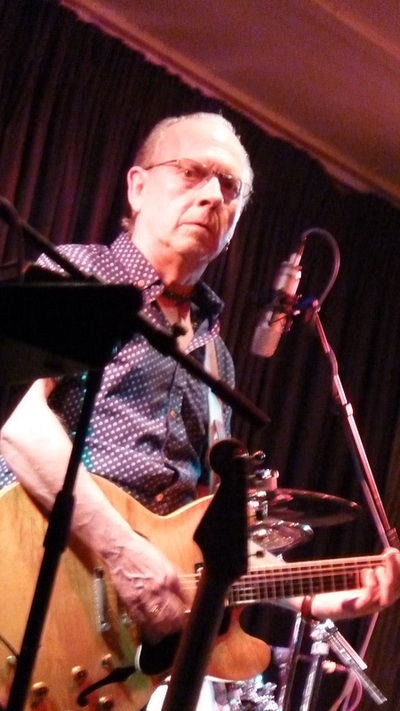 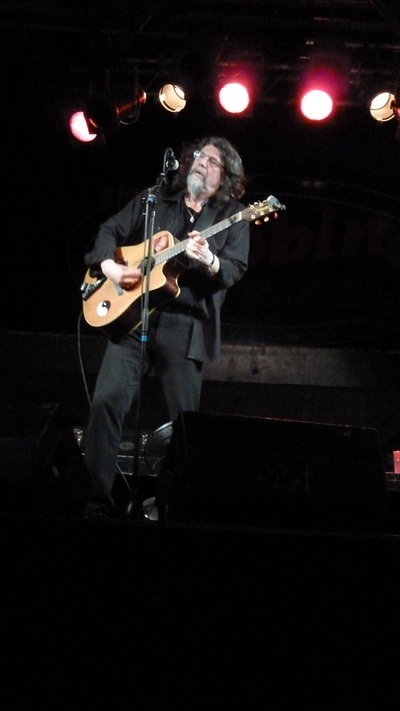 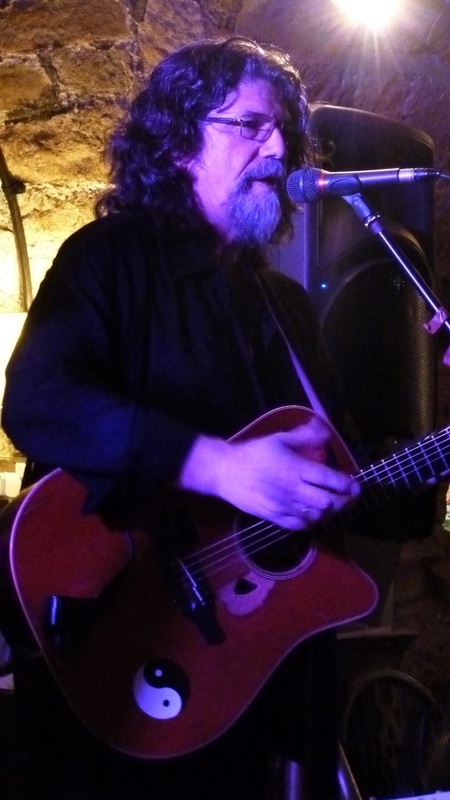 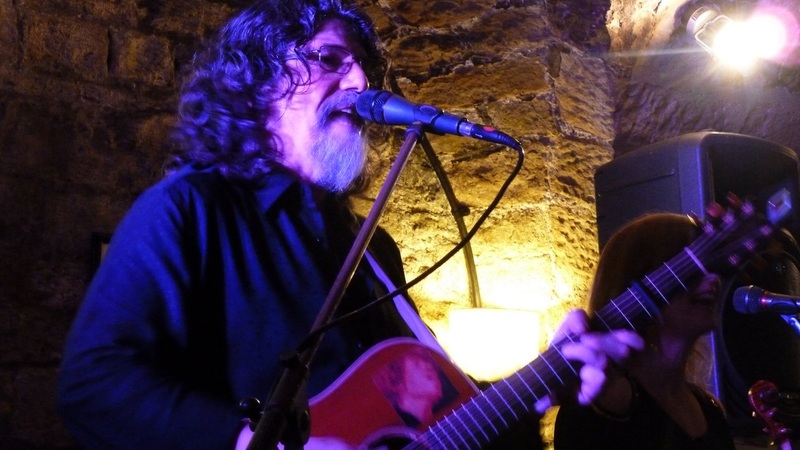 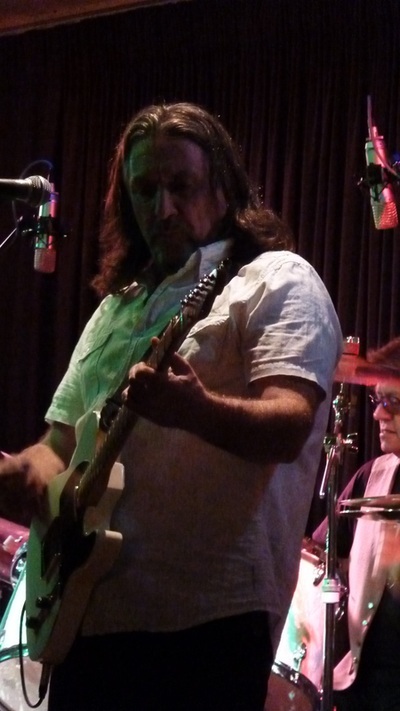 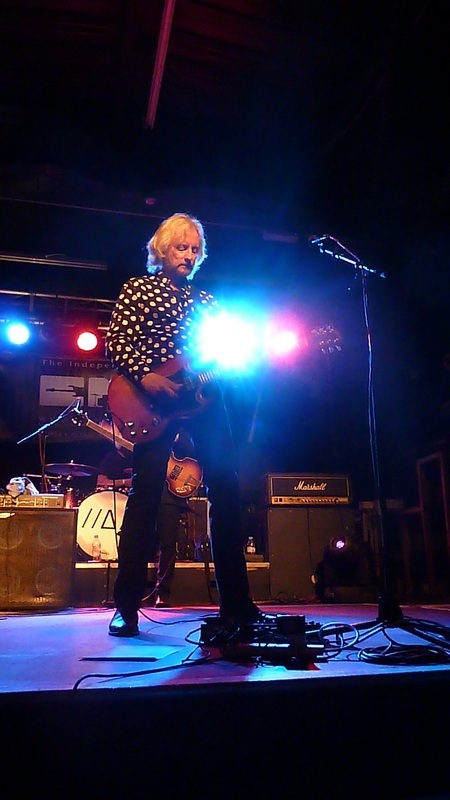 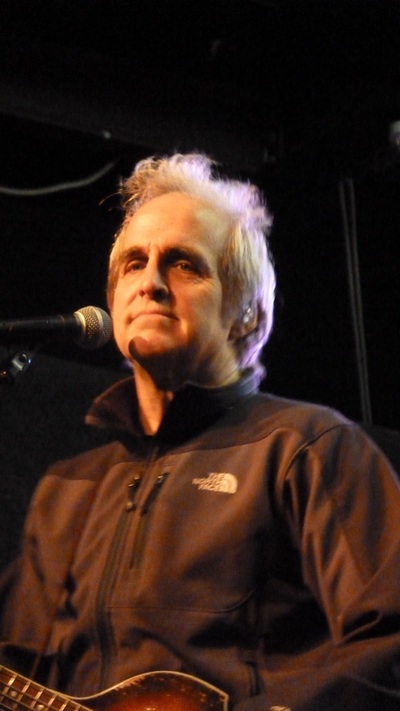 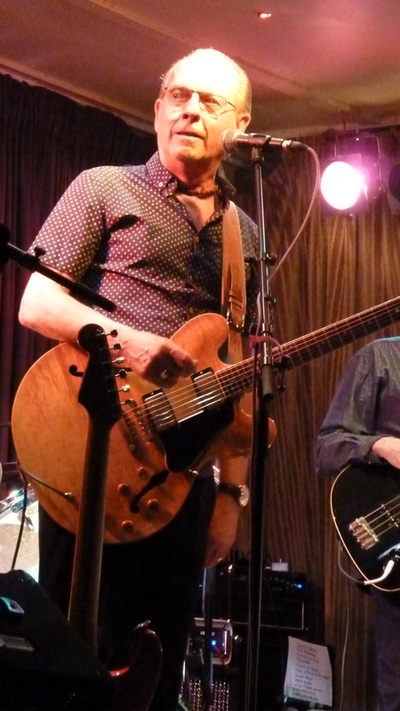 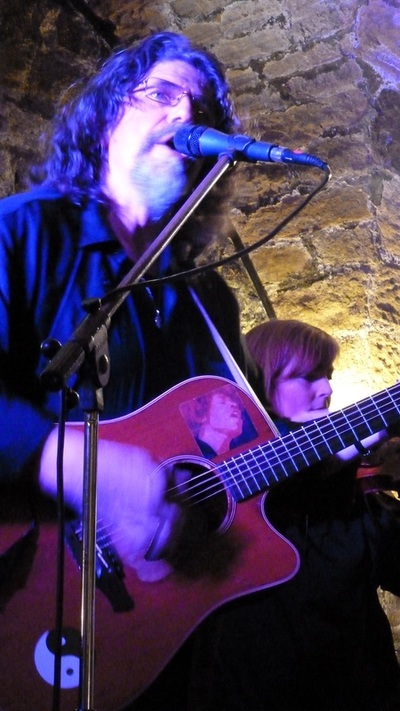 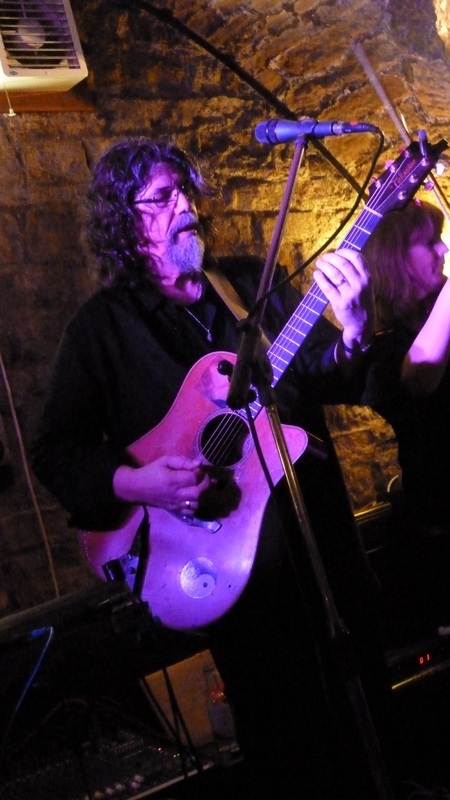 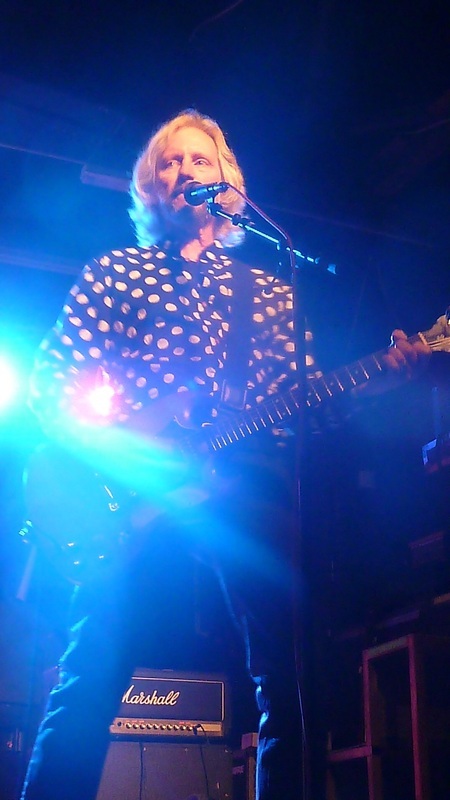 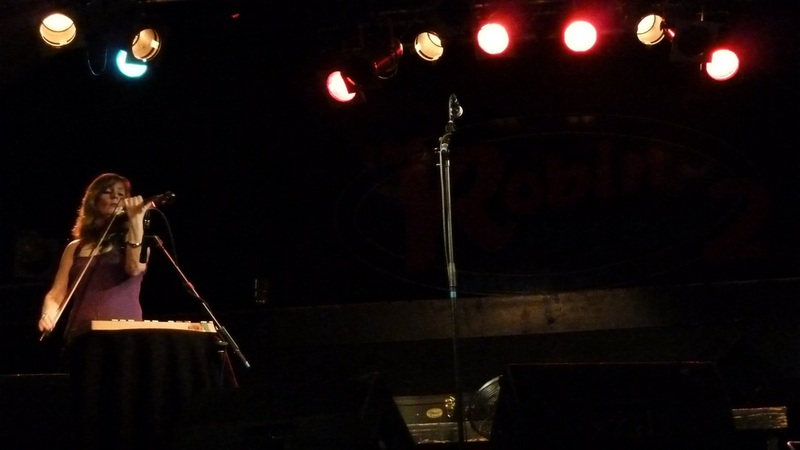 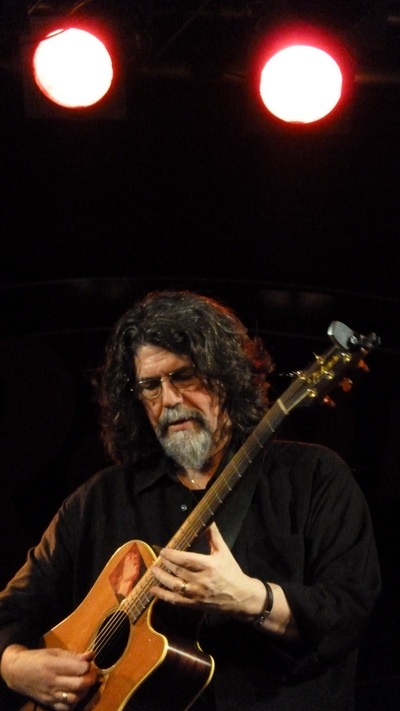 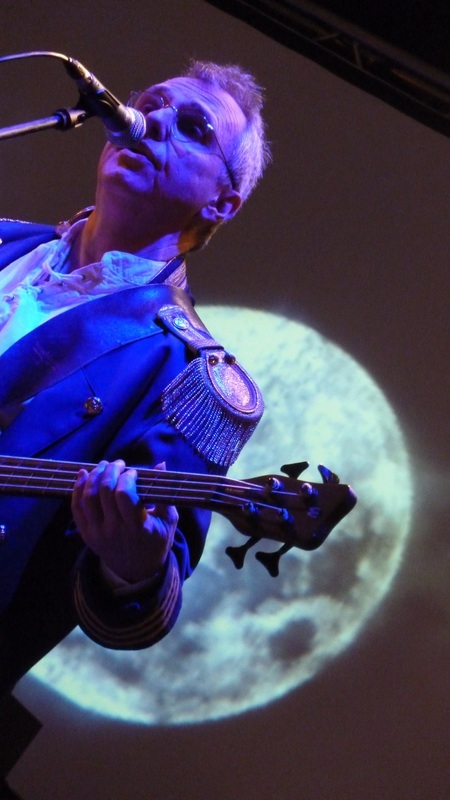 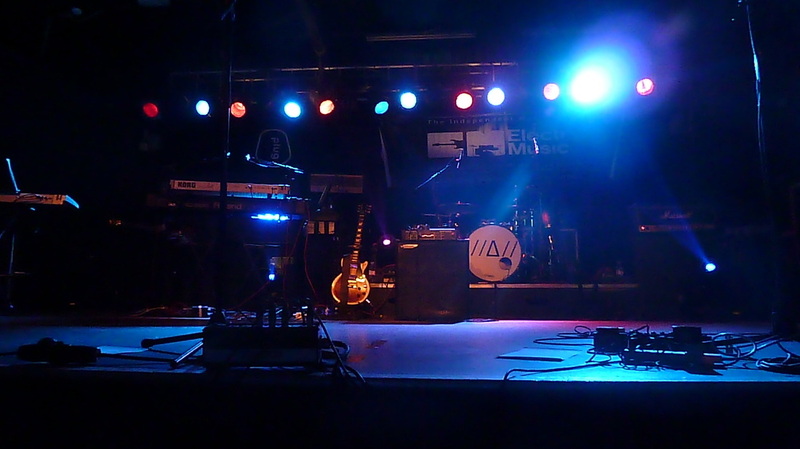 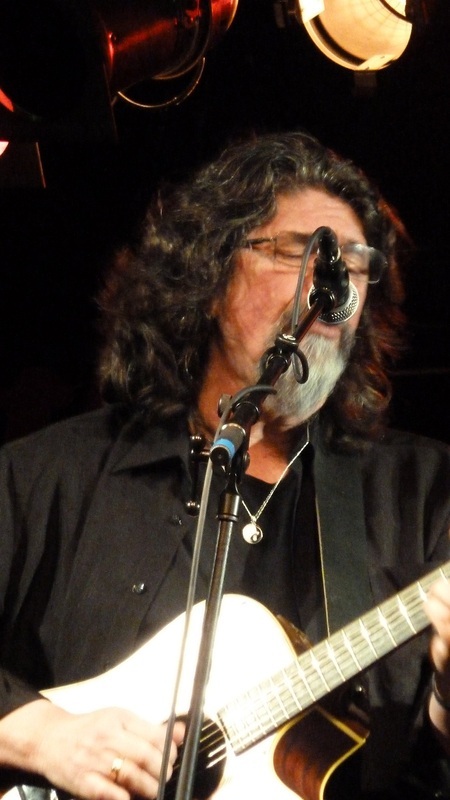 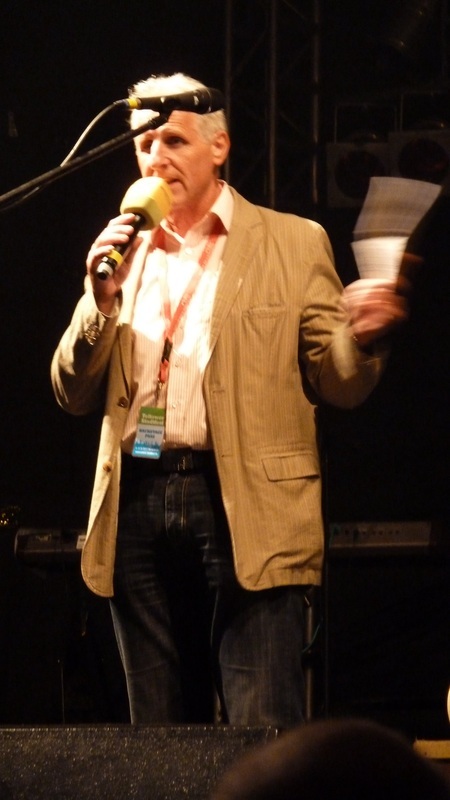 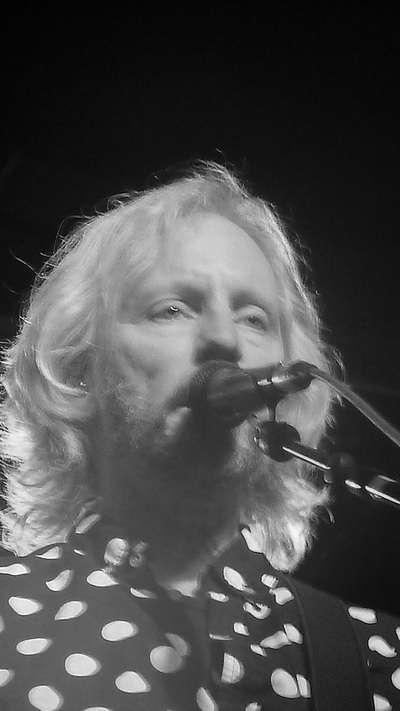 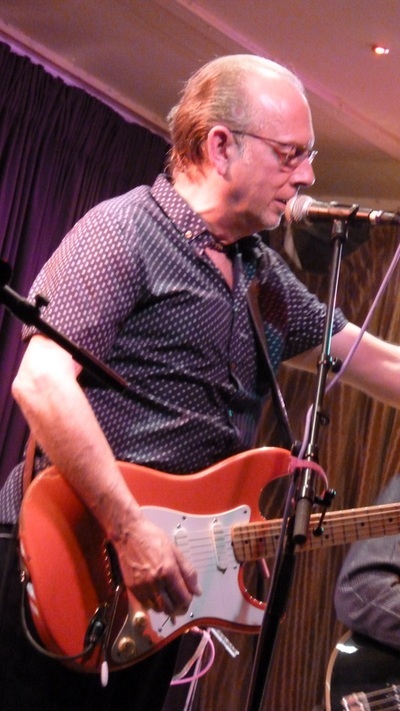 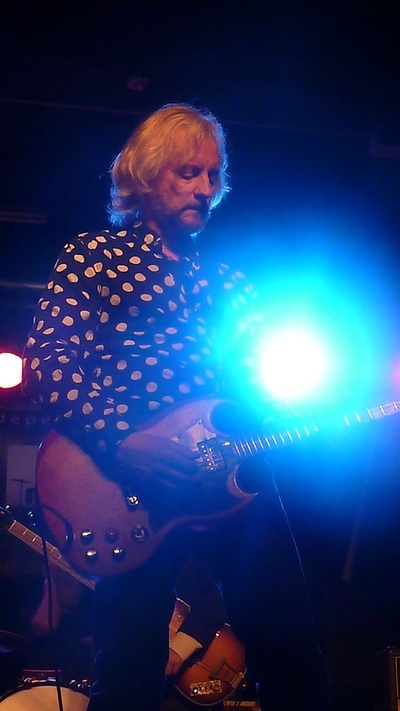 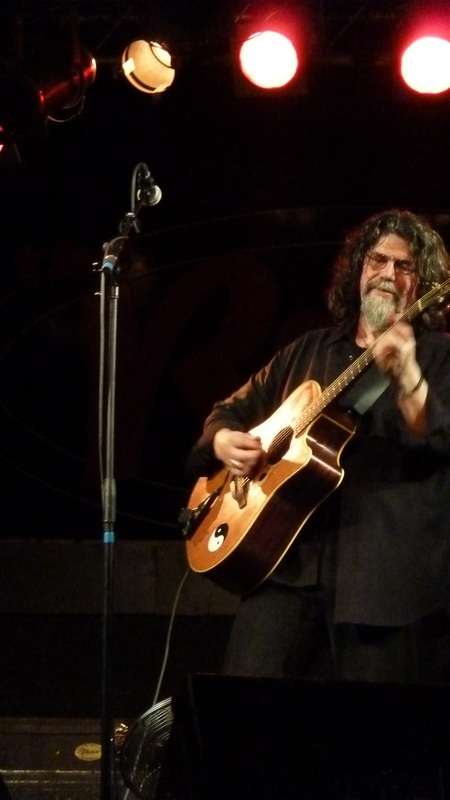 Phil performed five of his own songs before the acoustic trio then took to the stage for a near two-hour set featuring a wide range of styles from Celtic, pop, blues, rock and classical. 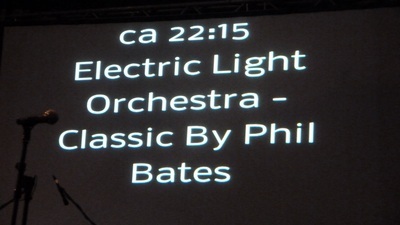 Apart from the obligatory E.L.O. 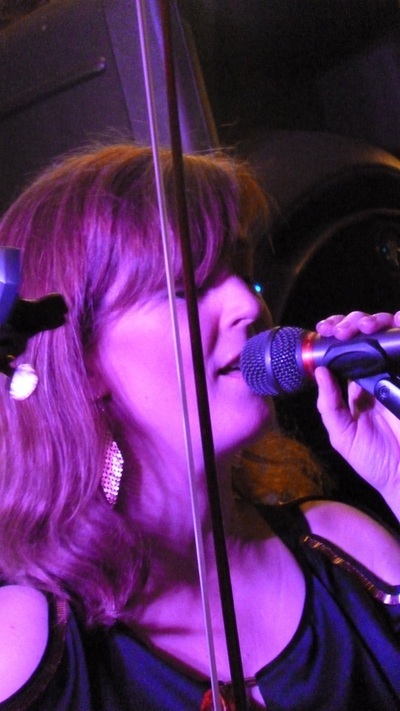 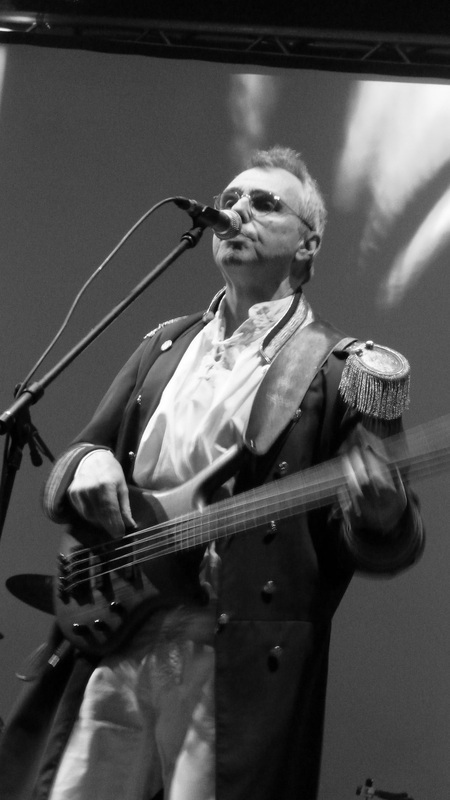 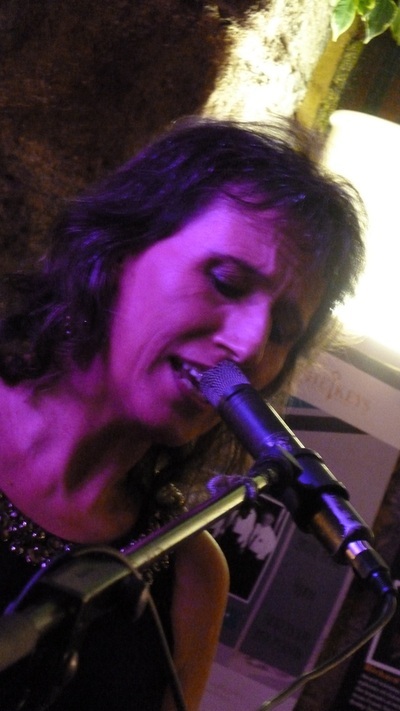 songs such as Confusion, Livin' Thing, Showdown, Midnight Blue, Can't Get It Out Of My Head and Don't Bring Me Down, there were some superb versions of songs by Stevie Wonder, The Corrs, Fleetwood Mac and many more. 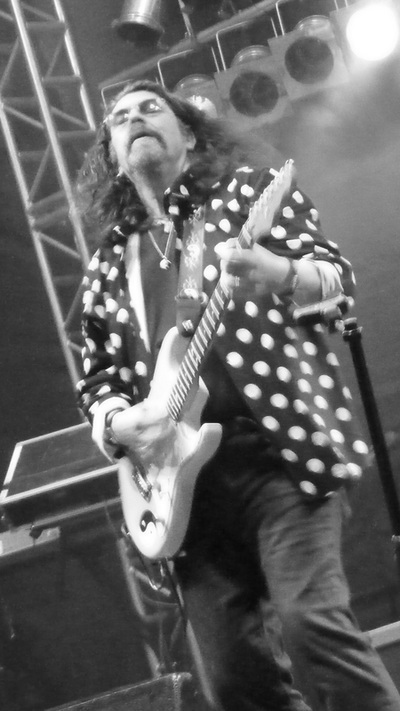 It is a wonderful show which I can highly recommend to all music fans and hopefully the band will return to U.K. shores in the near future. 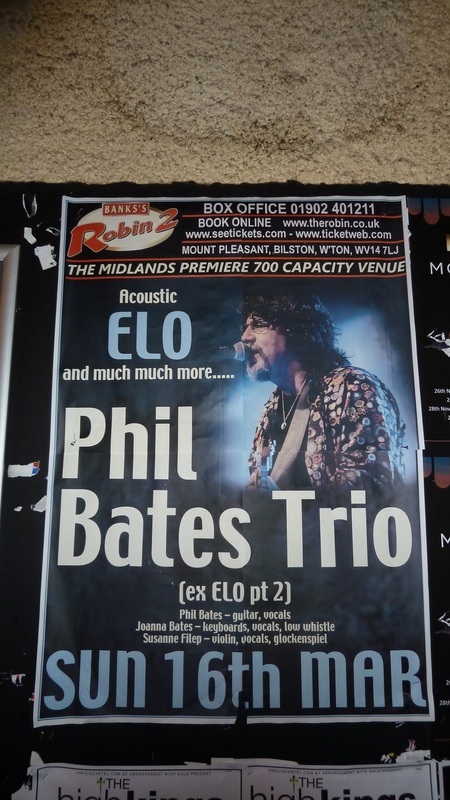 This was the first U.K. outing for Phil's German-based Acoustic Trio. 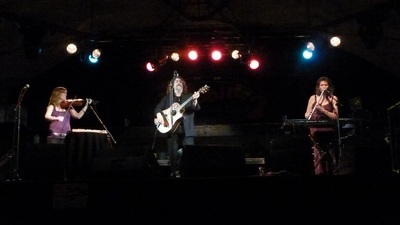 The band features Phil Bates, Jo Bates on keyboards and Susanne Filep on violin. 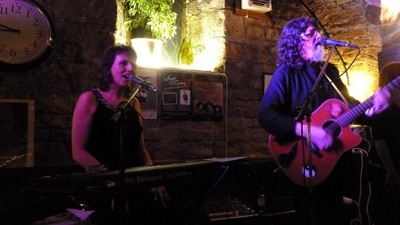 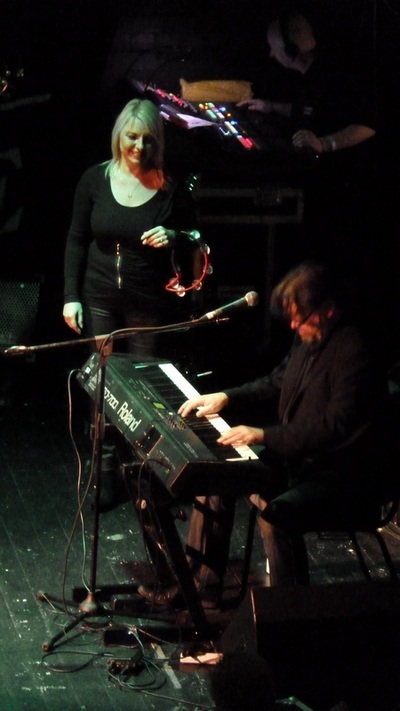 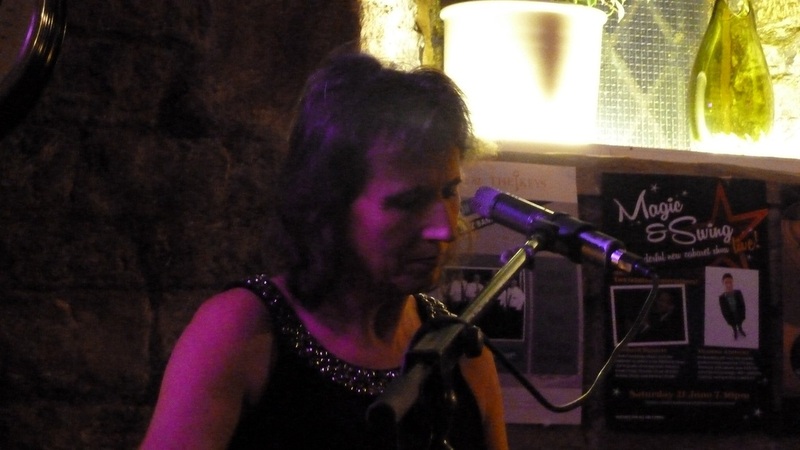 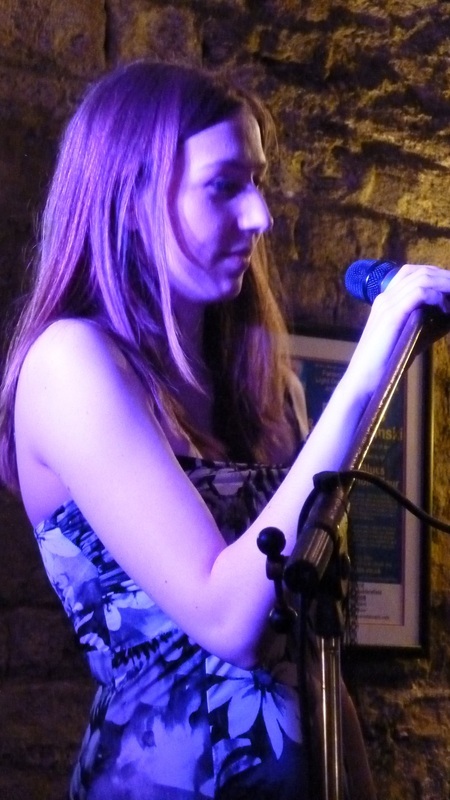 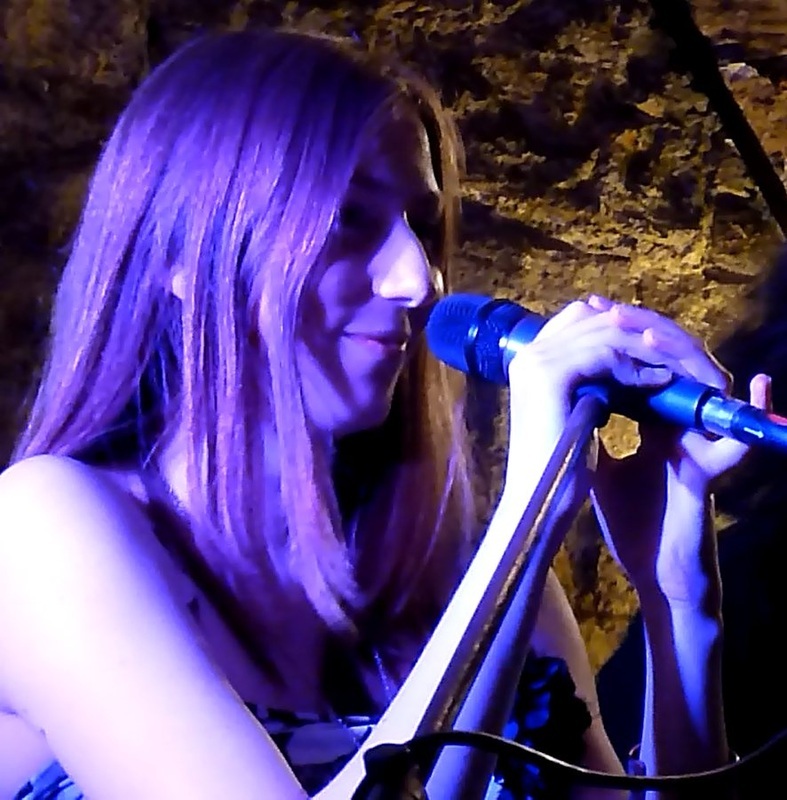 Following a couple of solo songs, Phil's daughter Rosi joined him on stage for a short set of beautifully sung tracks. 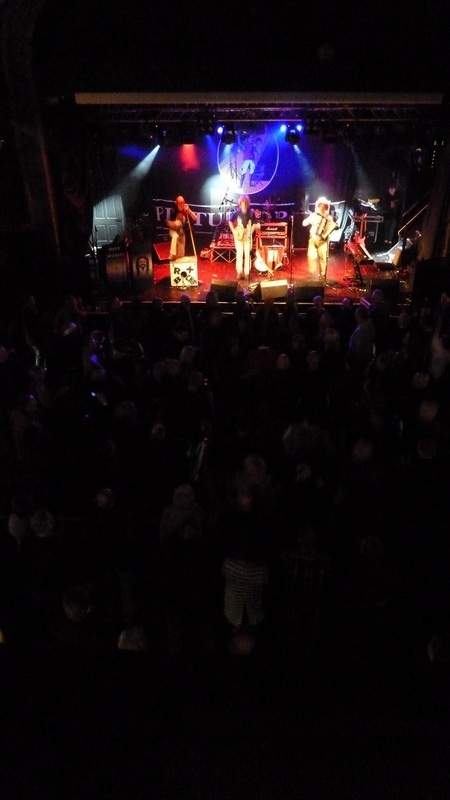 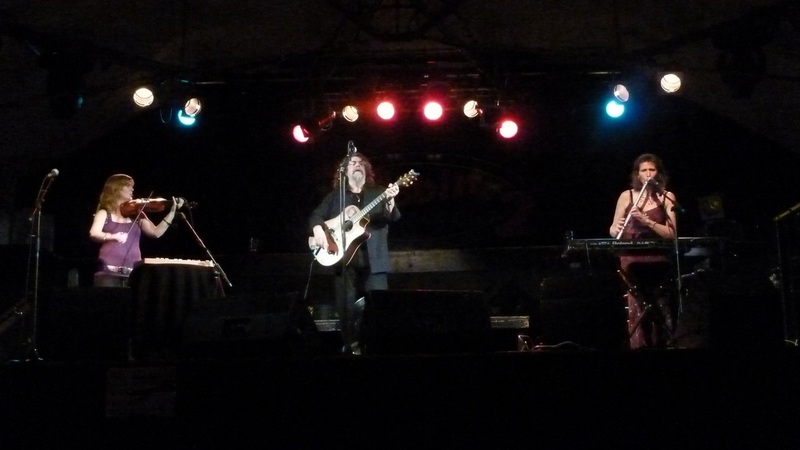 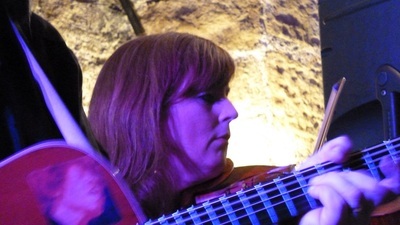 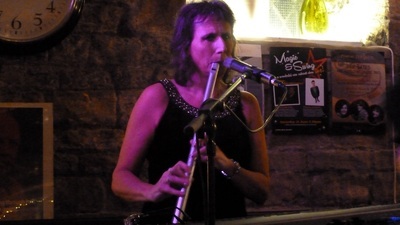 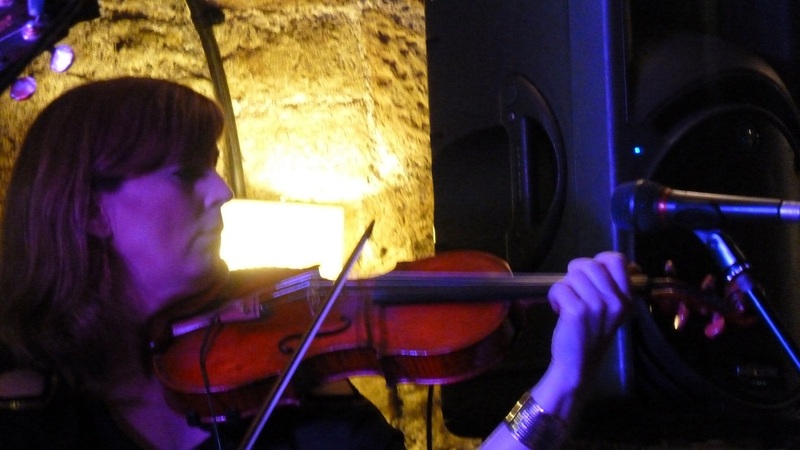 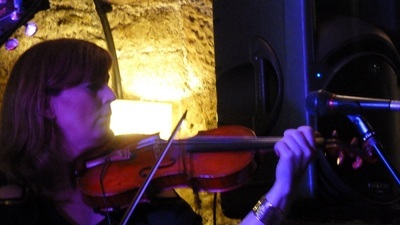 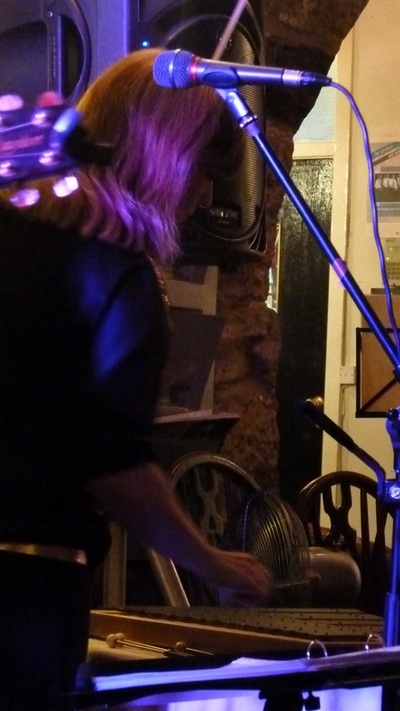 The acoustic trio then took to the stage for a near two-hour set featuring a wide range of styles from Celtic, pop, blues, rock and classical. Apart from the obligatory E.L.O. 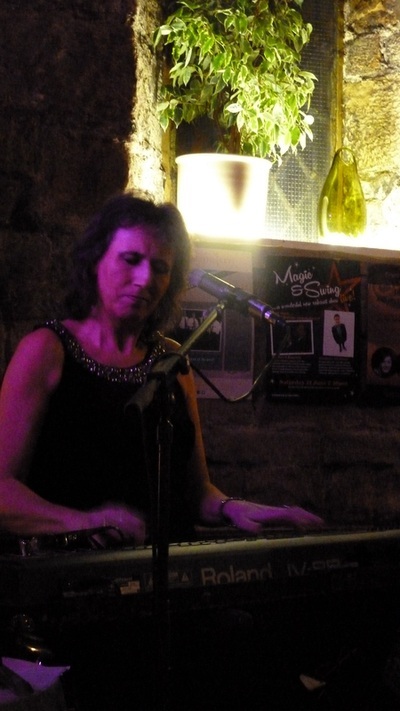 songs such as Confusion, Livin' Thing, Showdown, Midnight Blue, Can't Get It Out Of My Head and Don't Bring Me Down, there were some superb versions of songs by Stevie Wonder, The Corrs, Fleetwood Mac and many more. It is a wonderful show which I can highly recommend to all music fans and hopefully the band will return to U.K. shores in the near future. 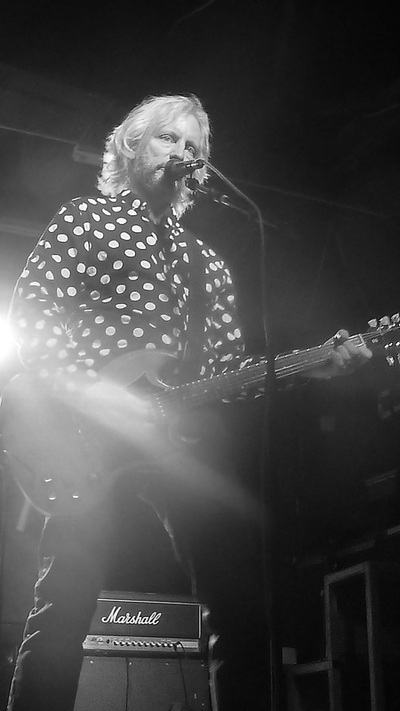 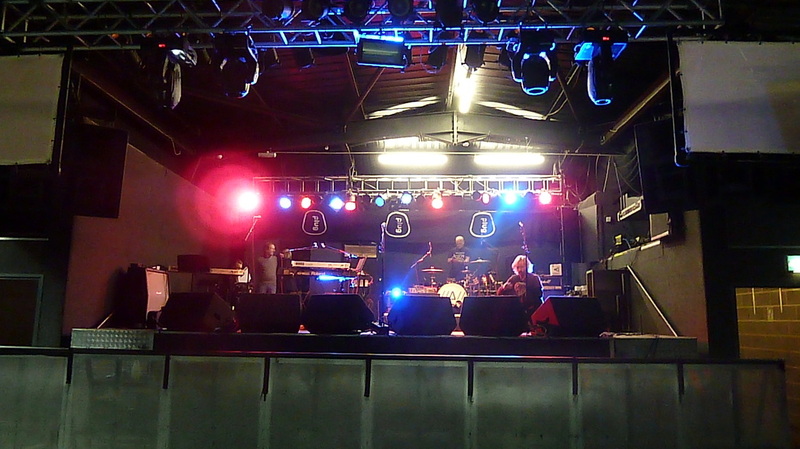 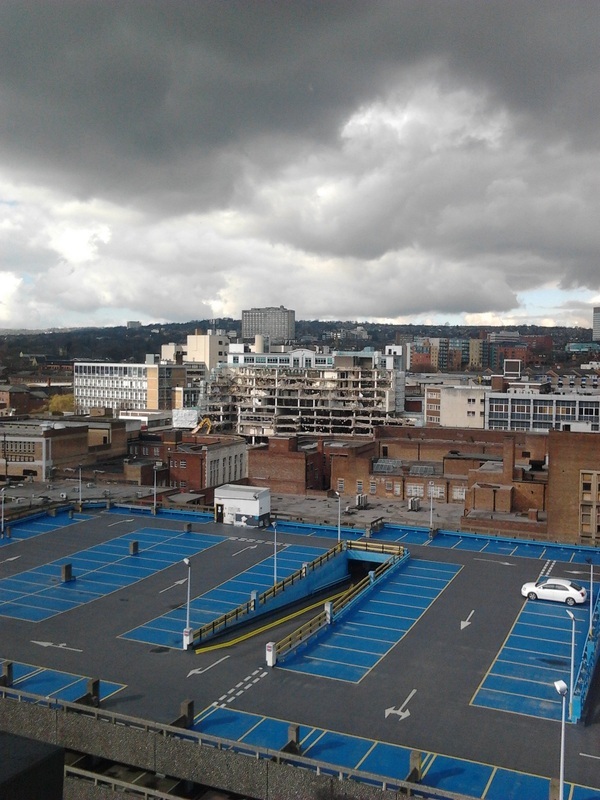 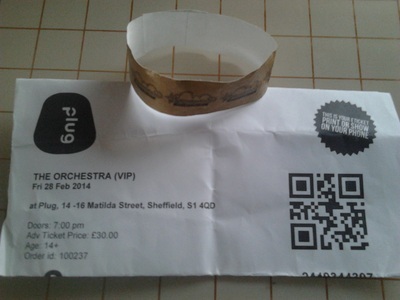 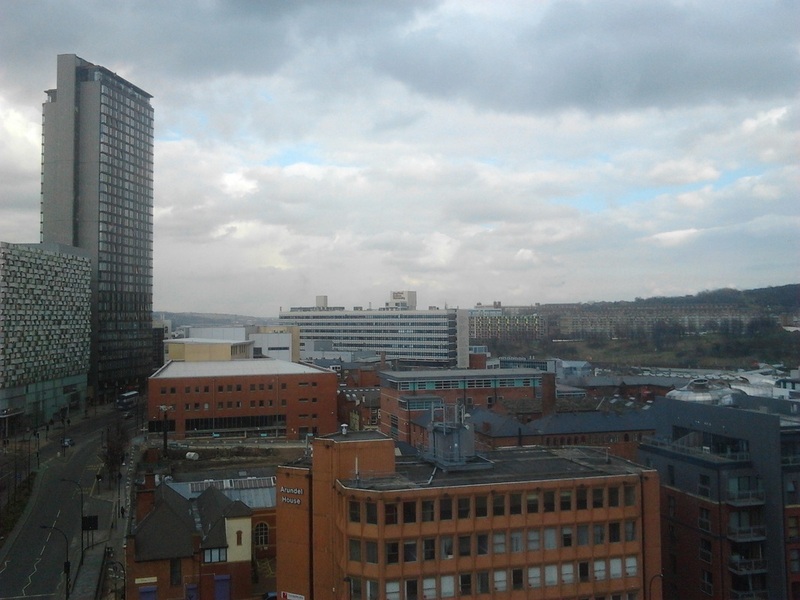 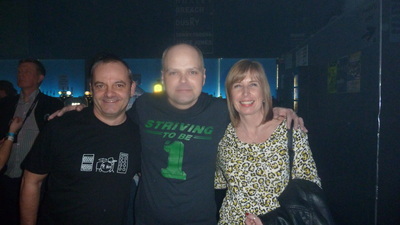 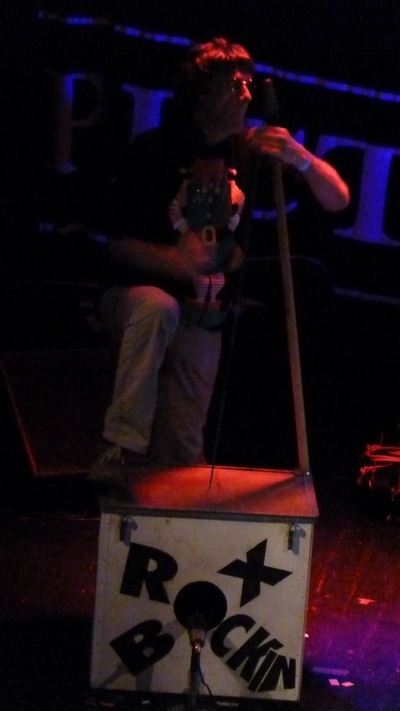 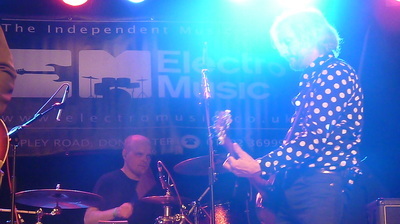 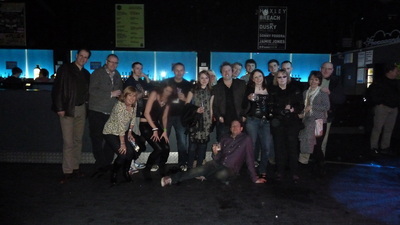 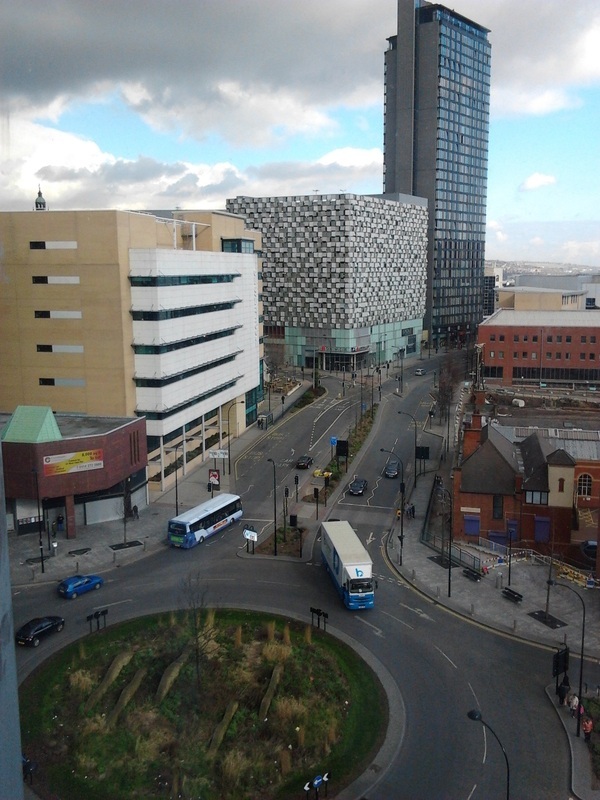 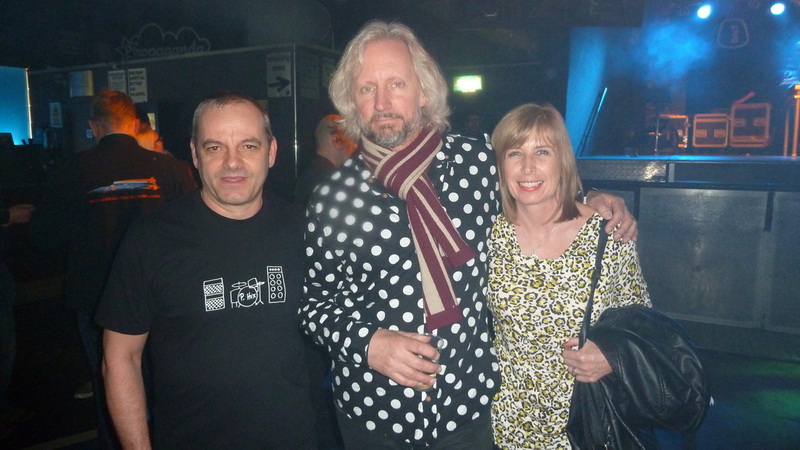 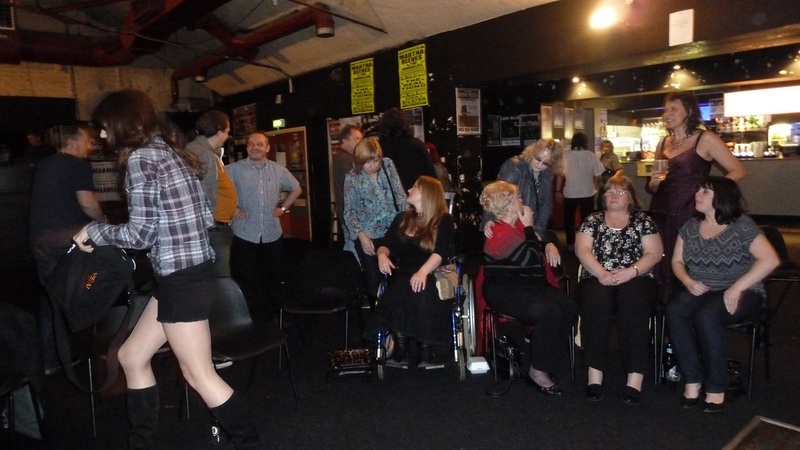 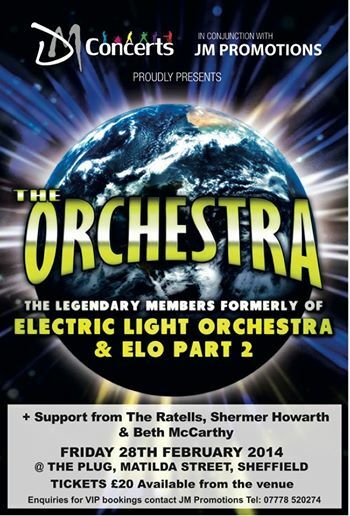 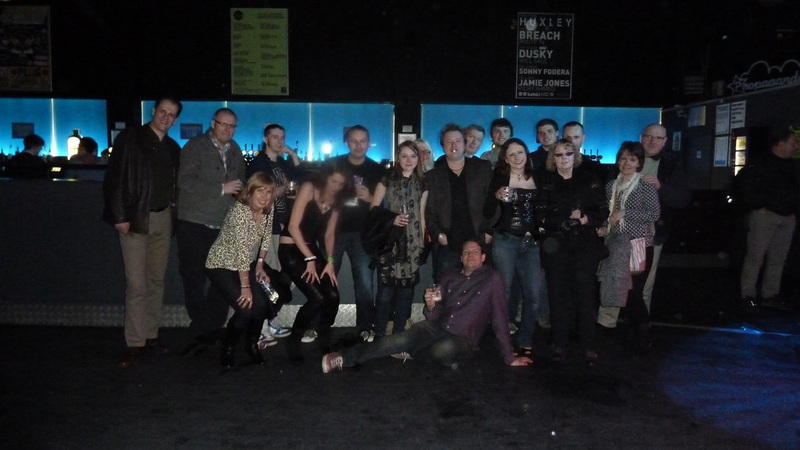 A superb gig by the band in a very unusual venue, being The Plug in Sheffield which is actually a nightclub. Very intimate setting but the guys put on a rocking show for a very lively audience. Check out my Youtube Channel to watch my videos of 'All Over The World', 'Showdown', 'Hold On Tight', 'Livin' Thing', 'Do Ya' and 'Don't Bring Me Down' performed live at the concert.